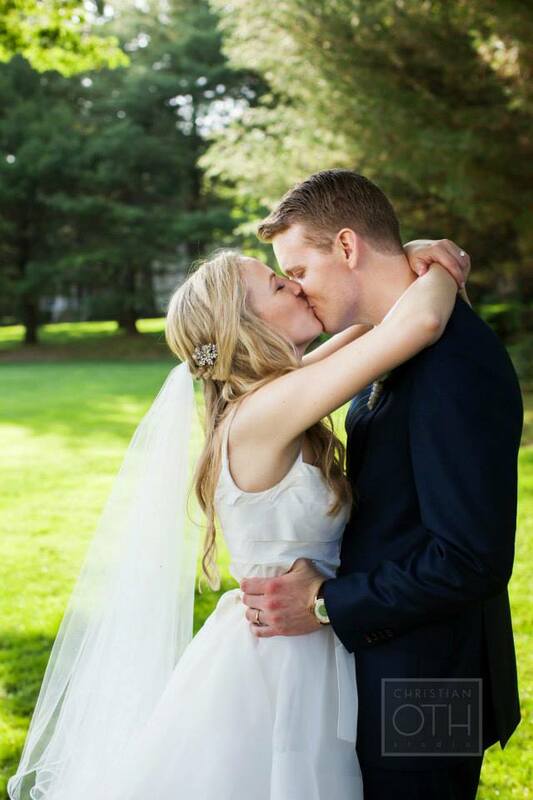 Congratulations to our beautiful bride Sarah and her husband Brandon! 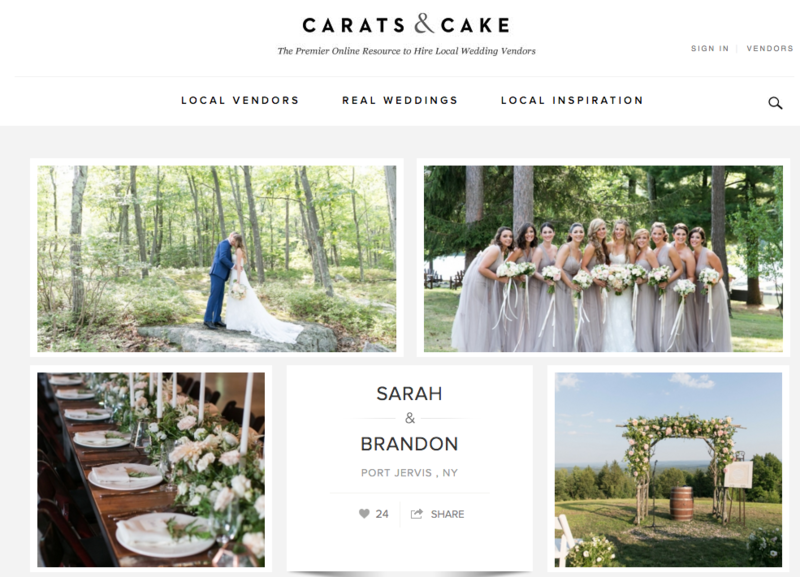 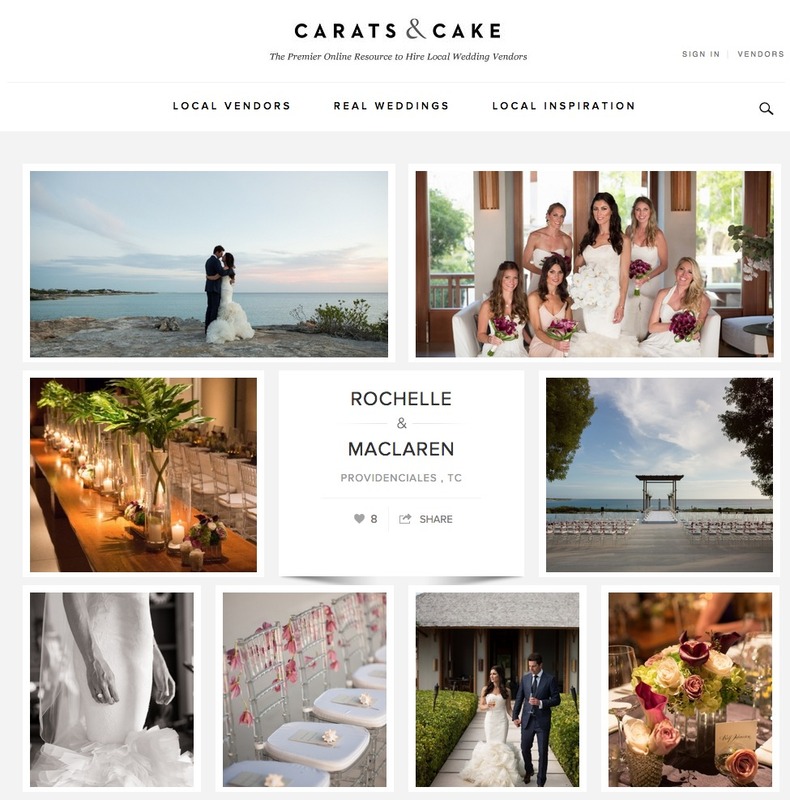 Congratulations to our bride Rochelle, whose stunning destination wedding in the Caribbean was just featured on Carats & Cake! 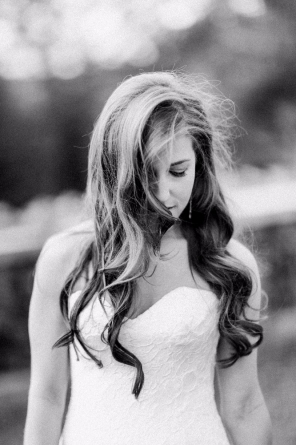 Looking for bridal hairstyles for long hair? 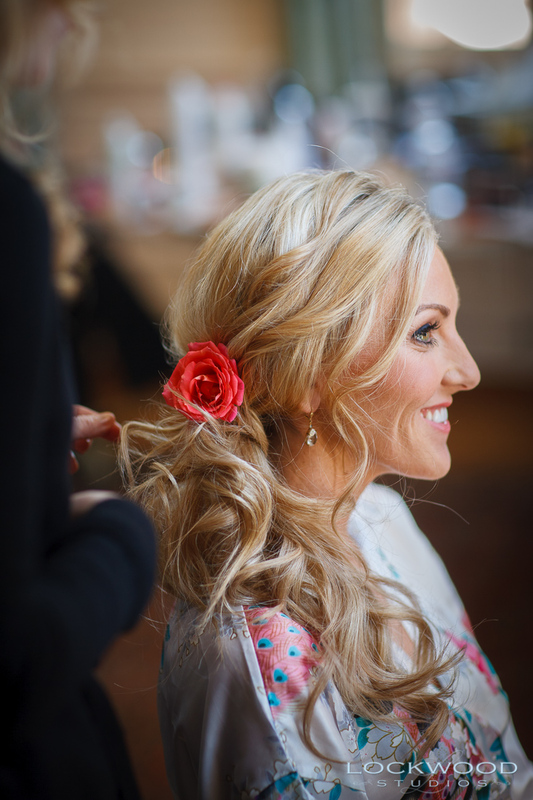 The glamorous side-swept red carpet style is a great alternative to leaving your hair down. 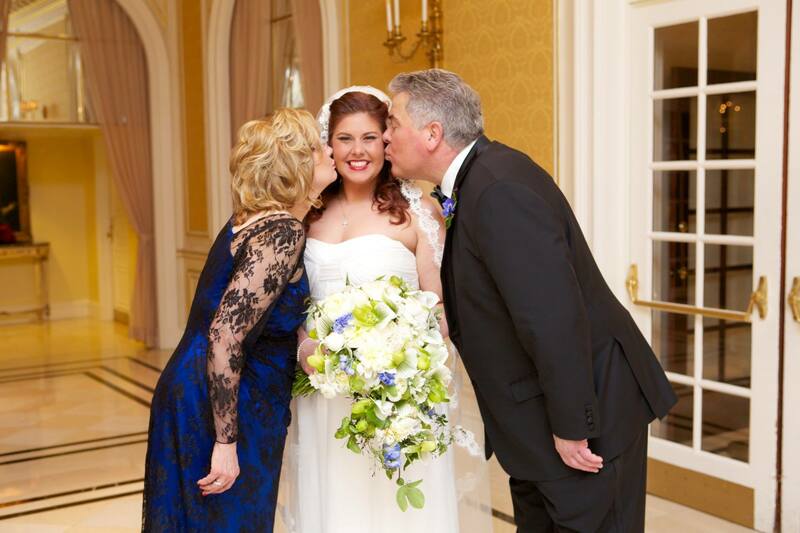 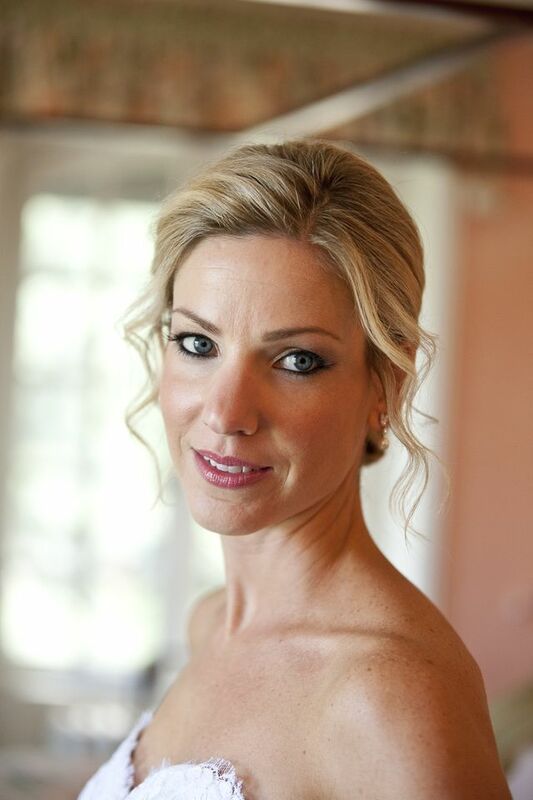 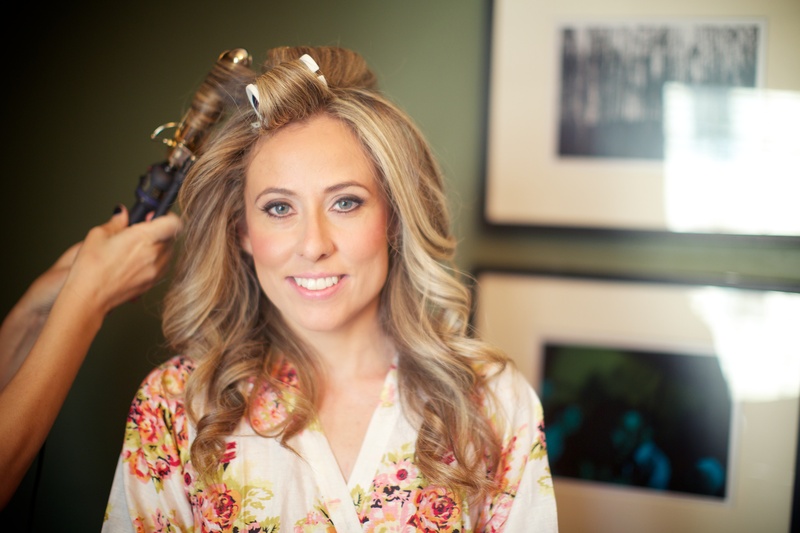 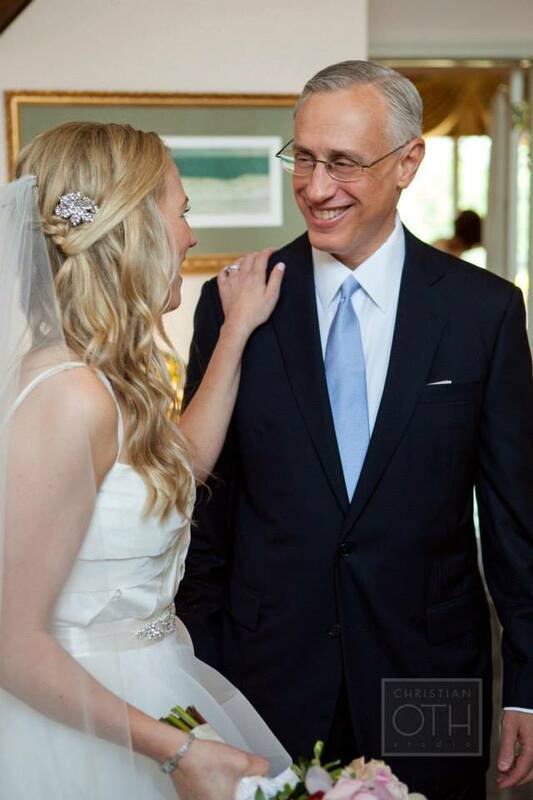 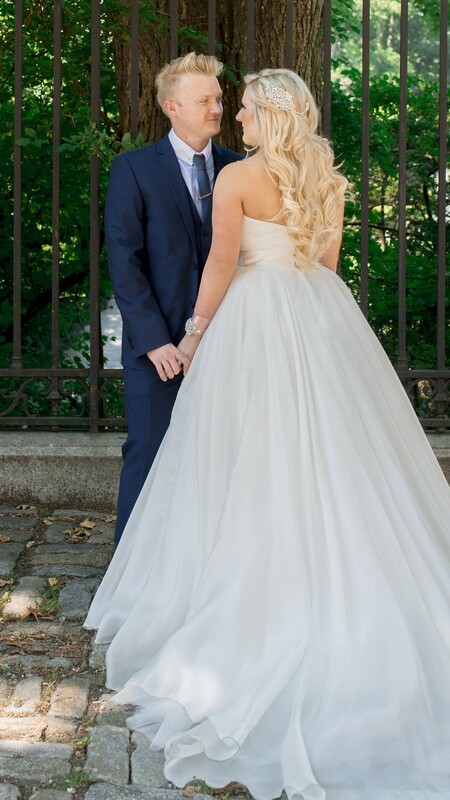 My bride Kristi looked stunning when I styled her golden hair off to the side, using all luxurious Oribe products, for her wedding to Brett at Liberty House in Jersey City. 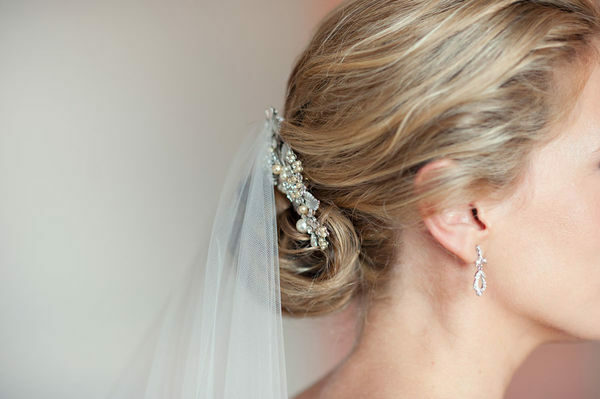 One of our favorite bridal hairstyles for long hair is the half-up, half-down. 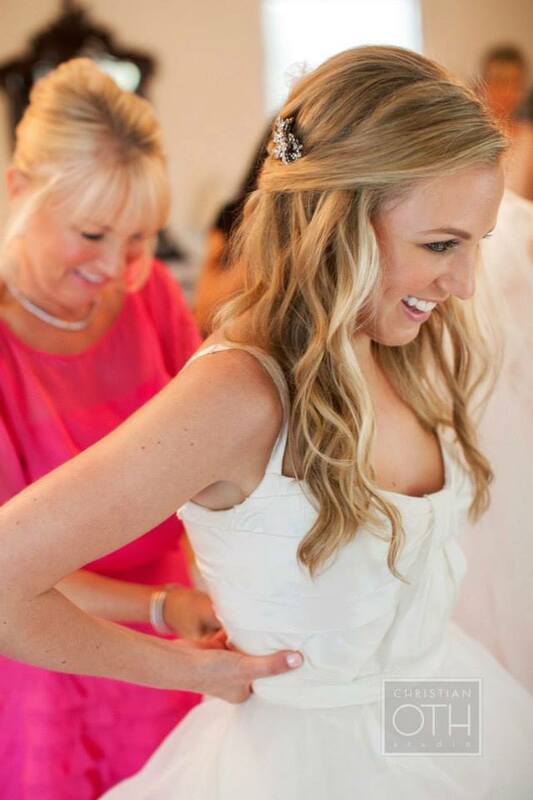 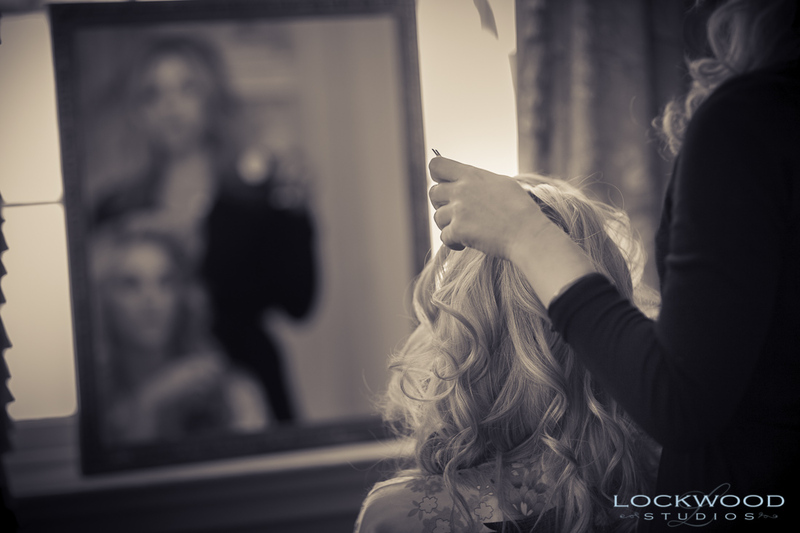 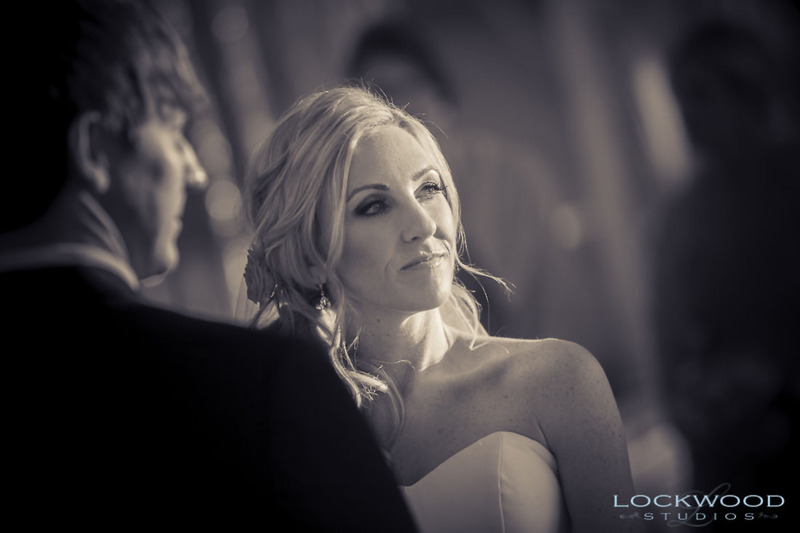 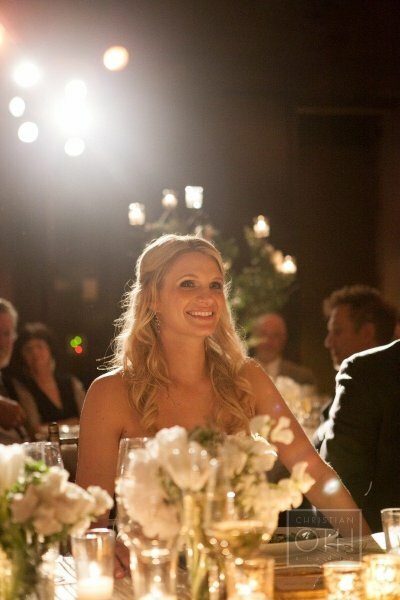 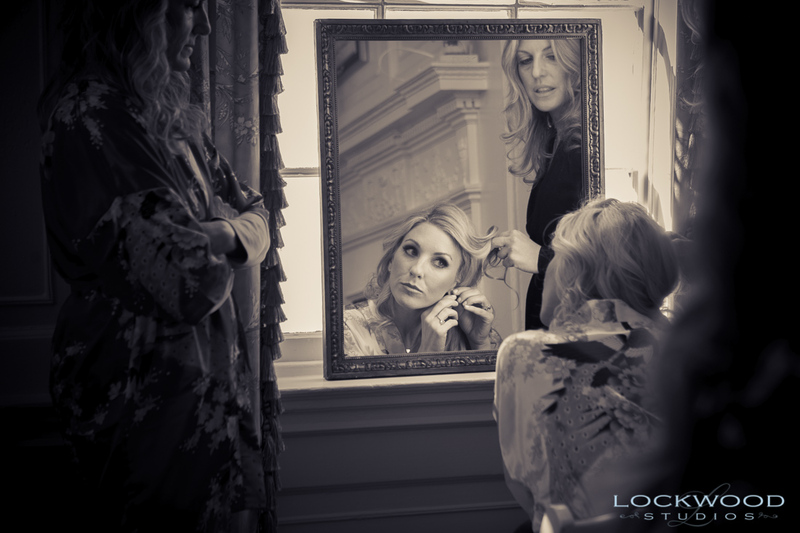 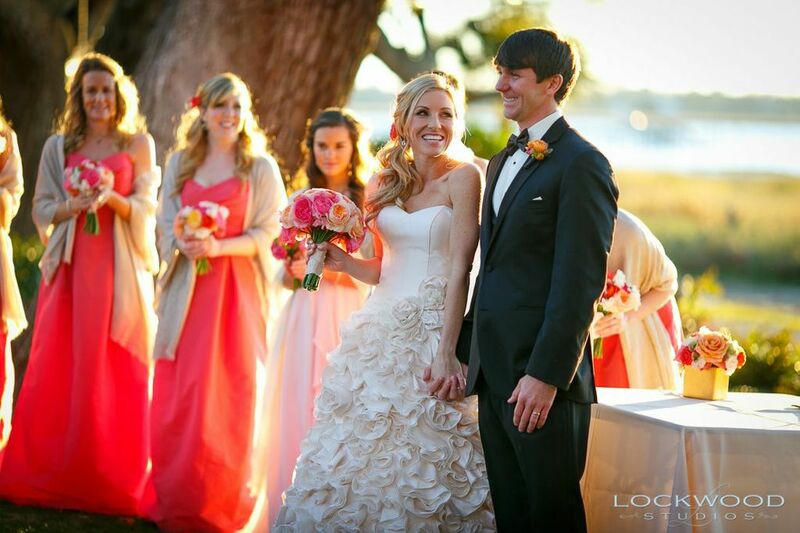 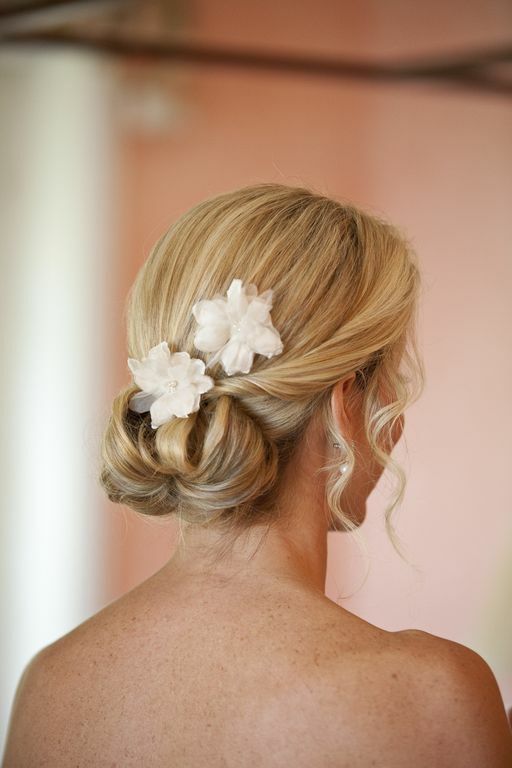 It shows off long, gorgeous locks in all their natural glory, while looking classically bridal and elegant. 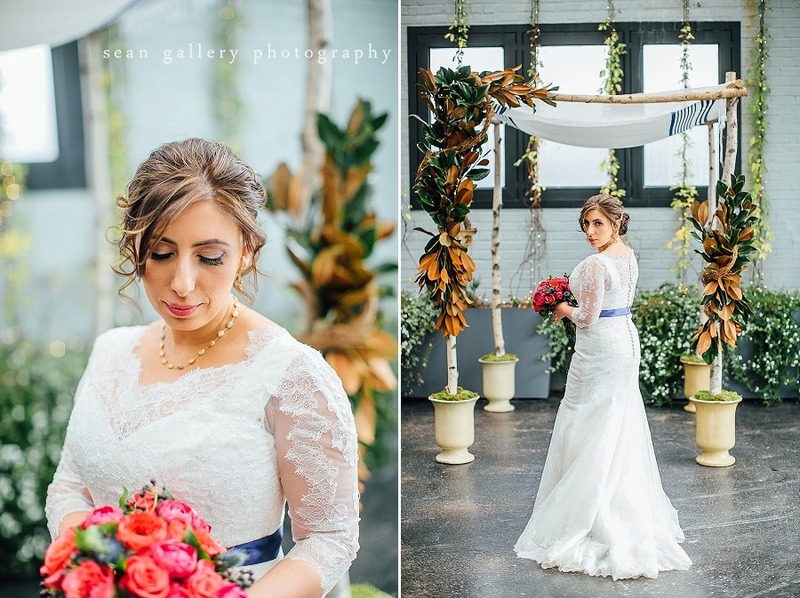 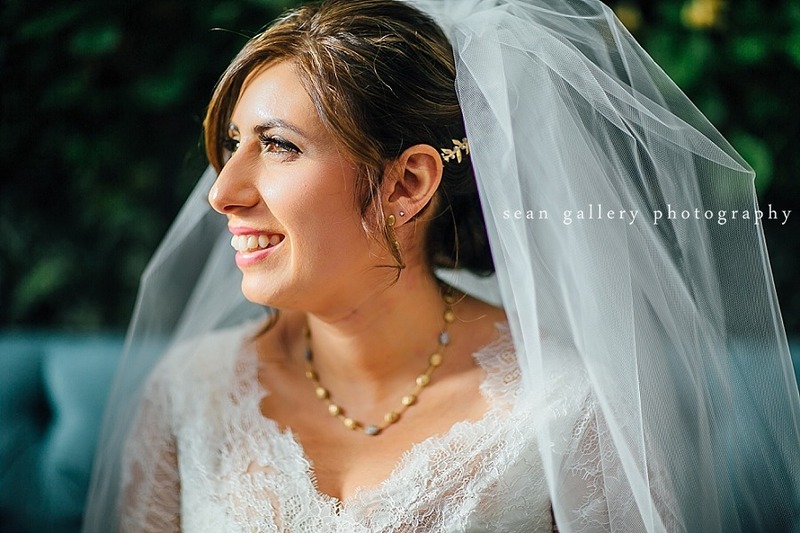 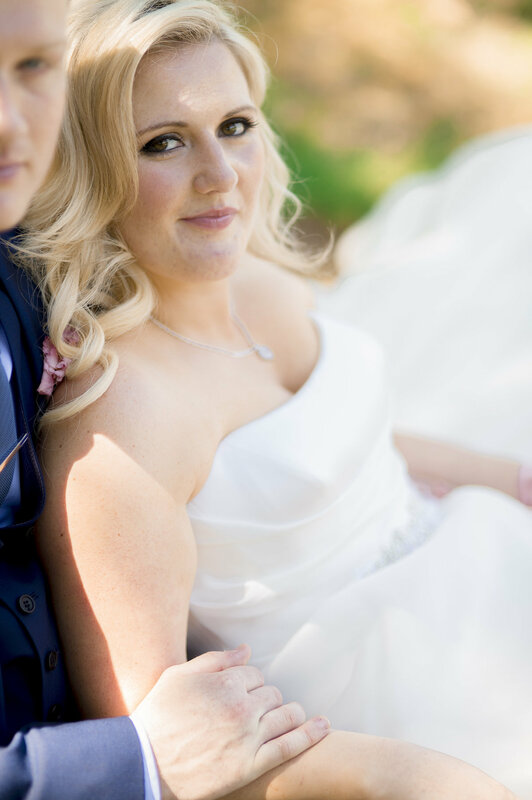 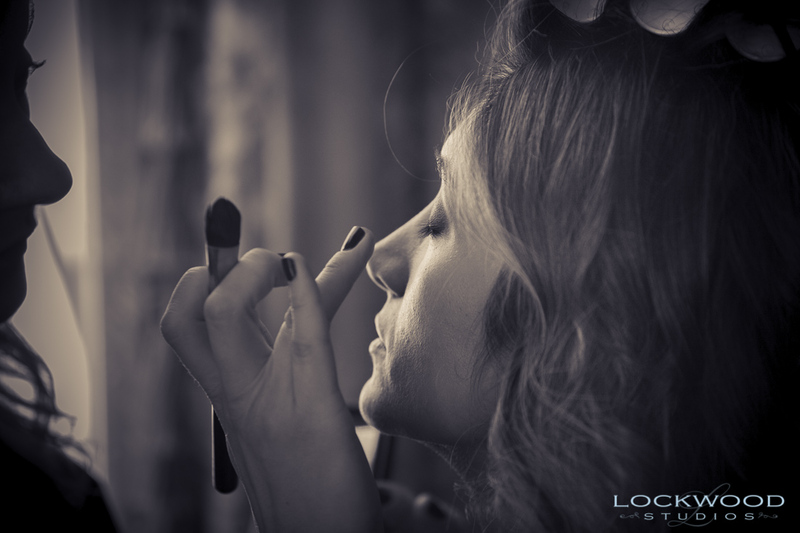 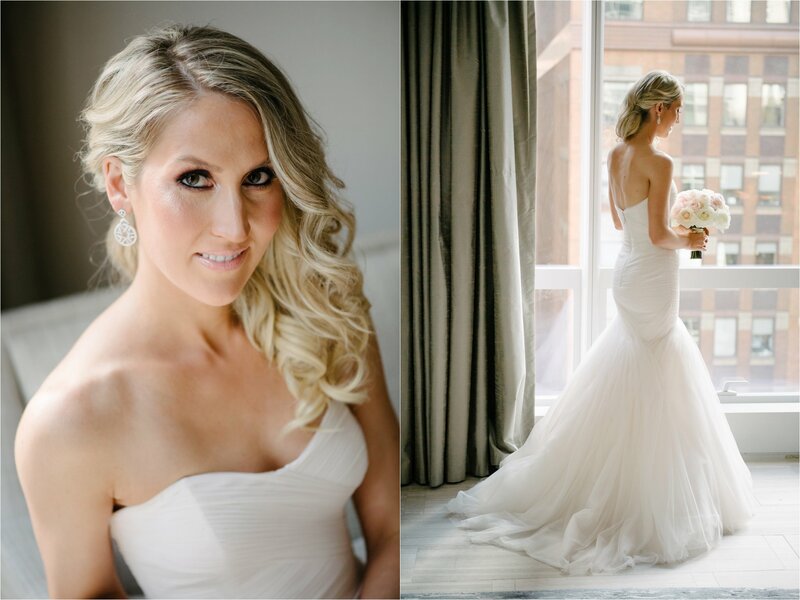 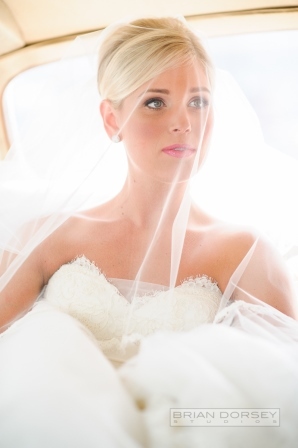 We achieved this stunning look recently for our beautiful bride Sarah when she wed Dan at the Tribeca Rooftop. 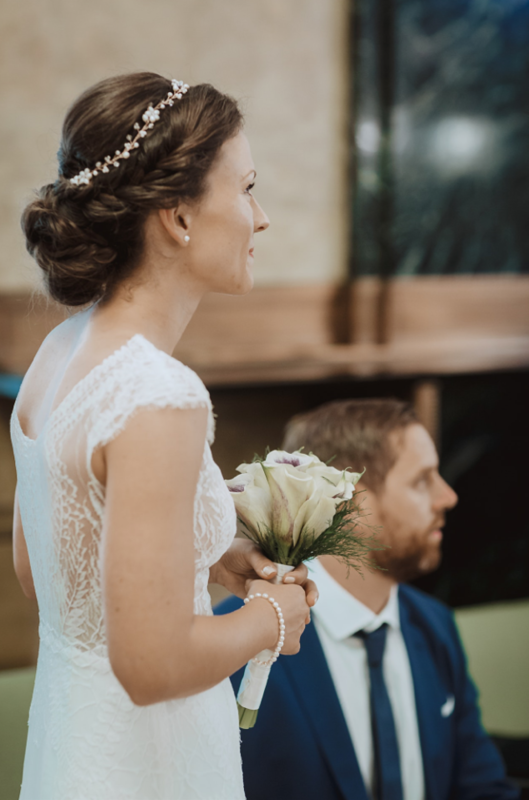 Long-haired girls, for inspiration we bring you these pics of Sarah and Dan’s big day, taken by the amazing Khaki Bedford Photography. 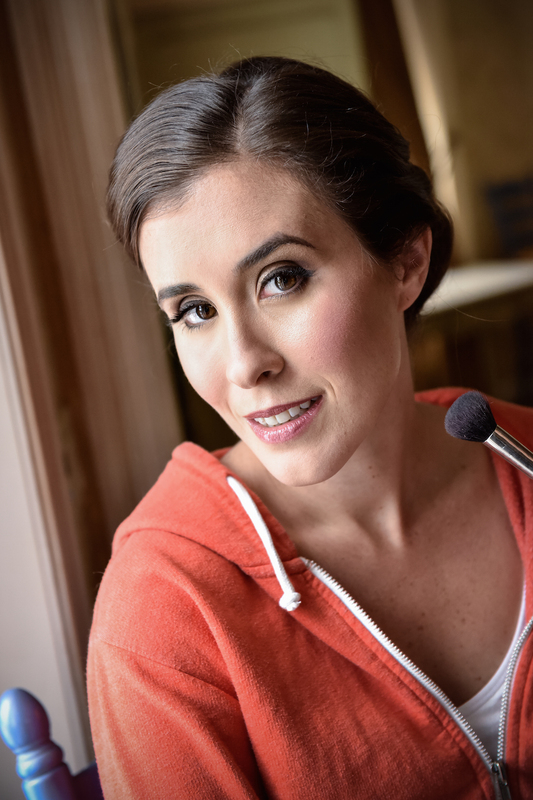 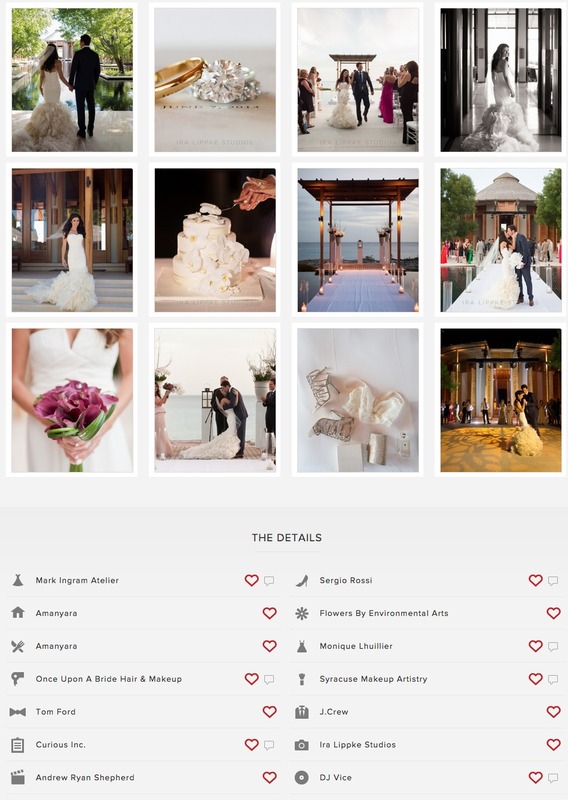 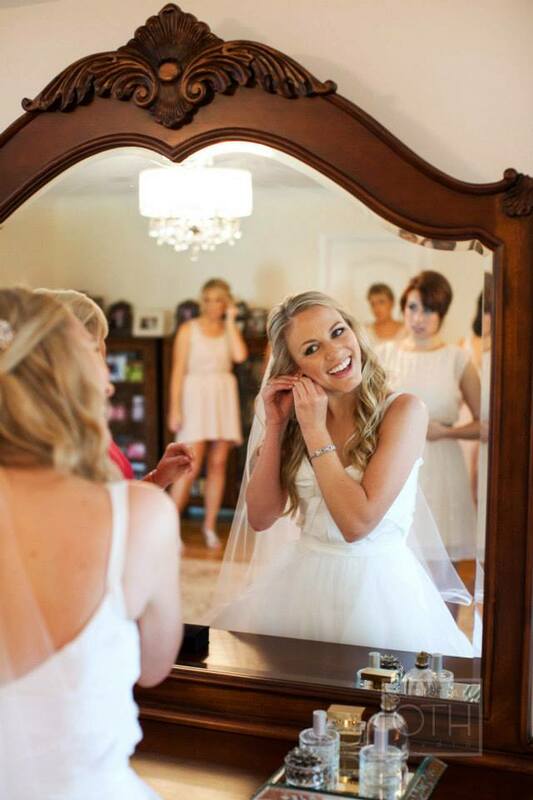 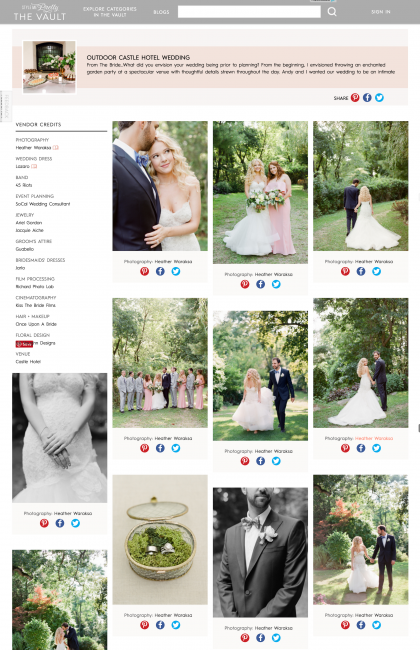 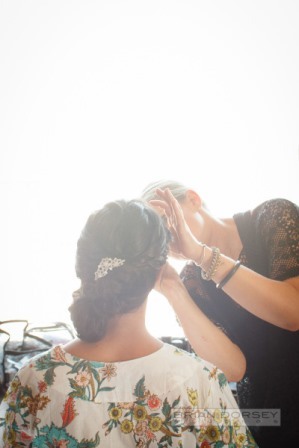 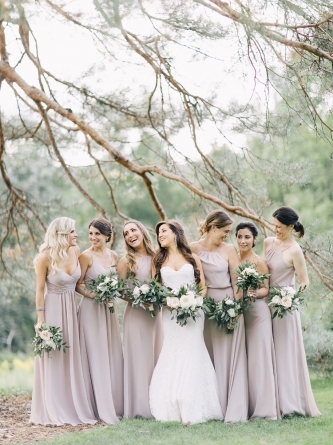 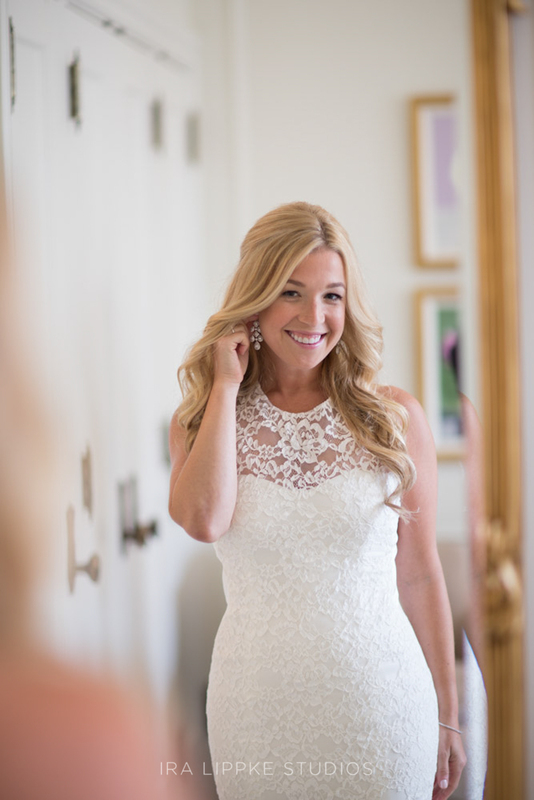 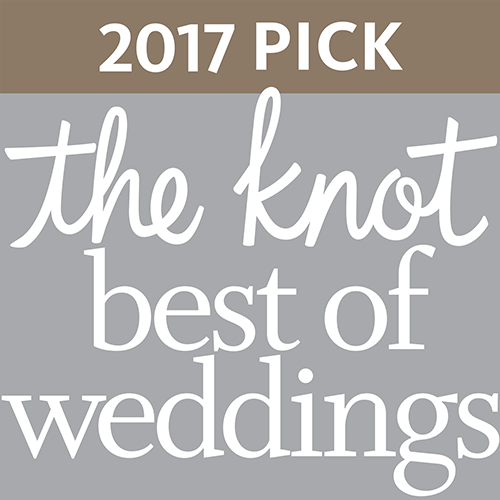 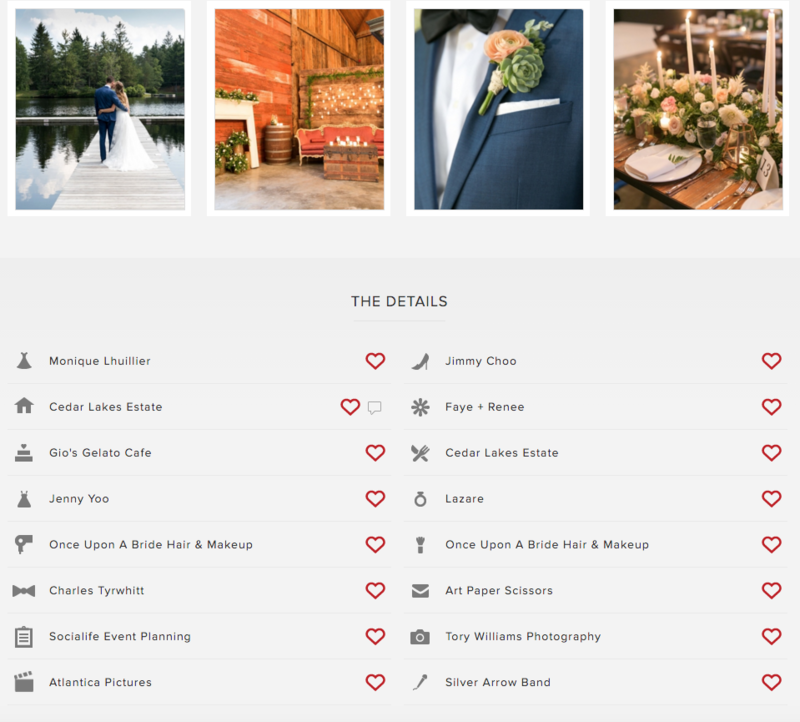 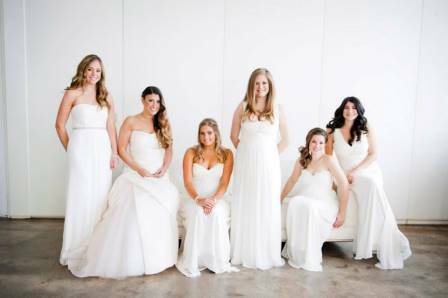 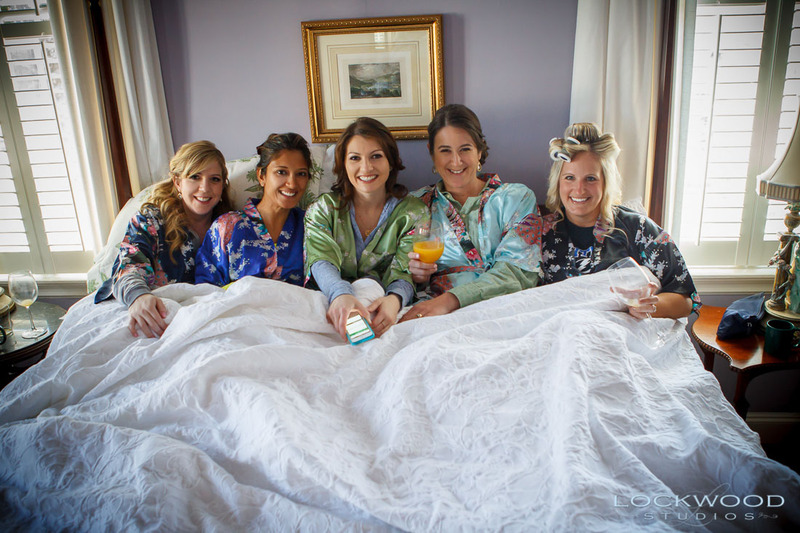 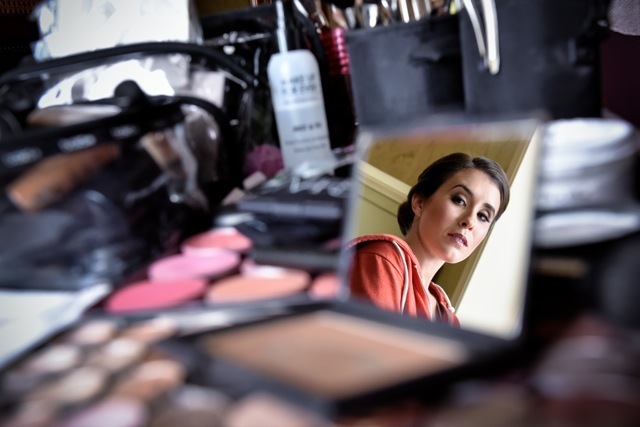 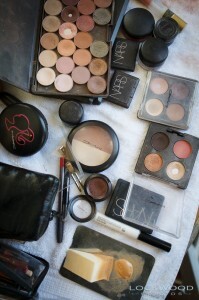 Style Me Pretty features our brides! 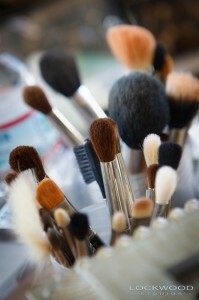 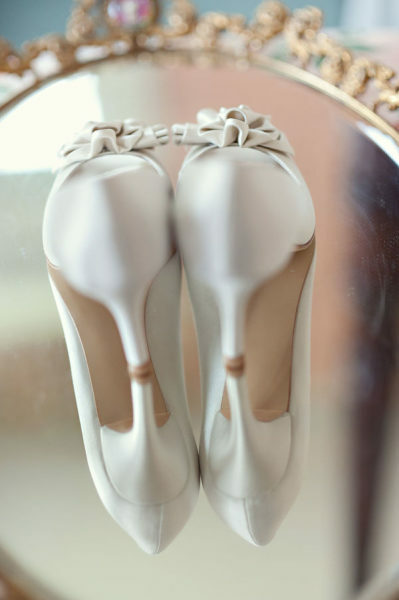 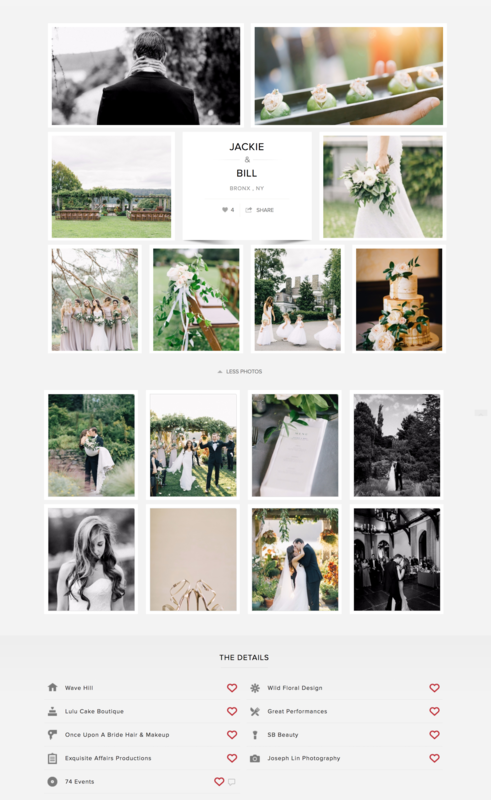 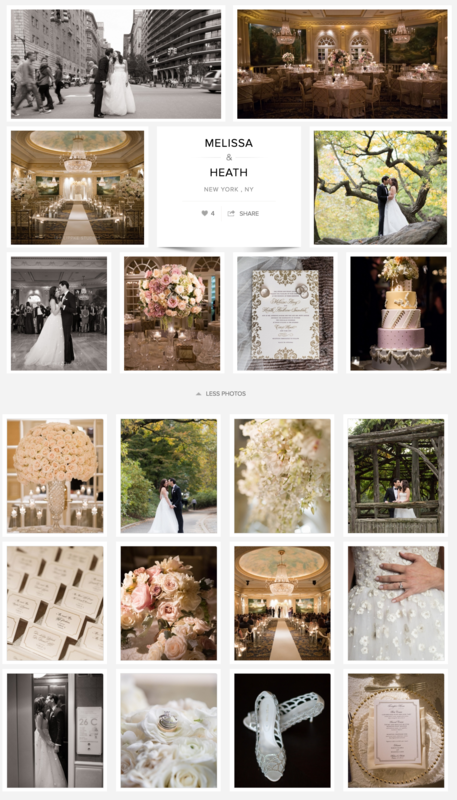 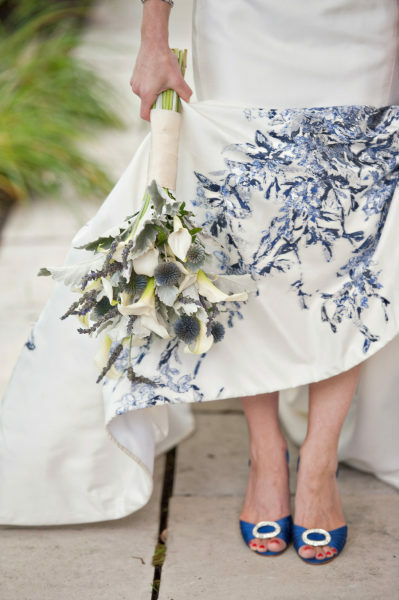 At Once Upon A Bride we simply love the ultimate go-to wedding inspiration site Style Me Pretty. 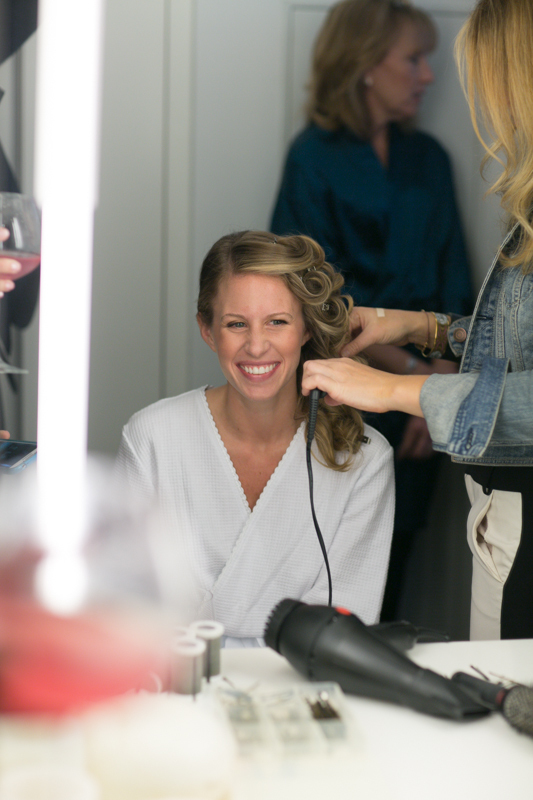 Oh the hours a girl can while away getting ideas for everything from hair and makeup looks through to invitations and table settings — always stylish, always pretty. 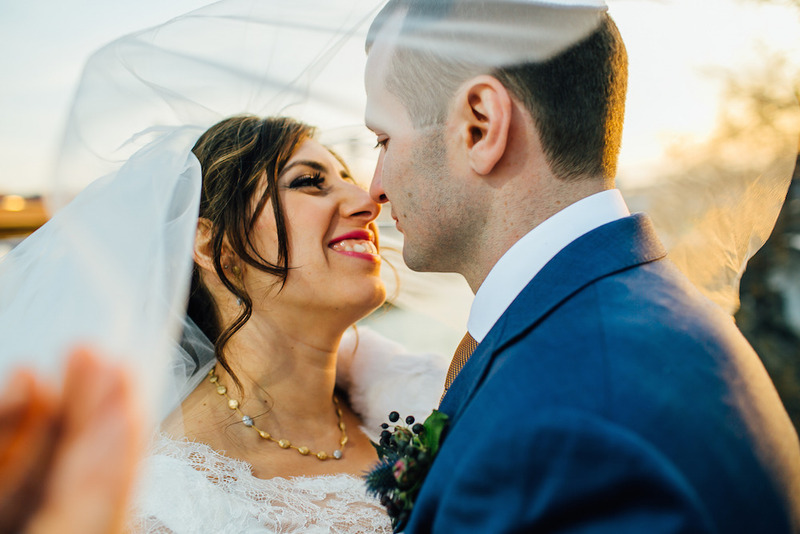 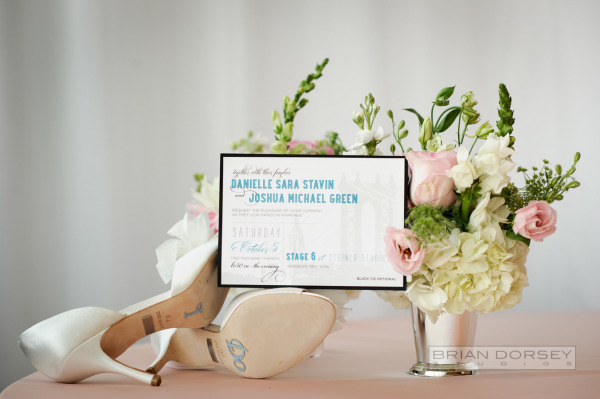 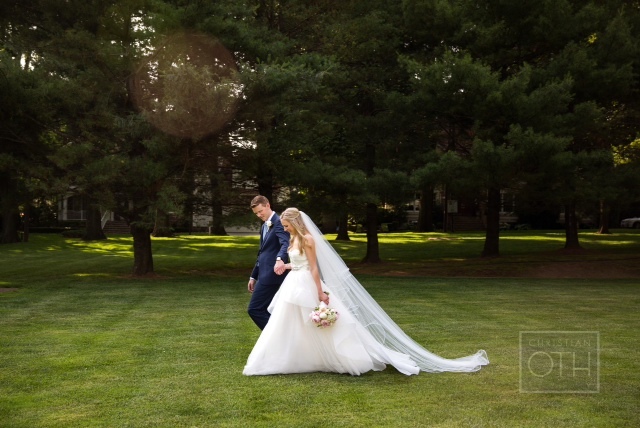 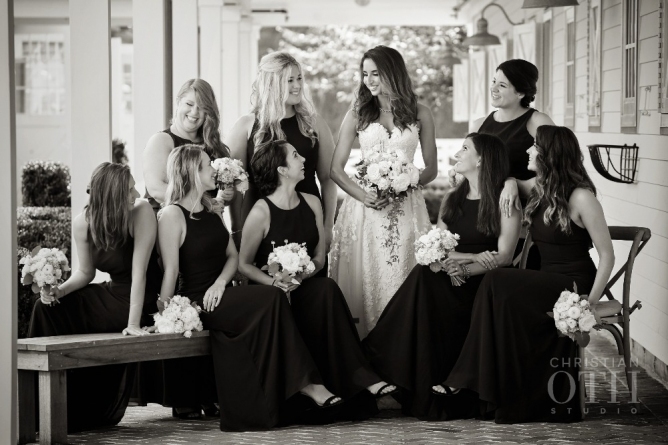 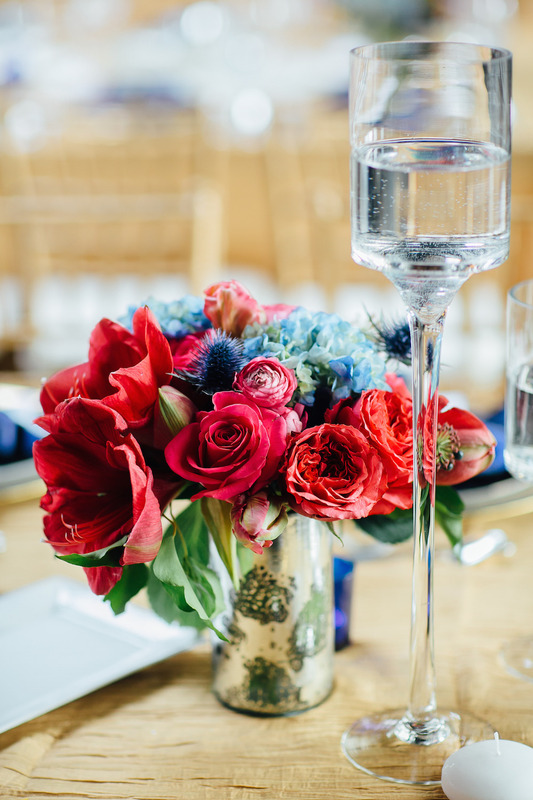 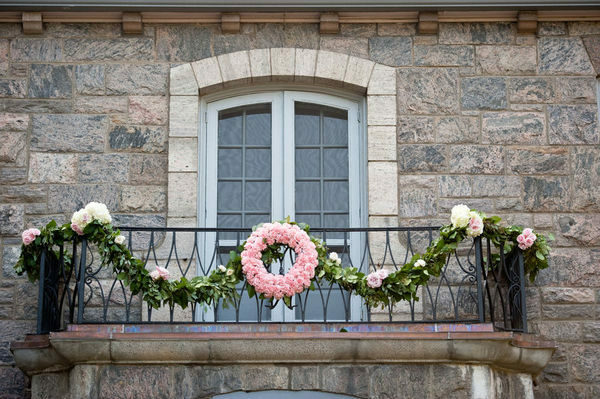 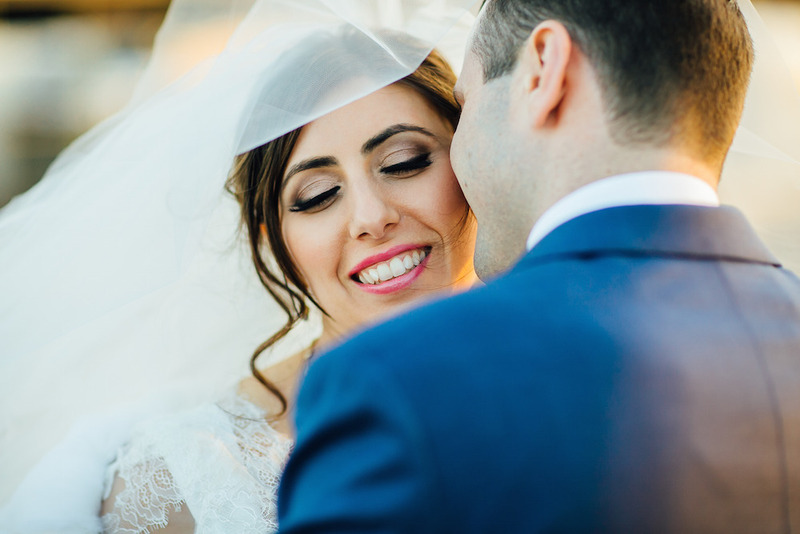 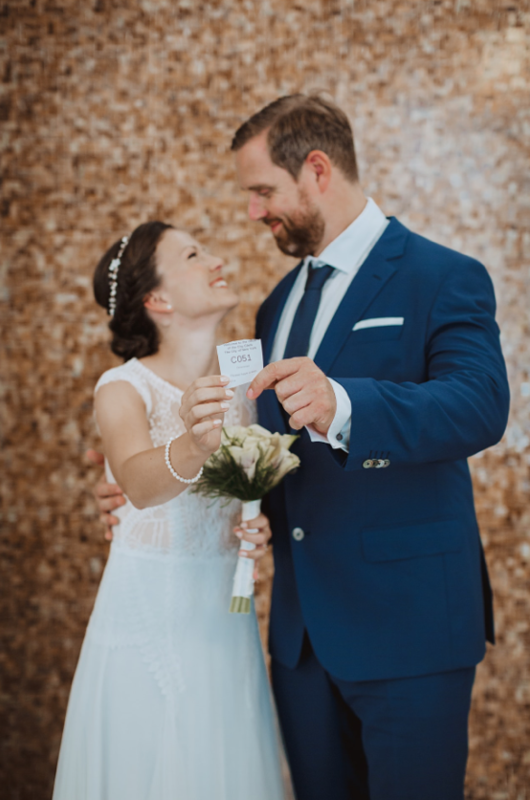 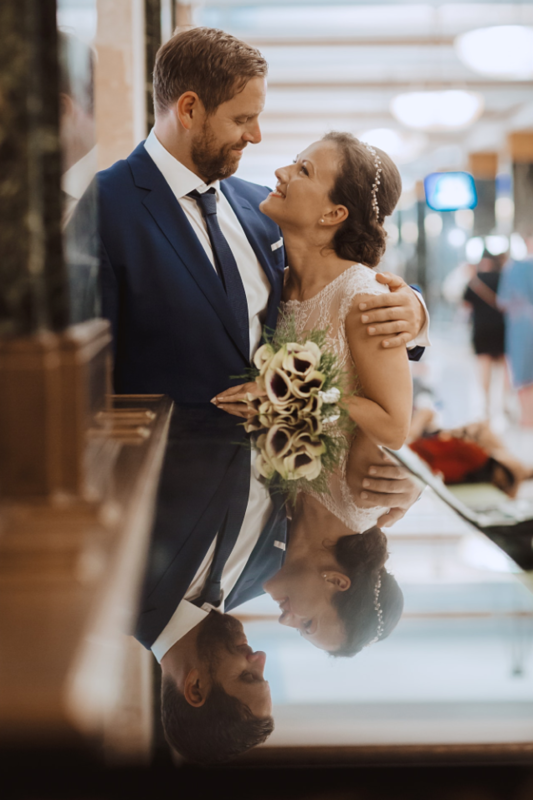 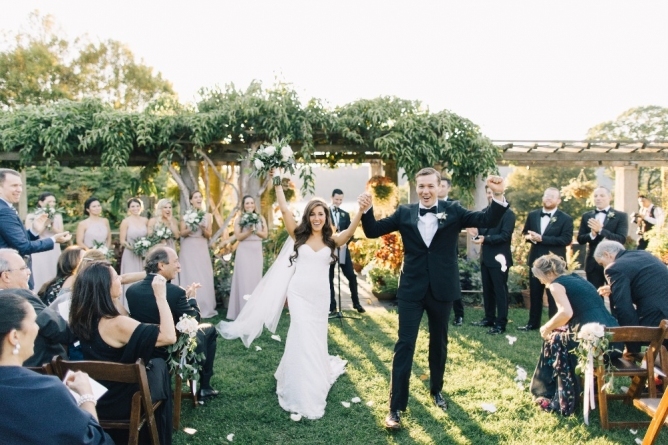 So we are super excited that our bride Danielle’s wedding to Josh was recently featured on SMP, complete with these gorgeous images by Brian Dorsey Studios. 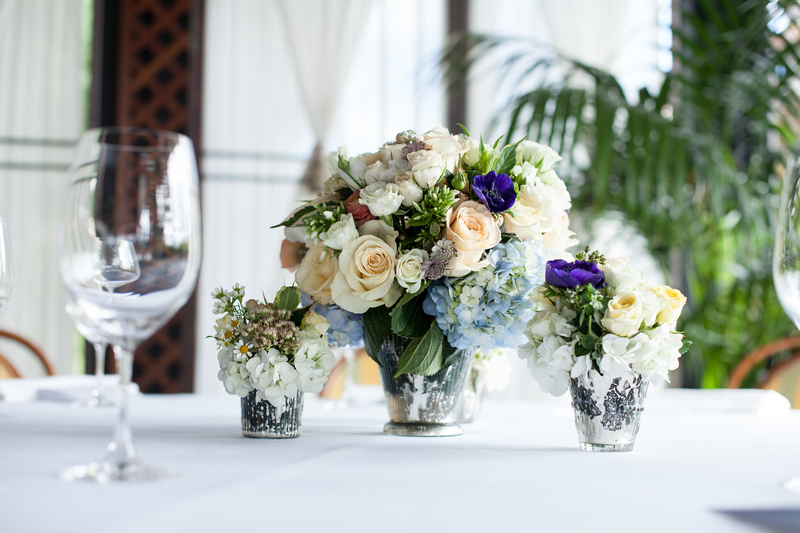 With all this beauty on offer, something is bound to inspire you. 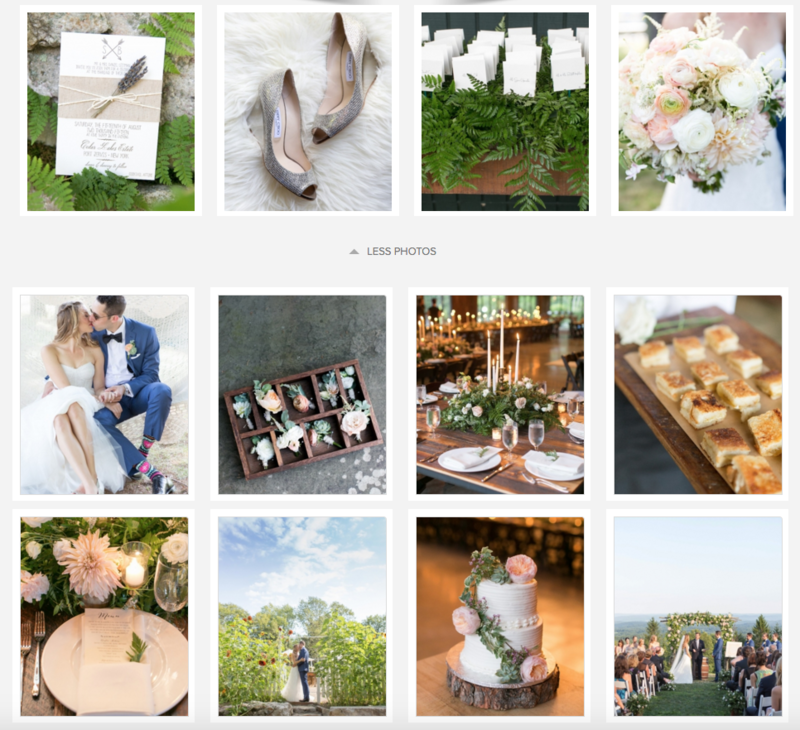 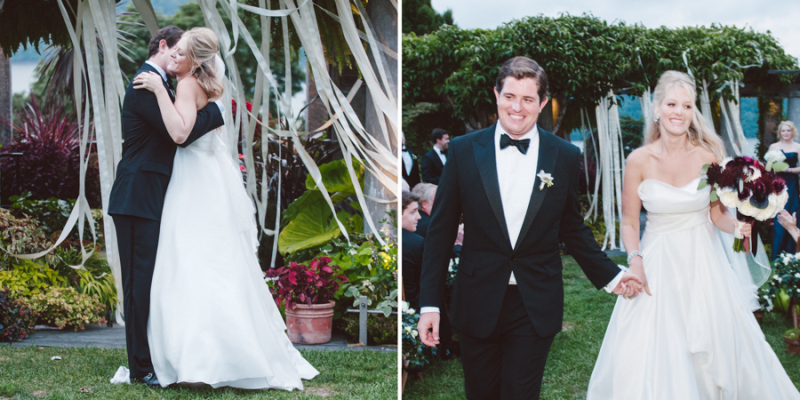 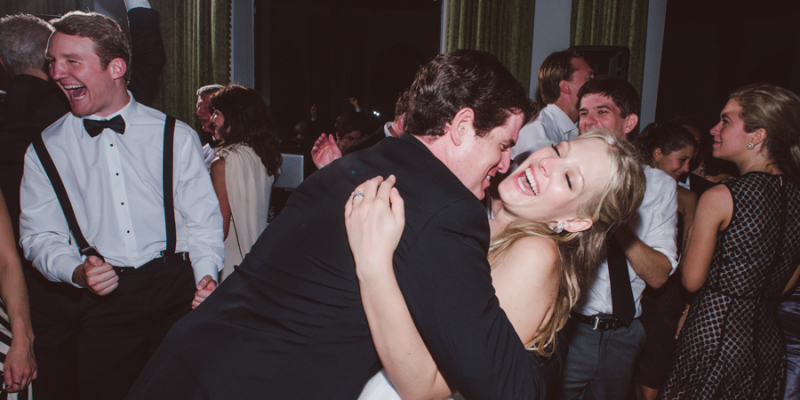 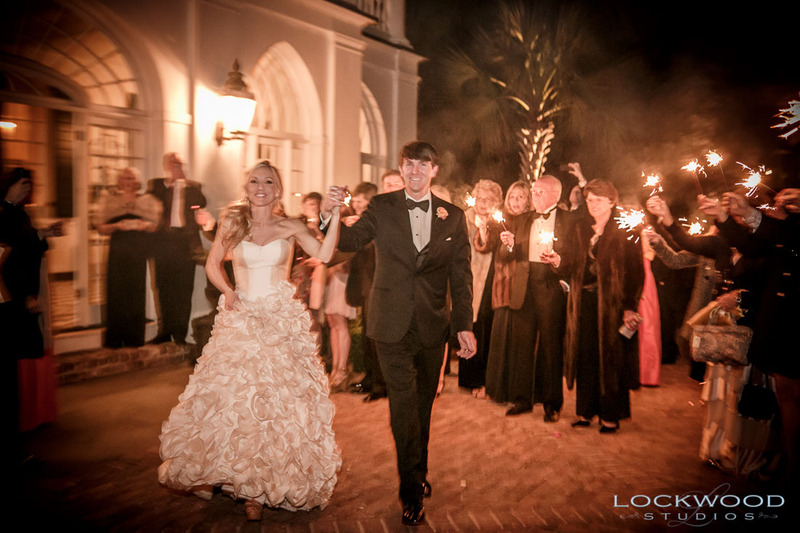 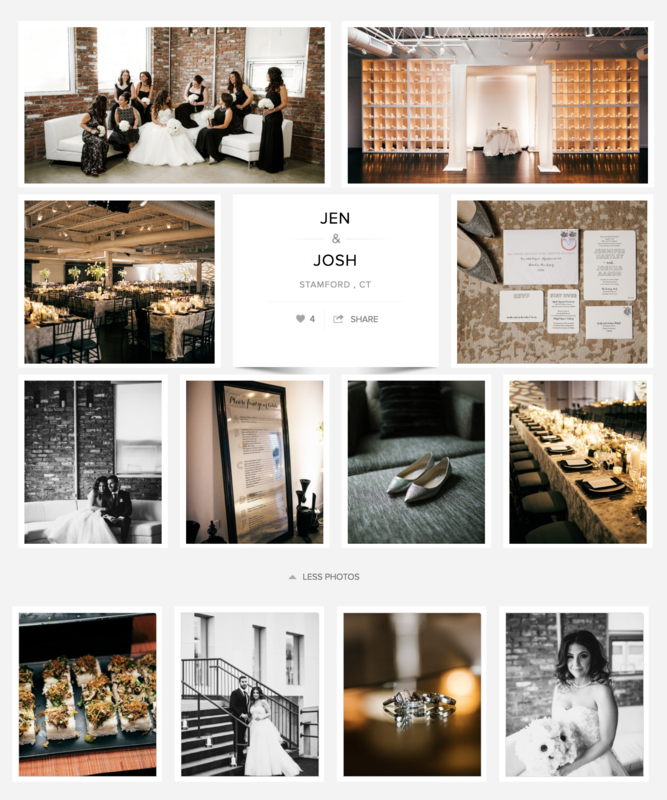 You can find even more pics of Danielle and Josh’s wedding day at the full gallery on SMP. 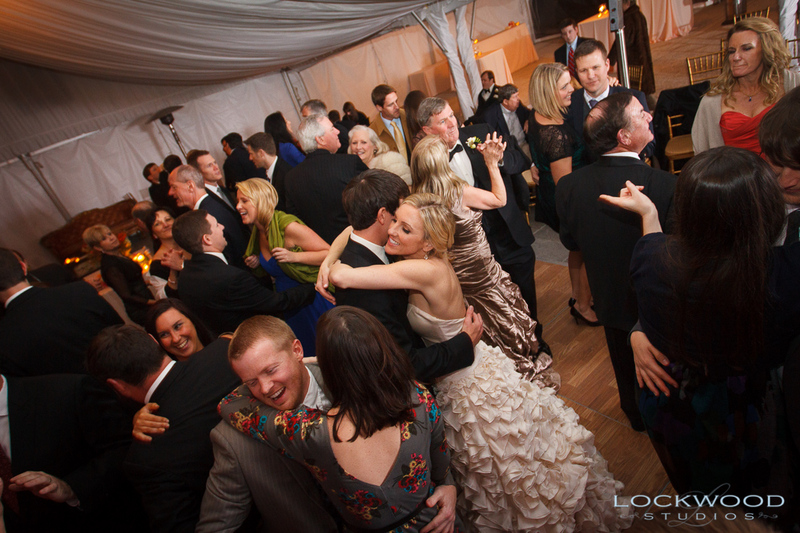 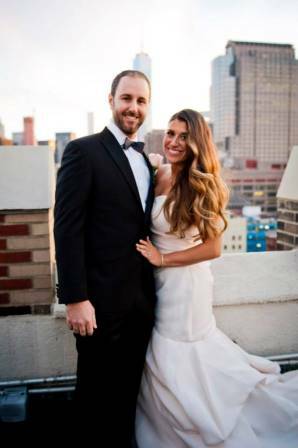 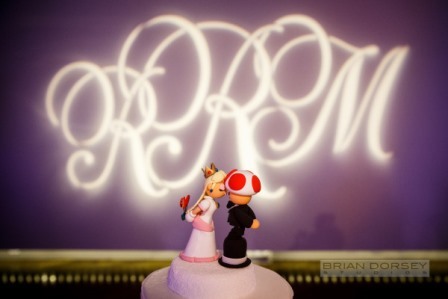 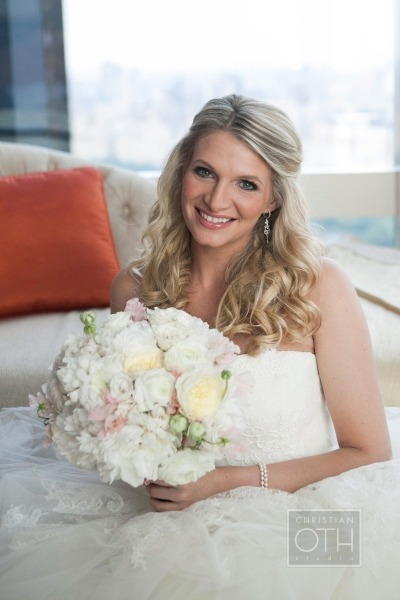 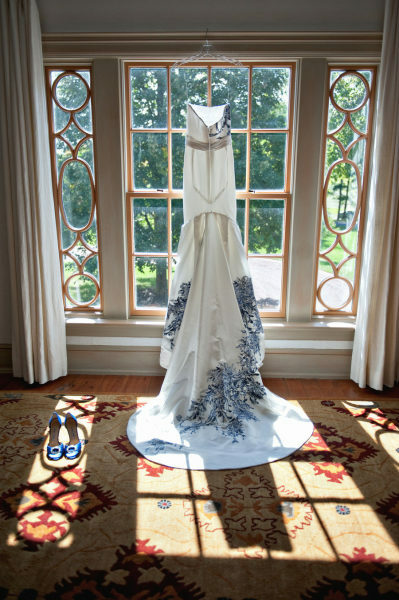 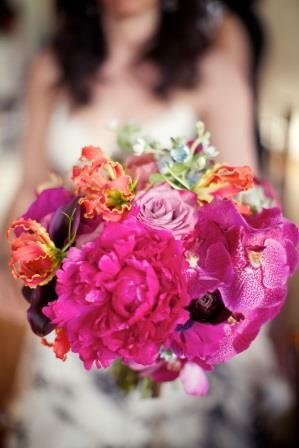 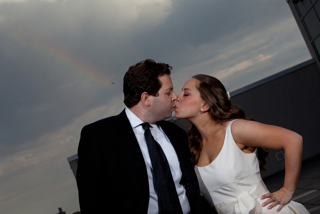 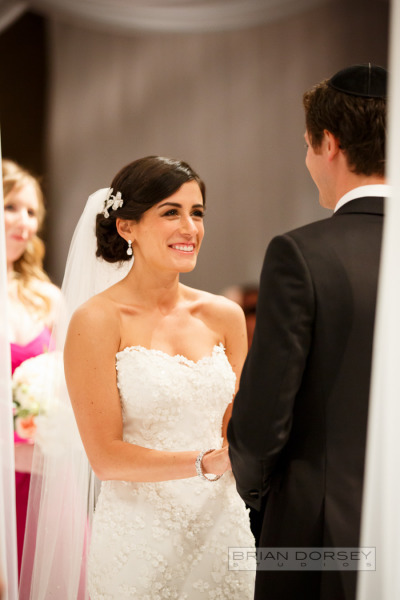 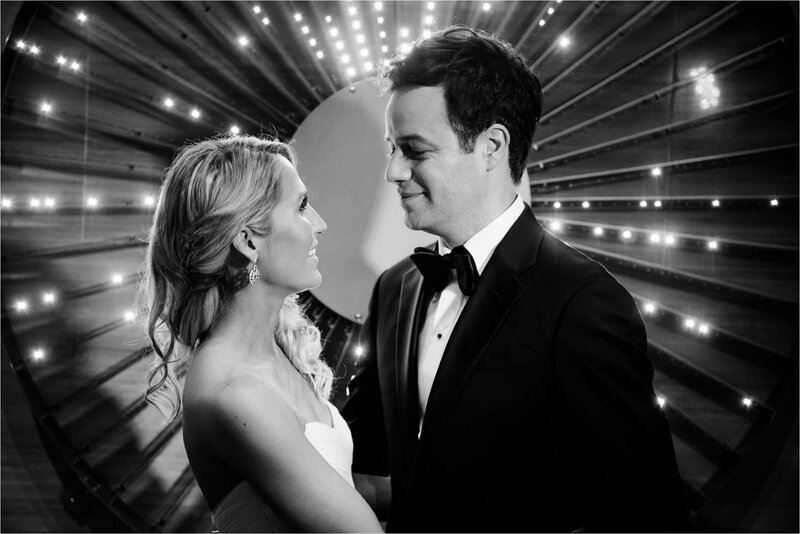 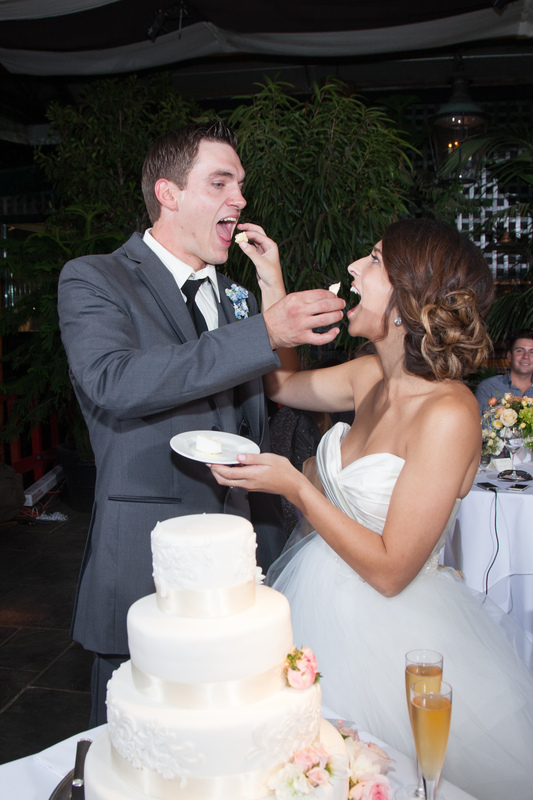 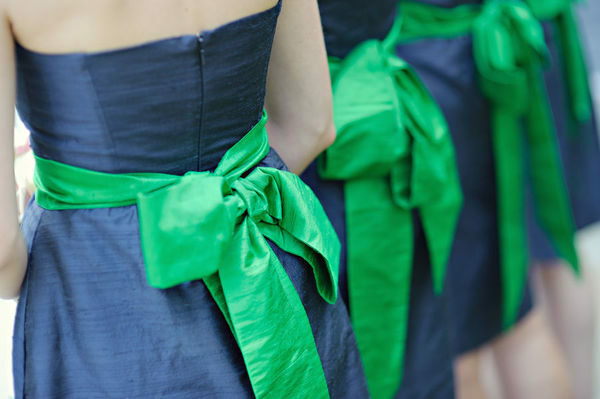 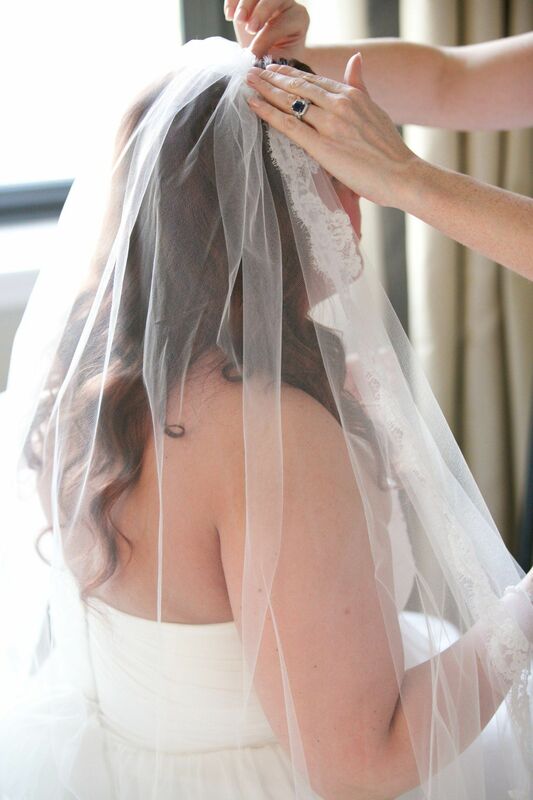 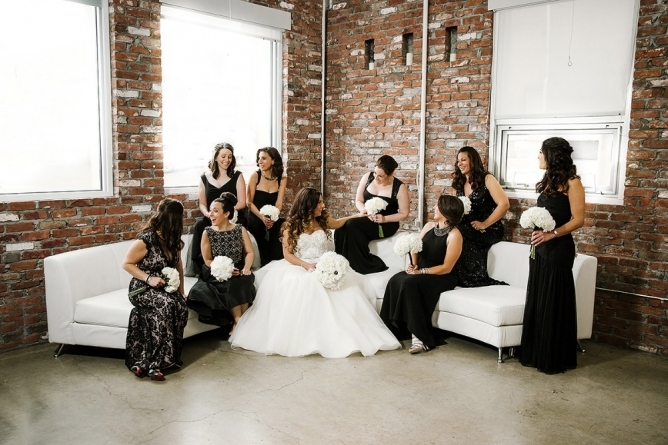 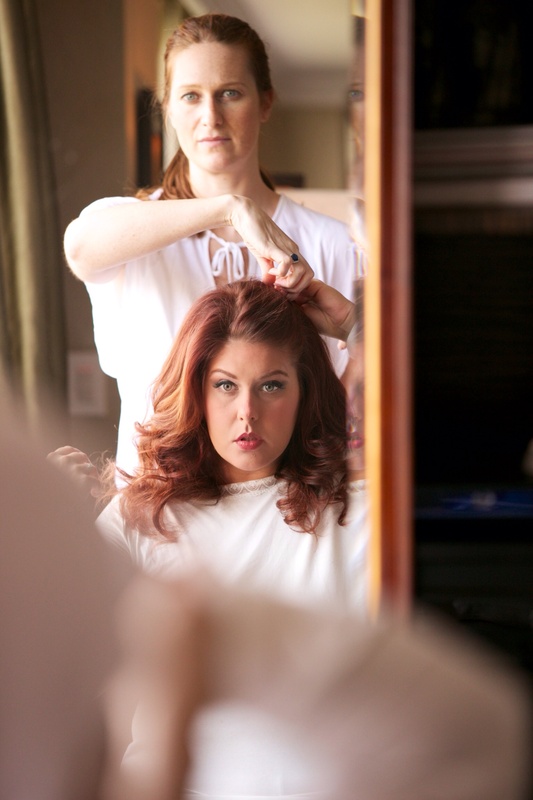 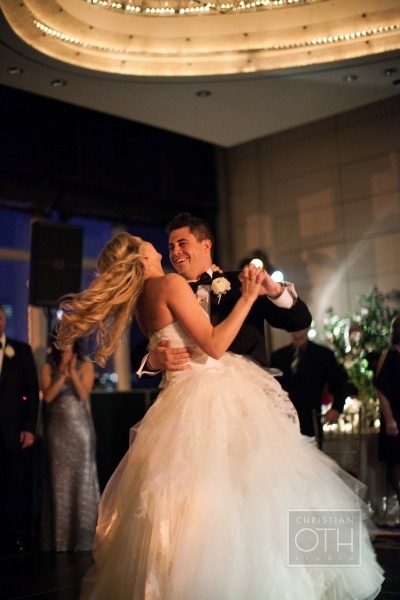 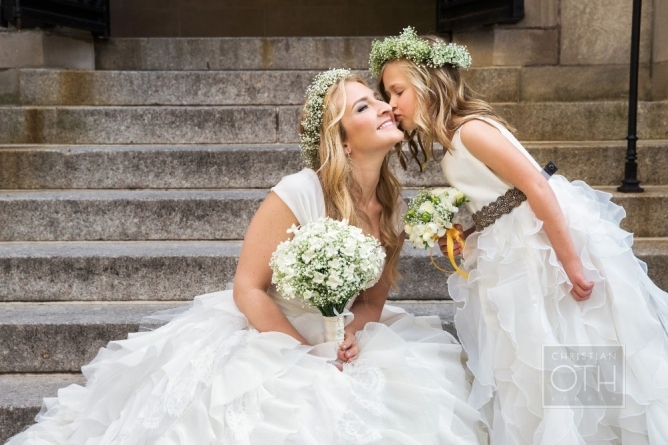 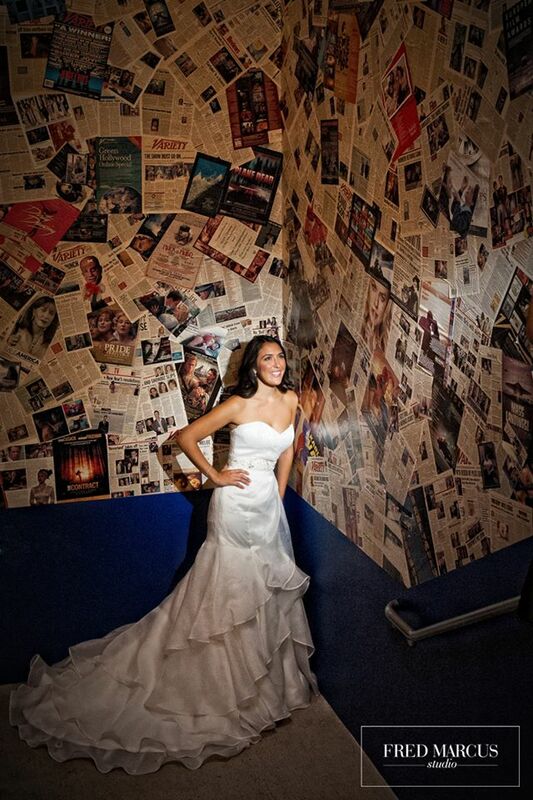 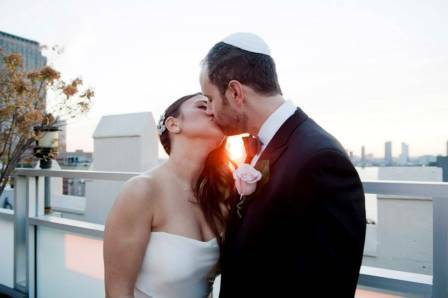 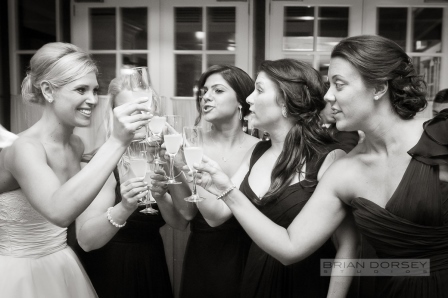 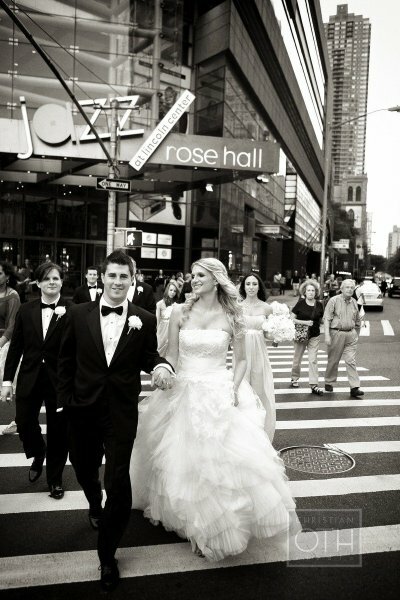 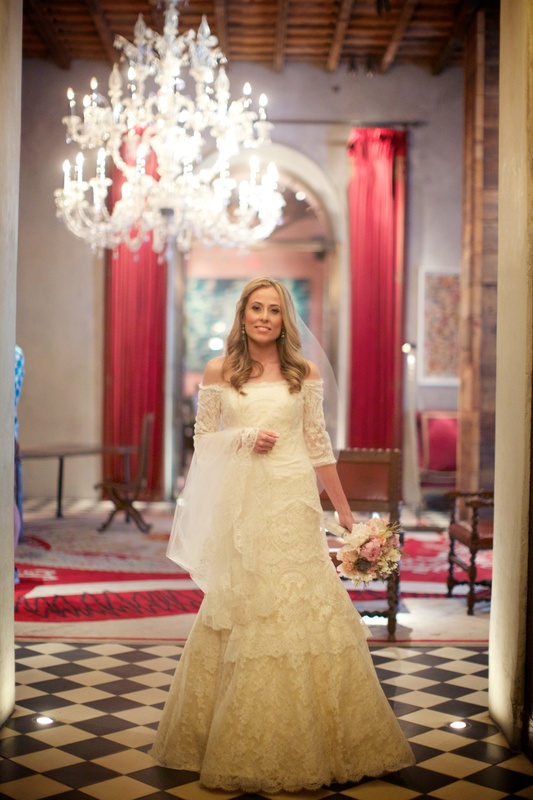 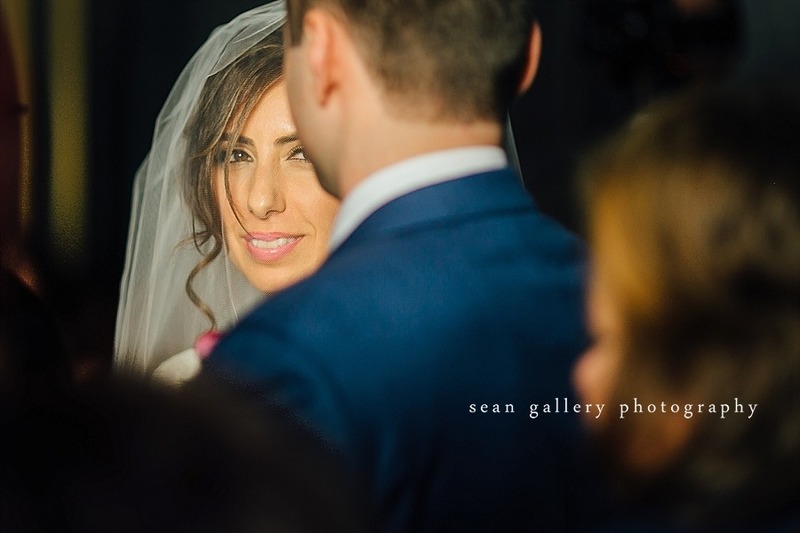 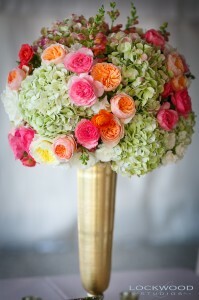 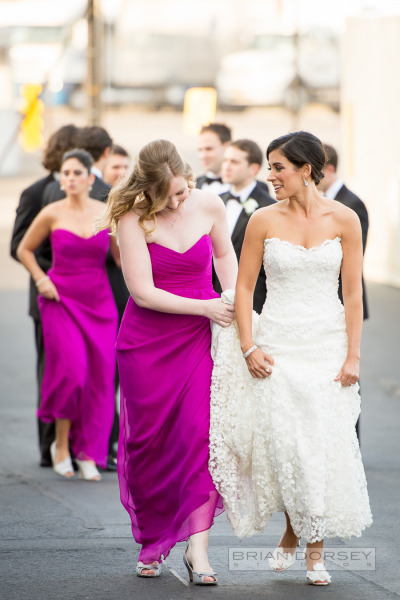 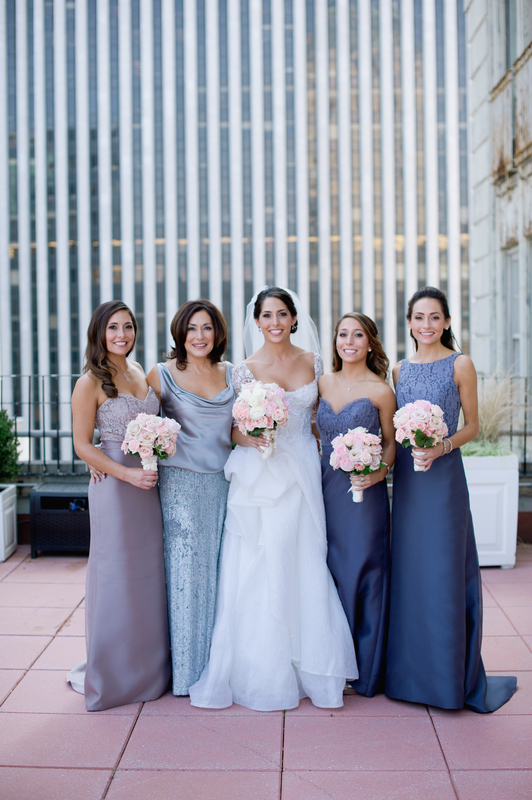 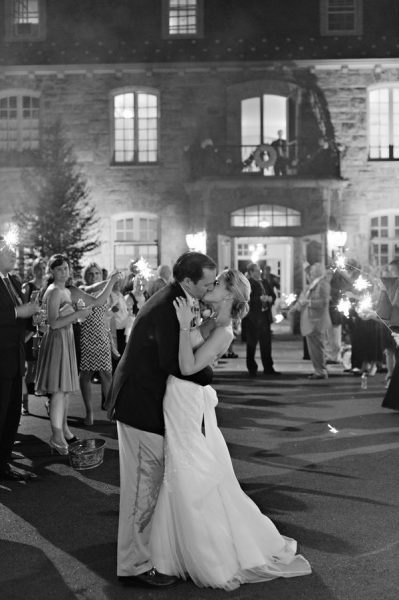 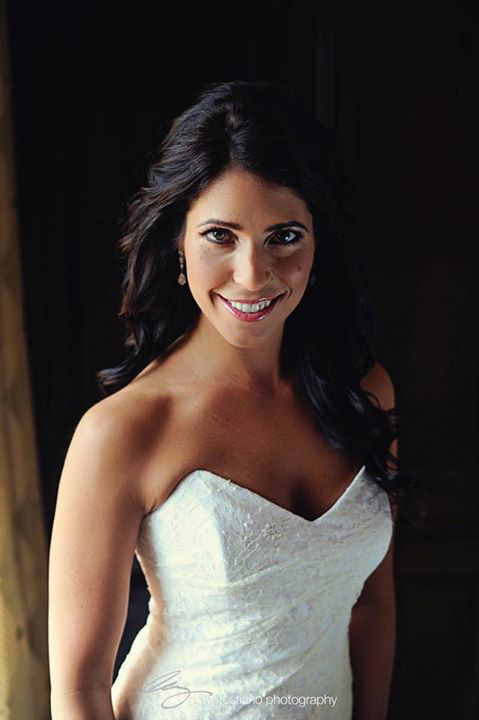 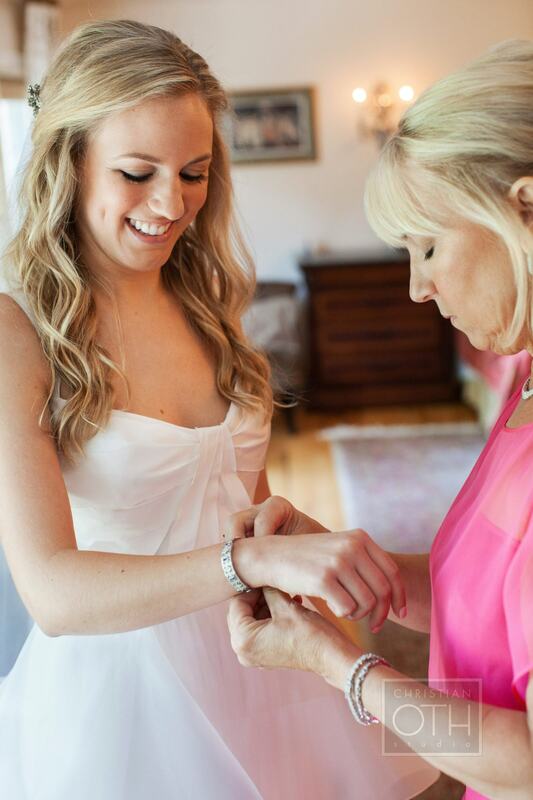 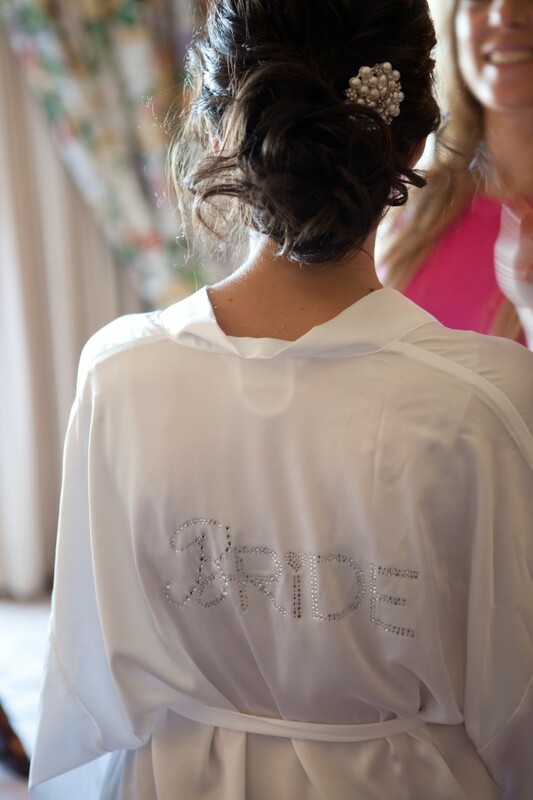 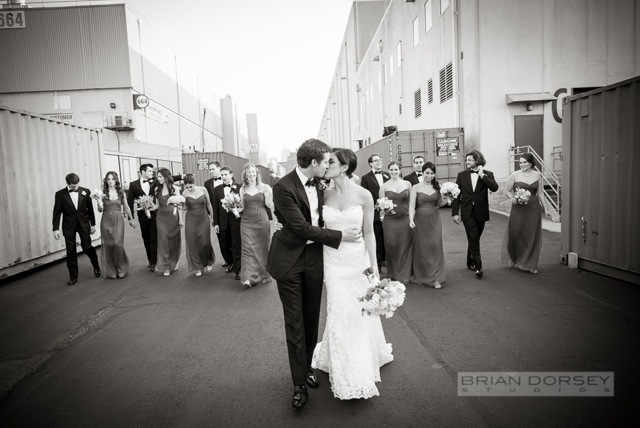 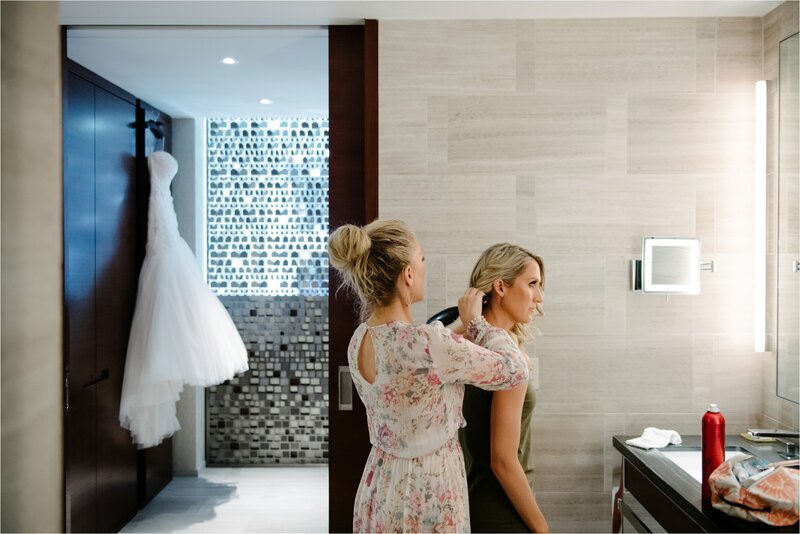 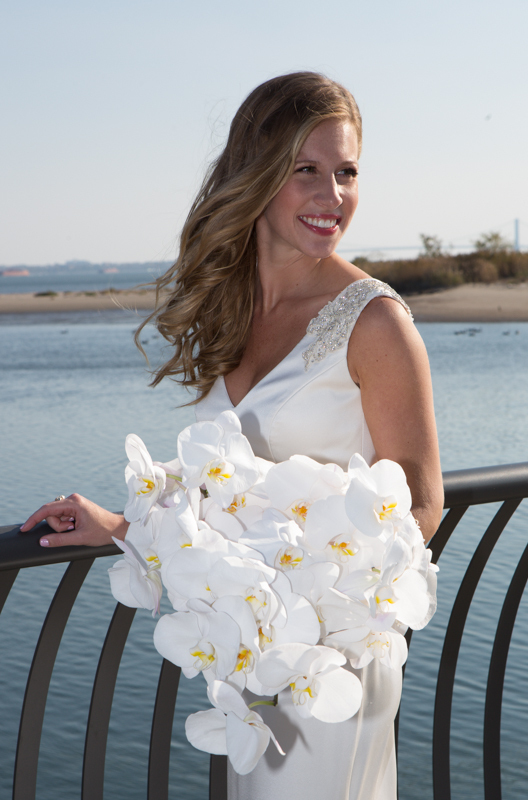 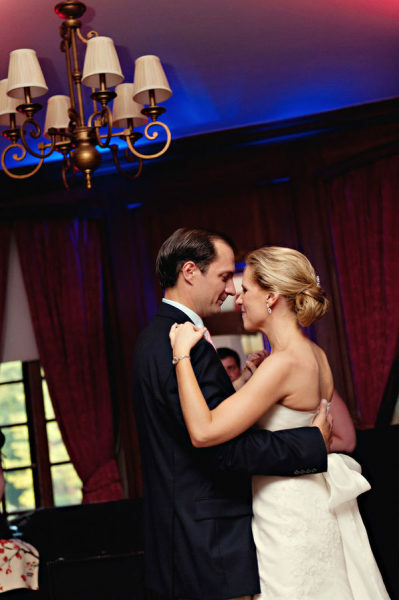 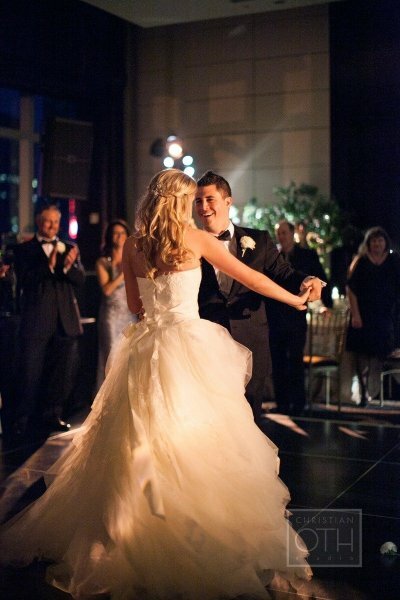 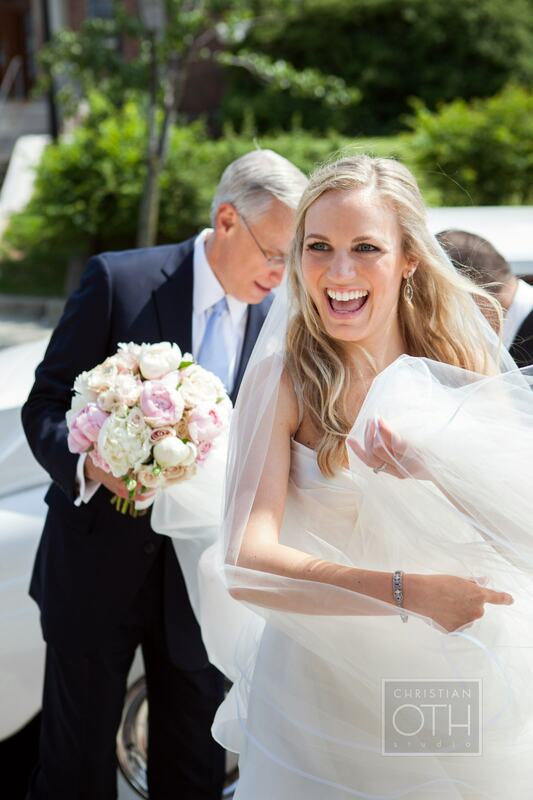 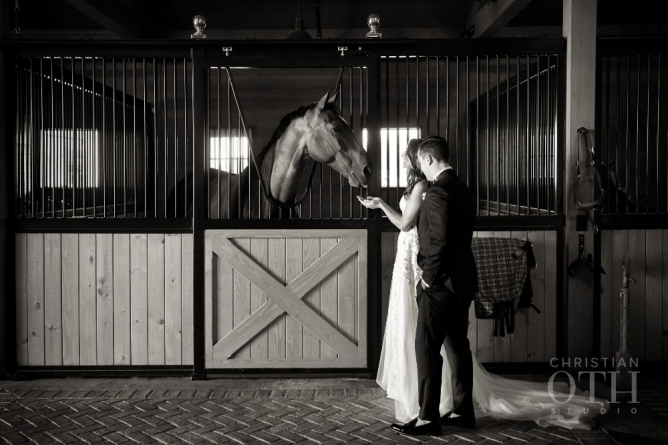 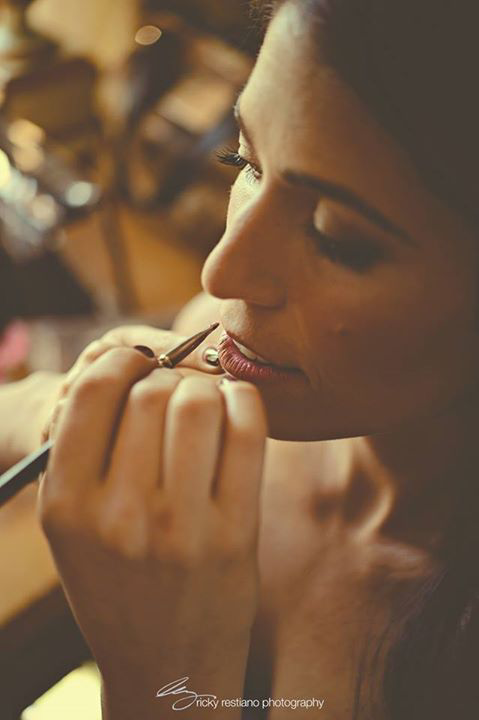 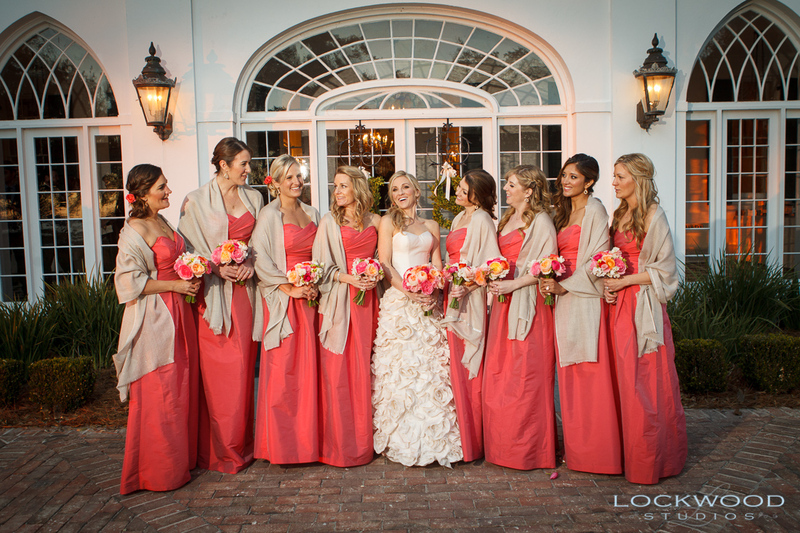 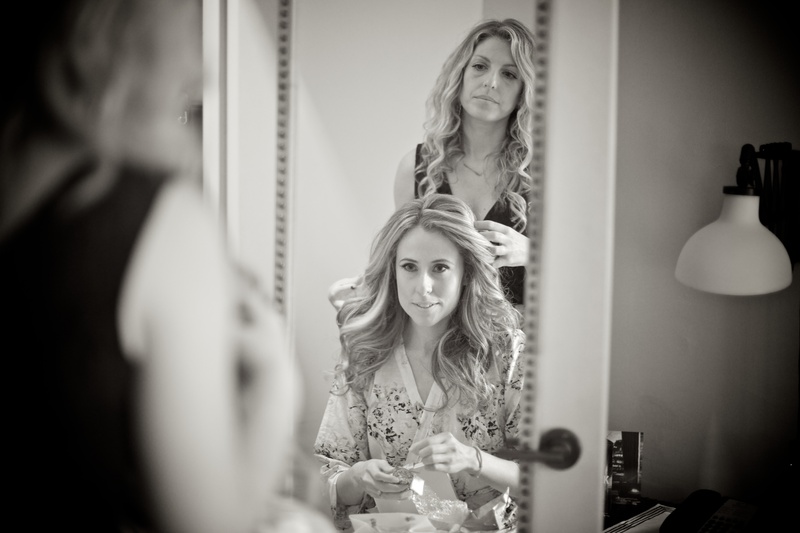 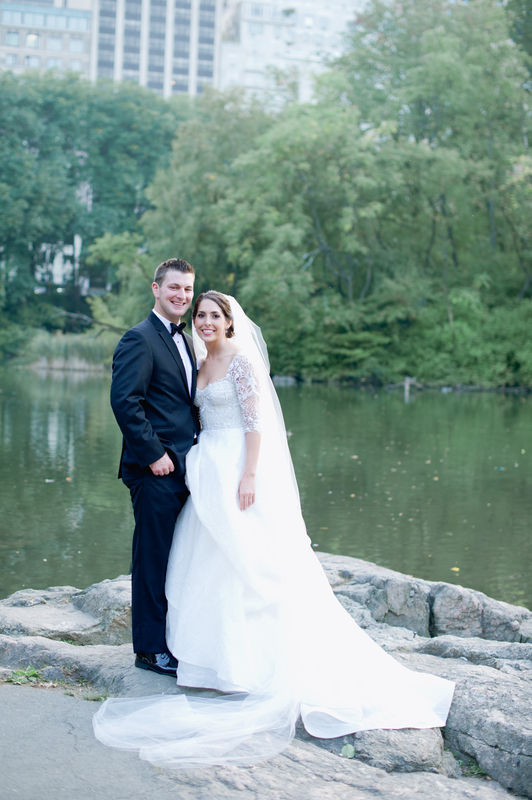 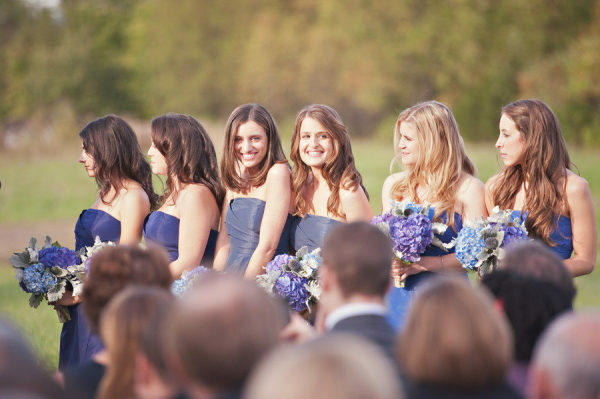 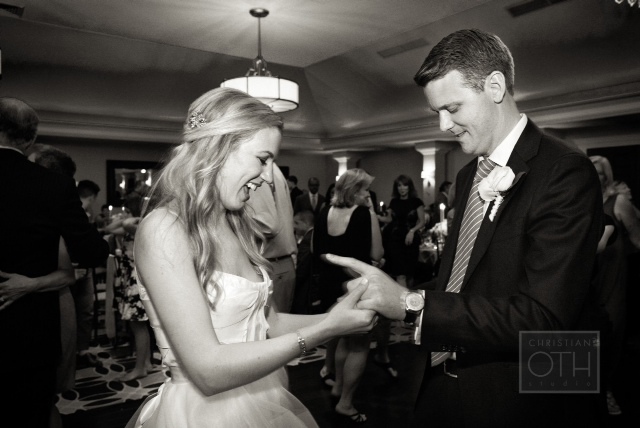 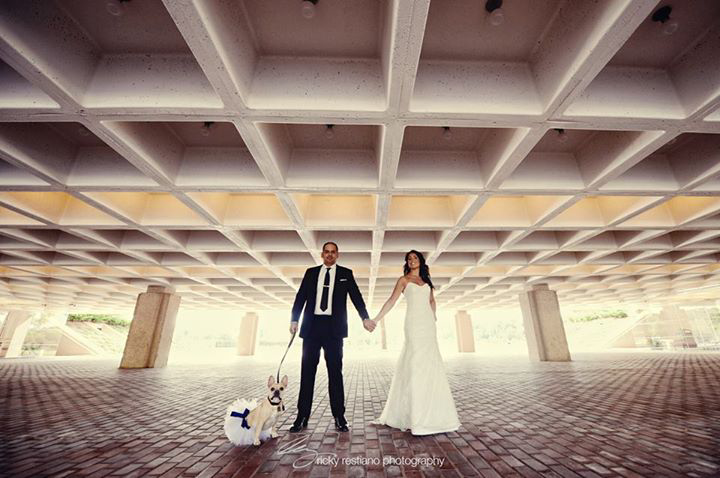 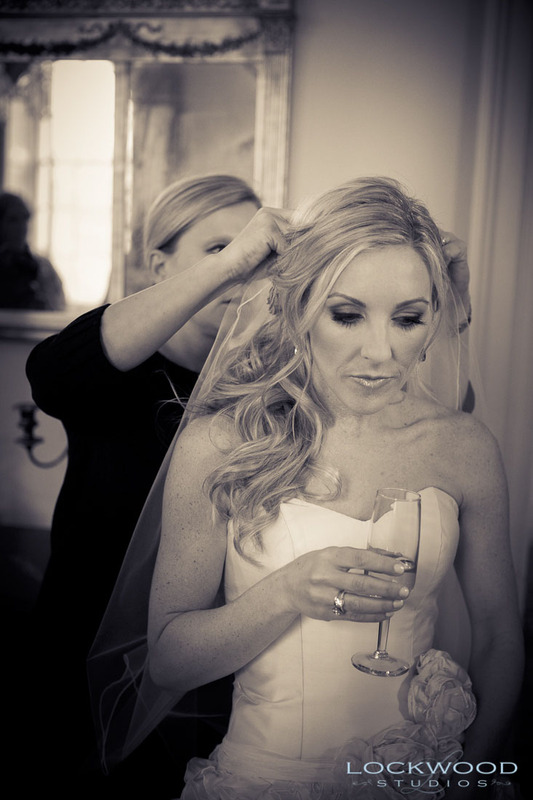 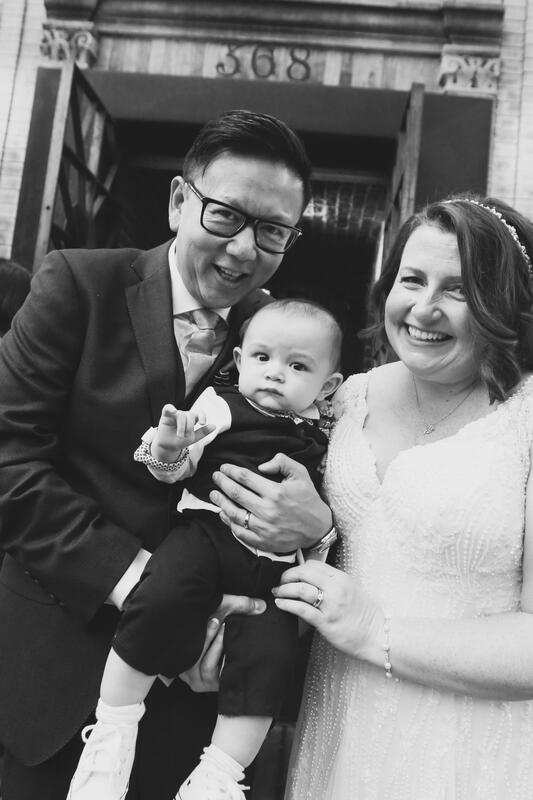 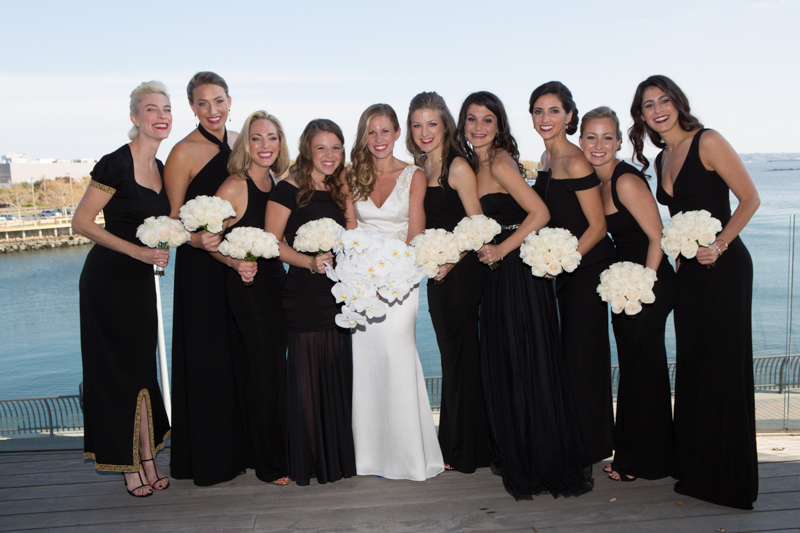 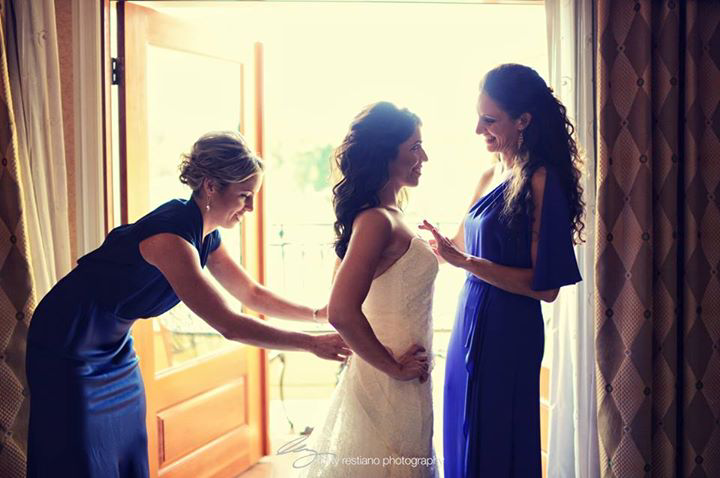 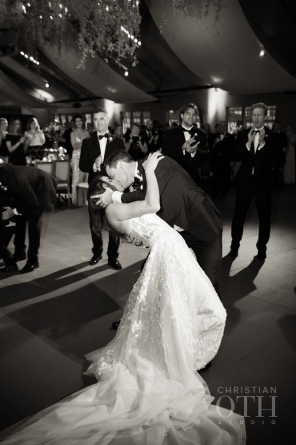 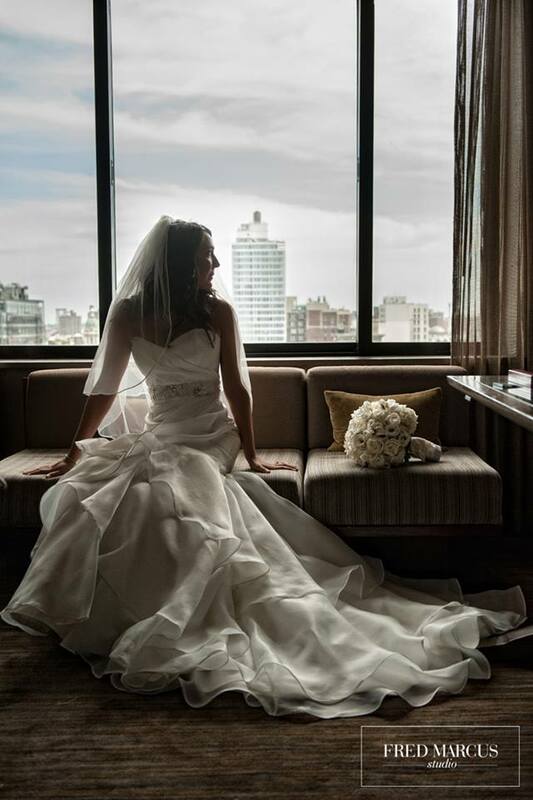 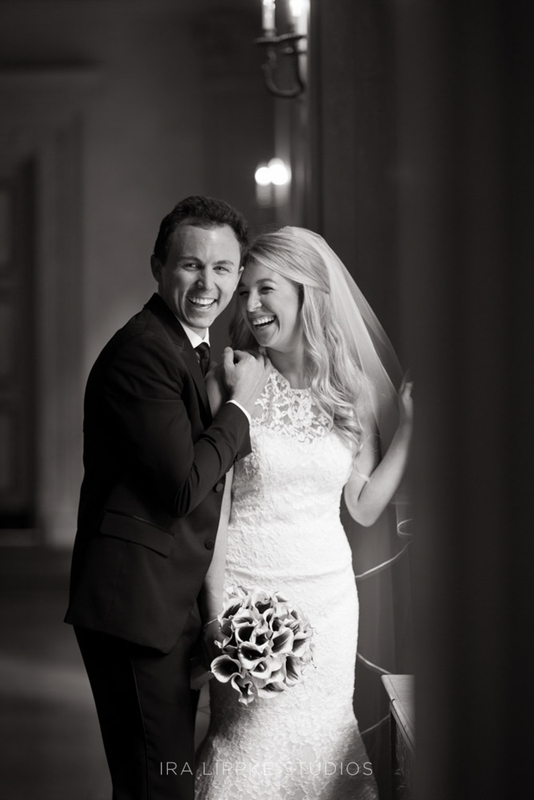 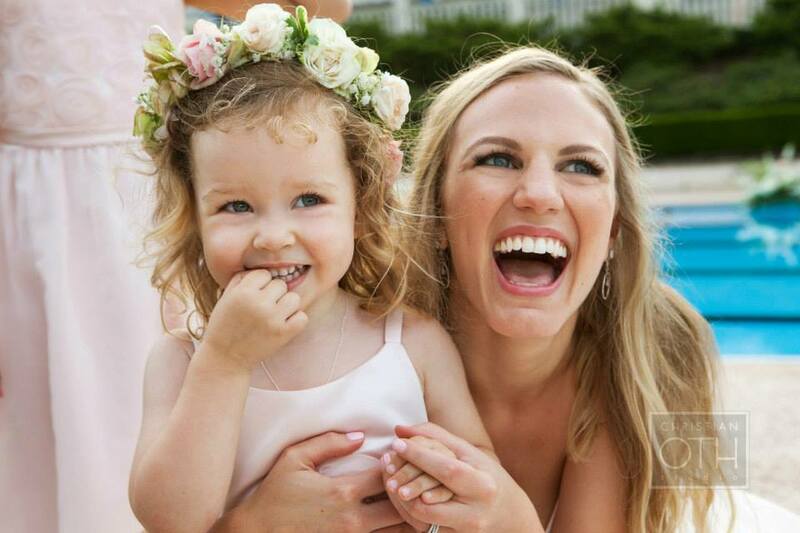 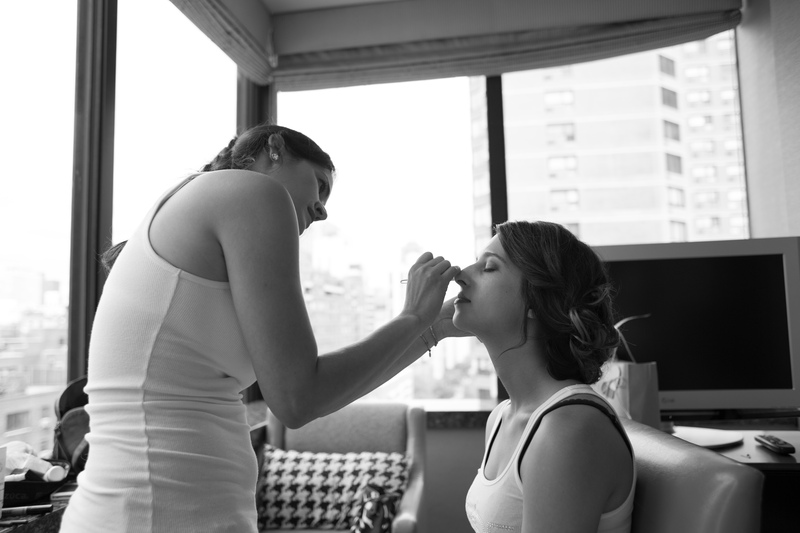 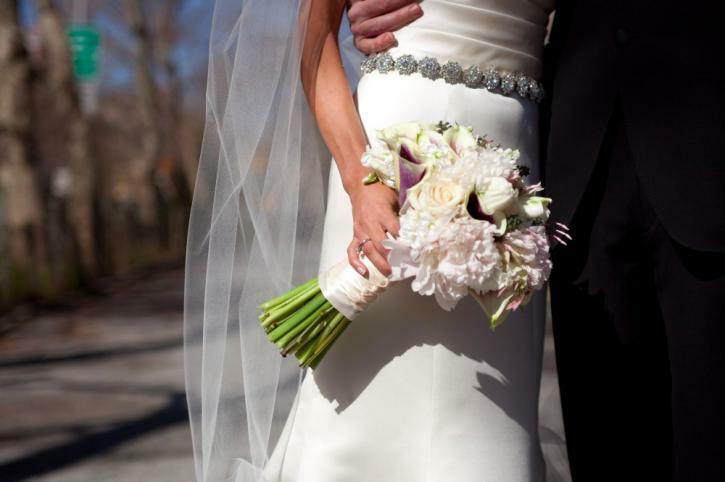 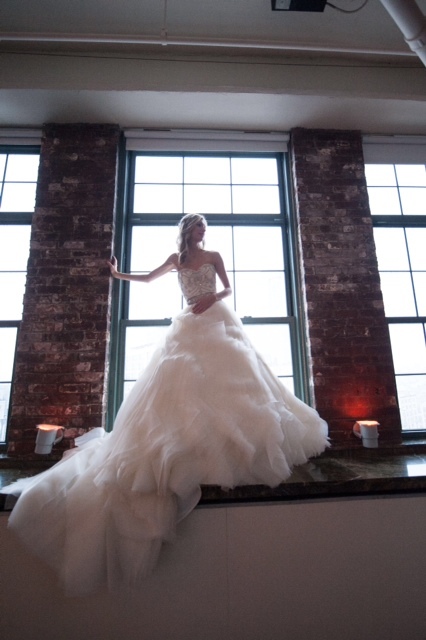 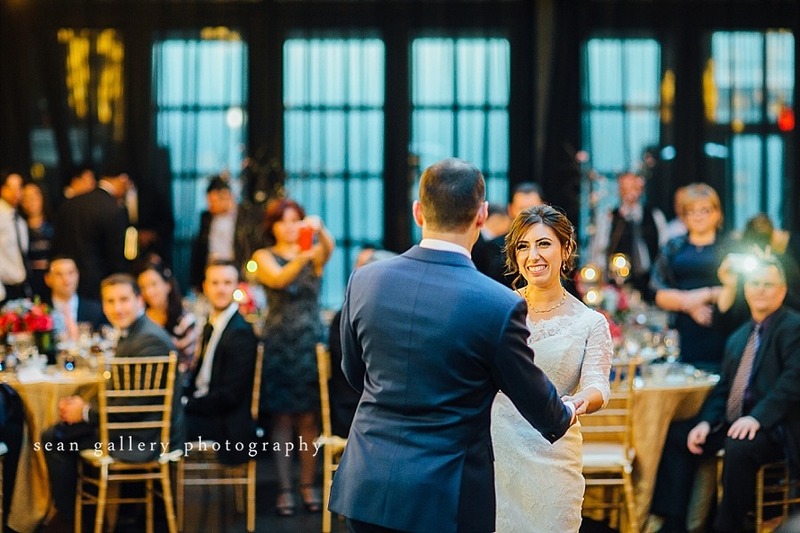 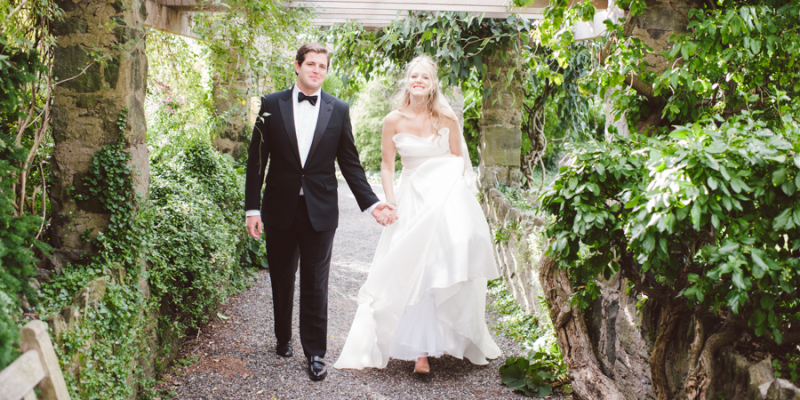 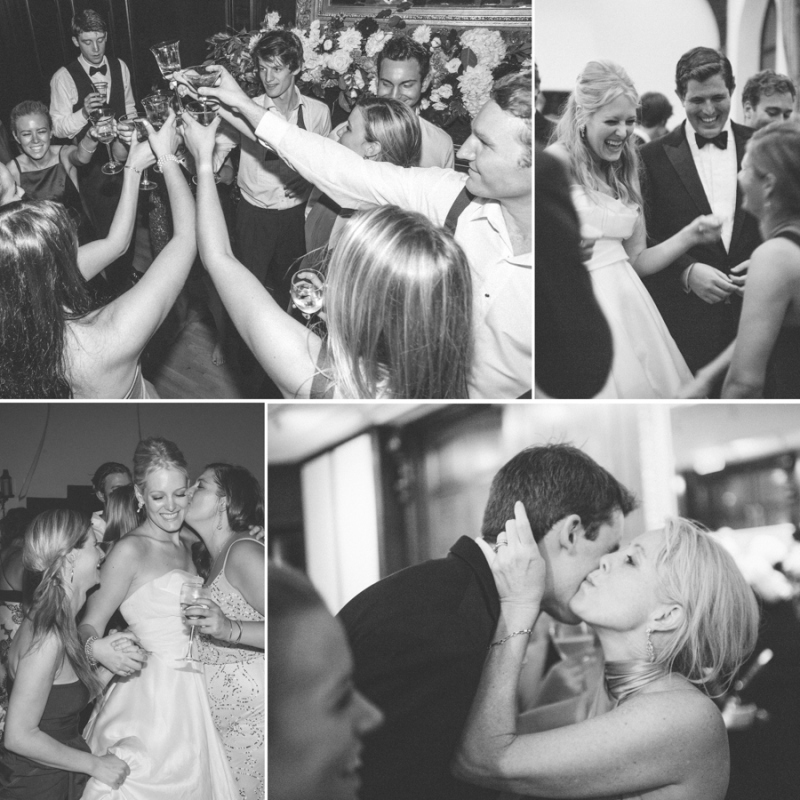 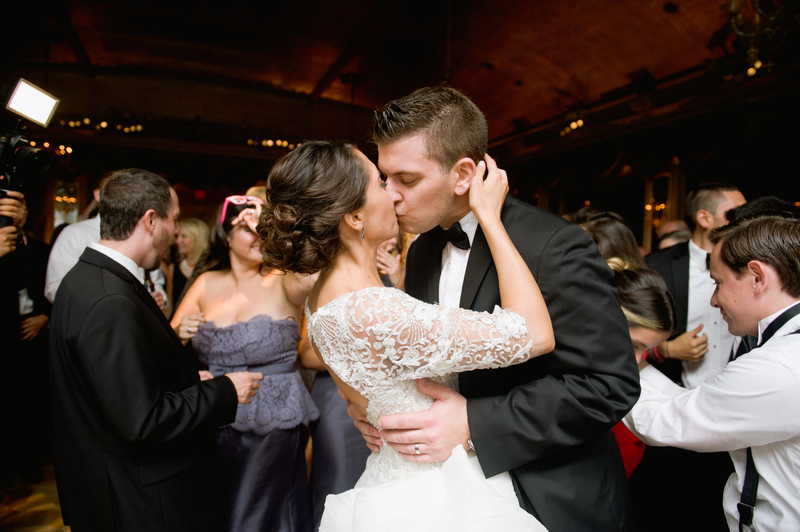 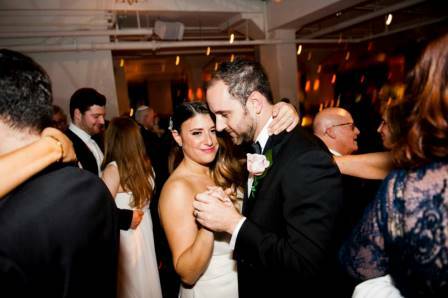 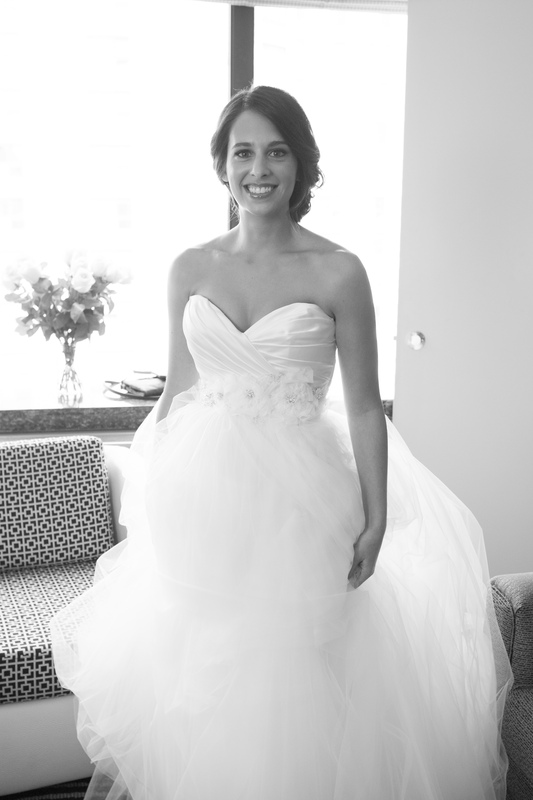 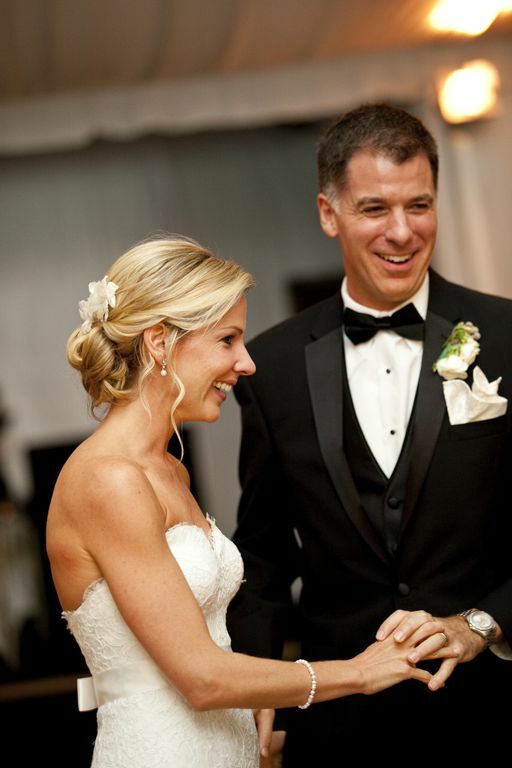 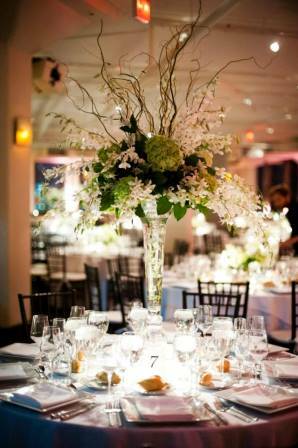 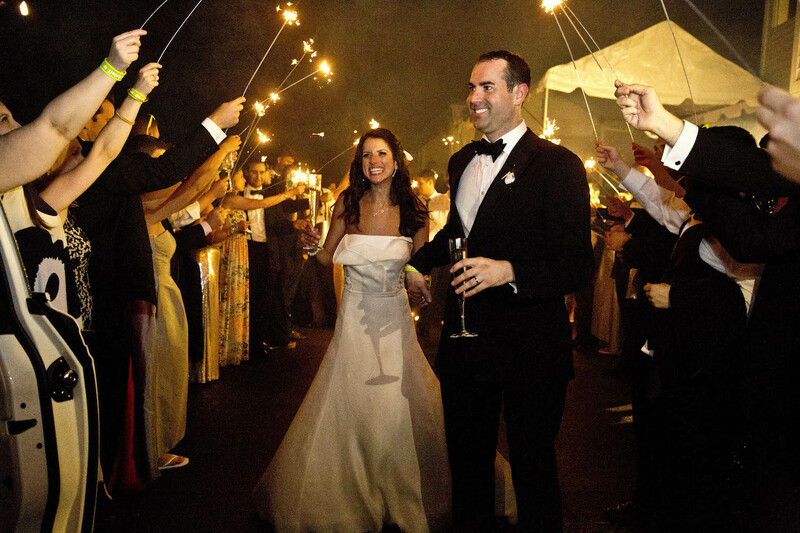 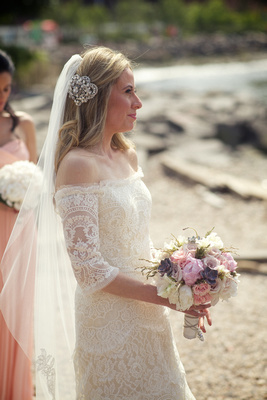 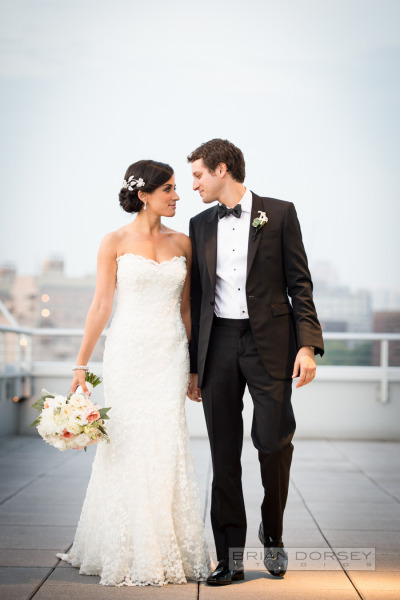 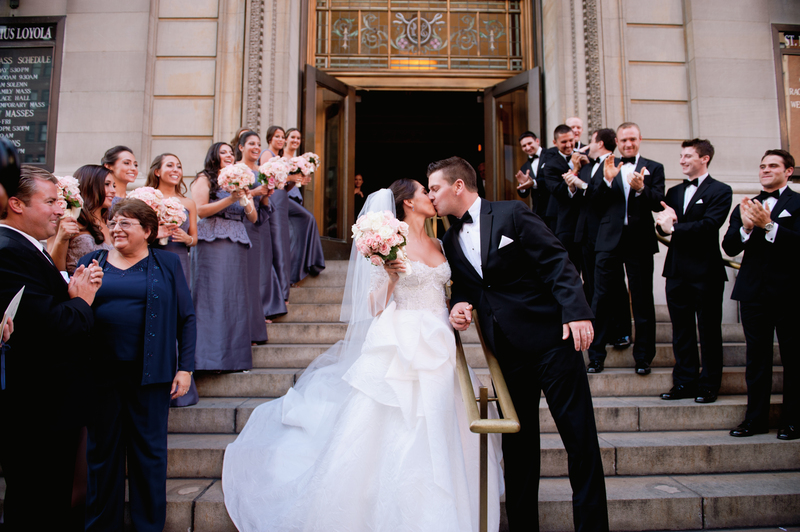 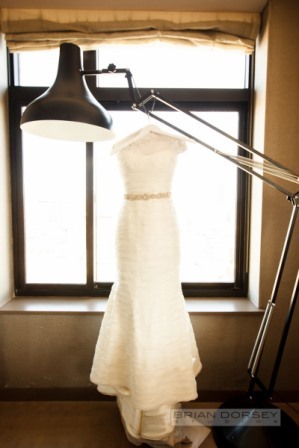 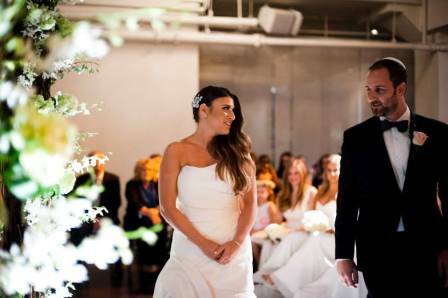 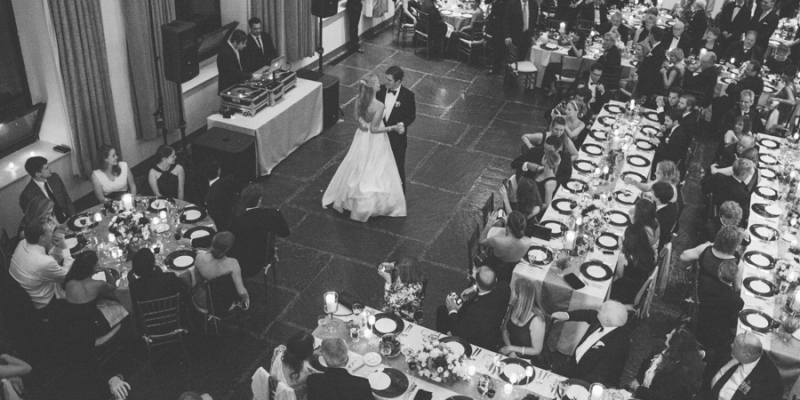 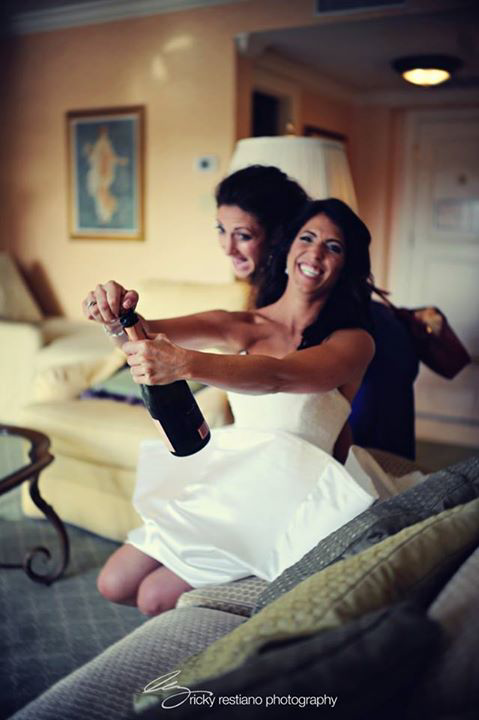 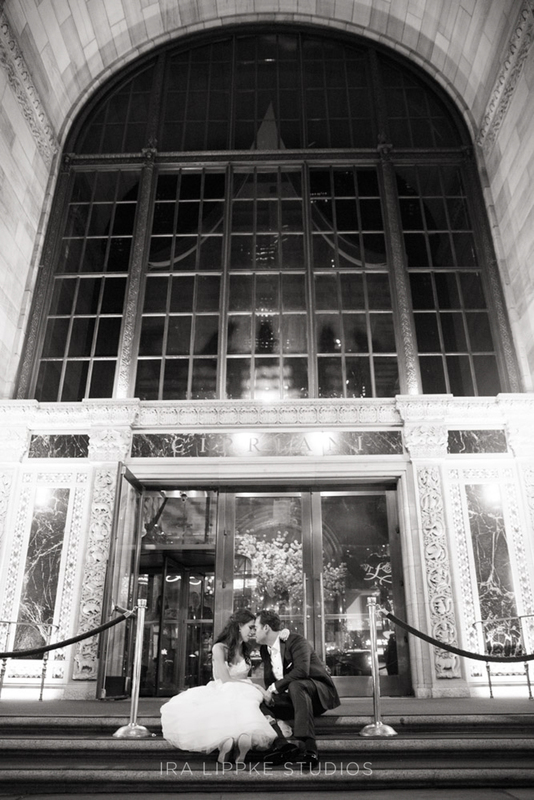 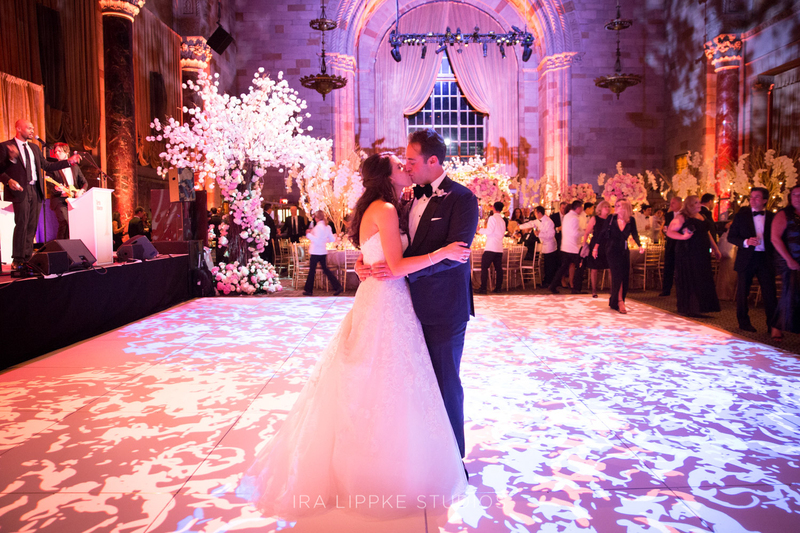 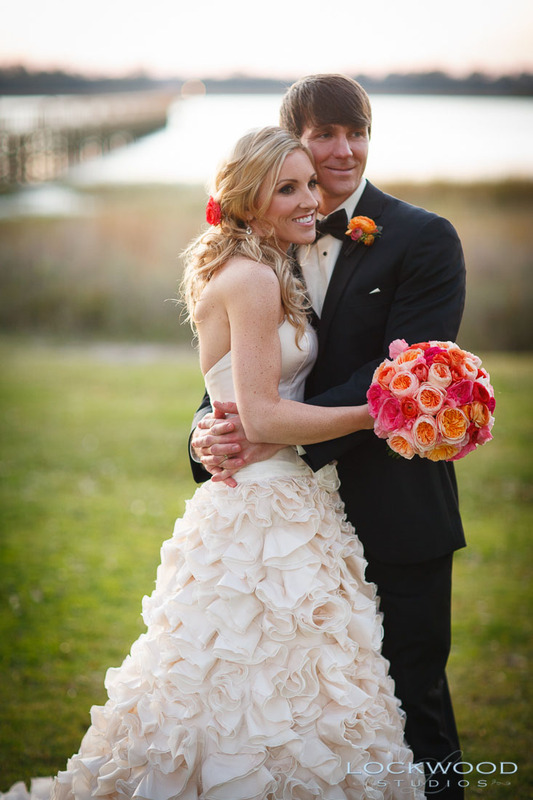 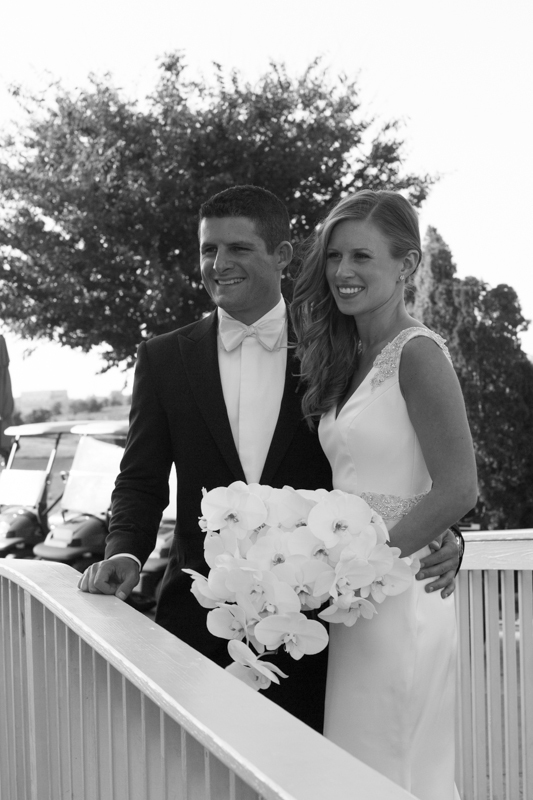 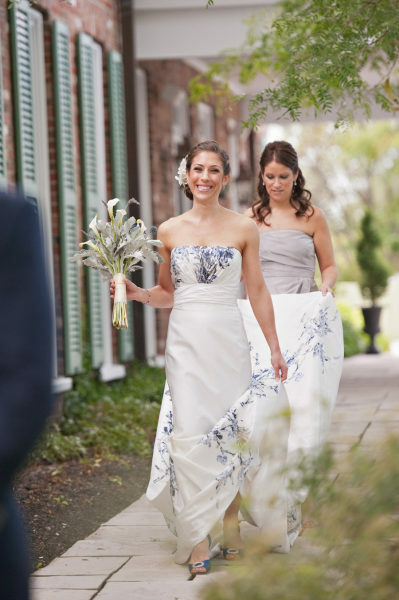 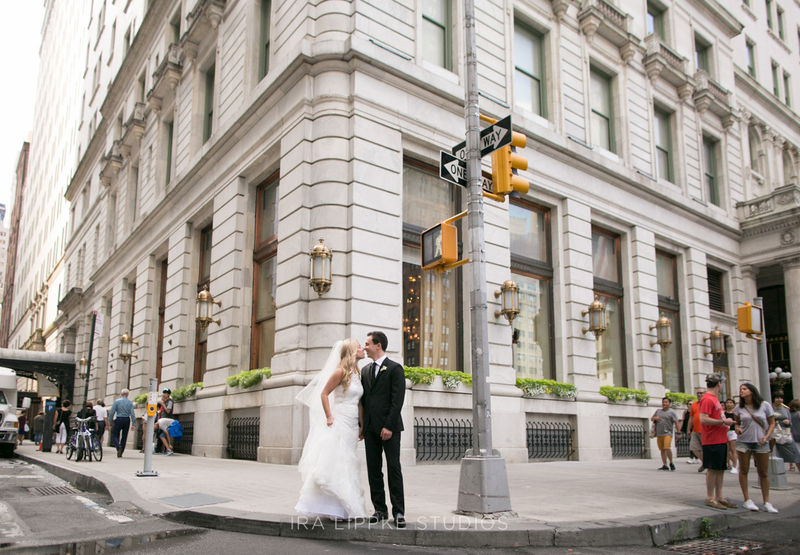 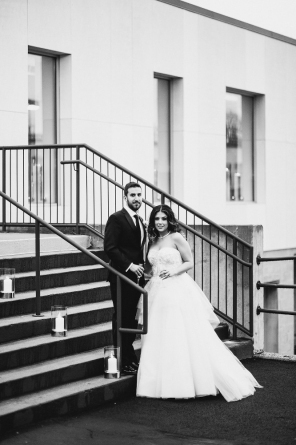 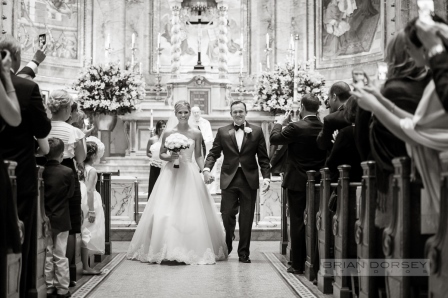 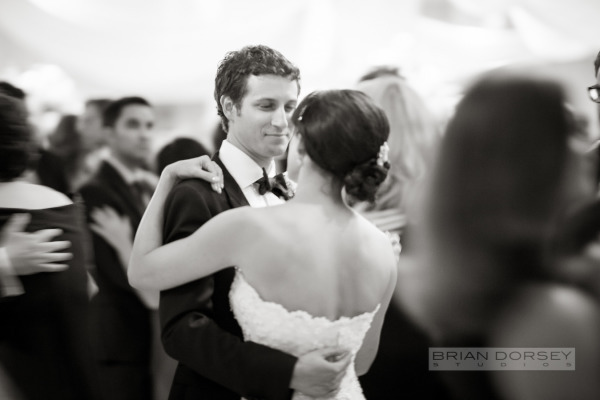 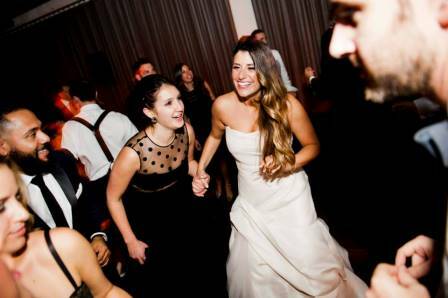 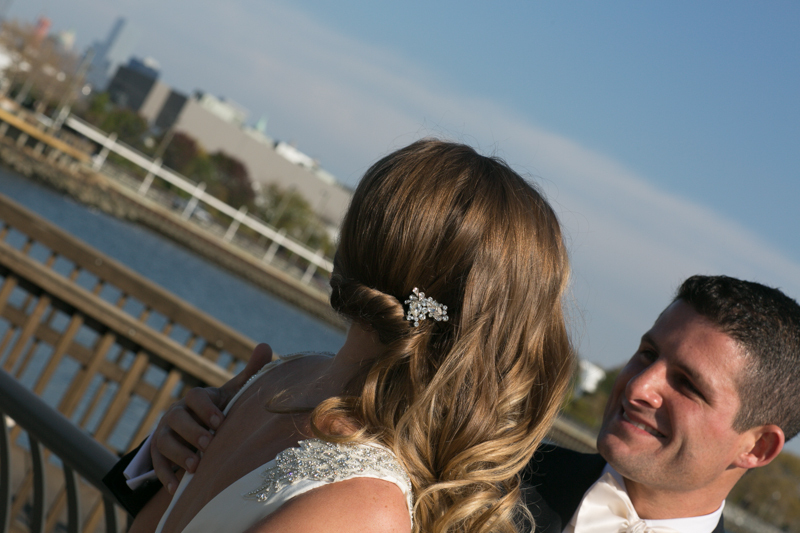 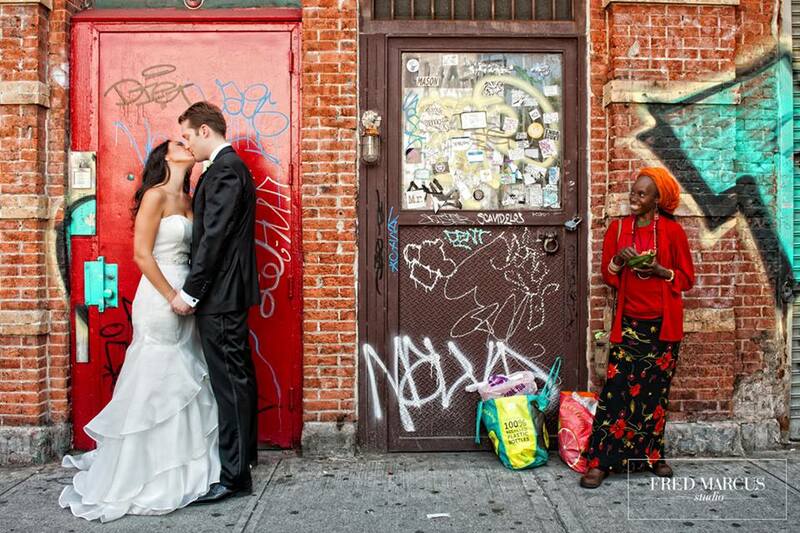 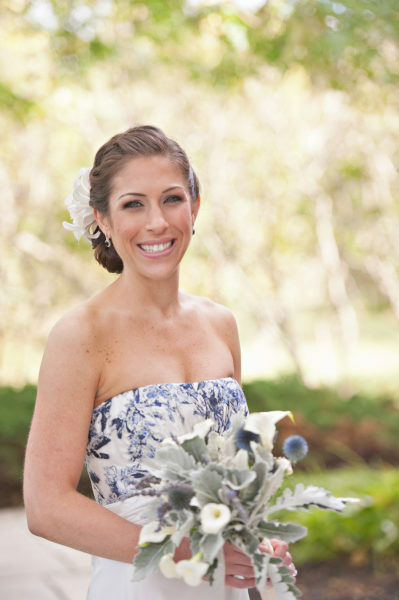 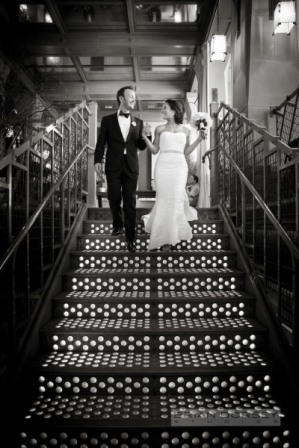 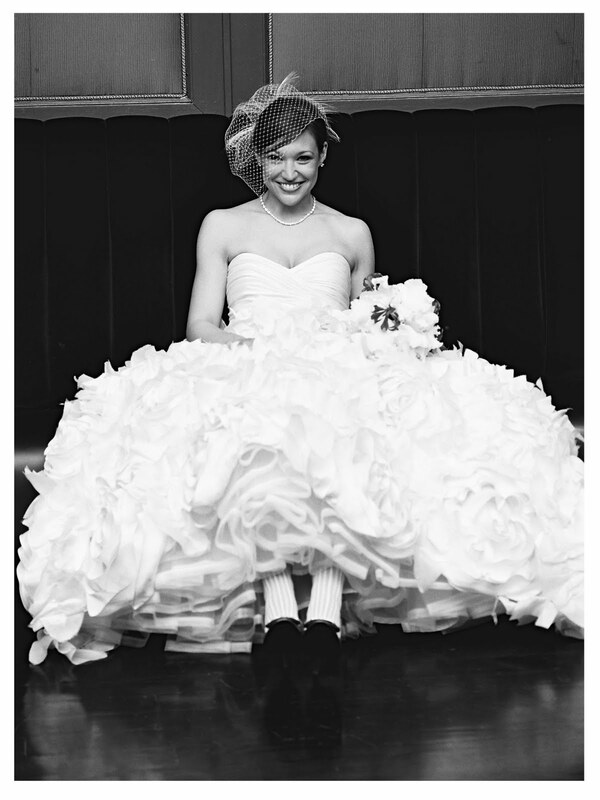 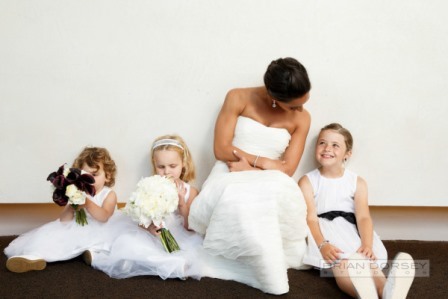 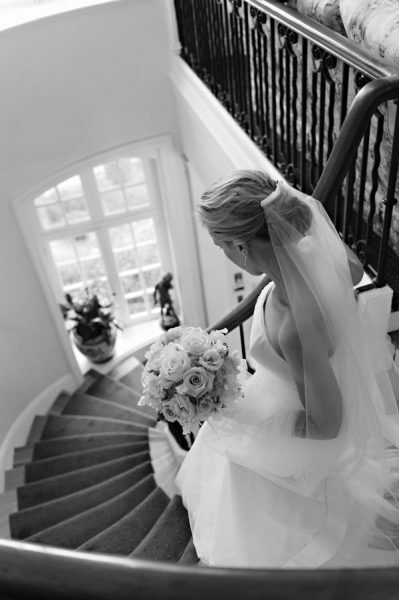 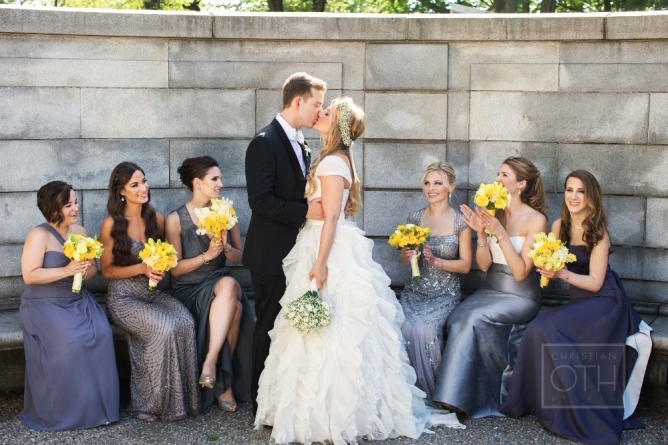 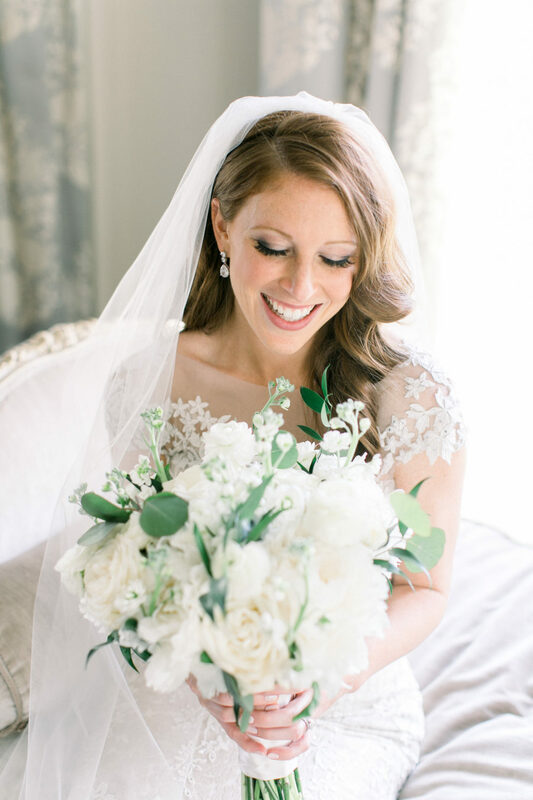 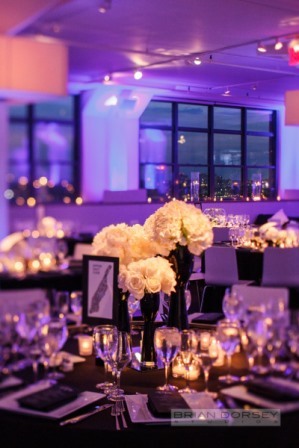 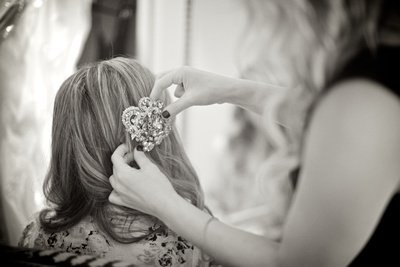 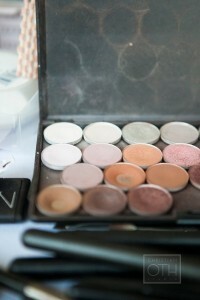 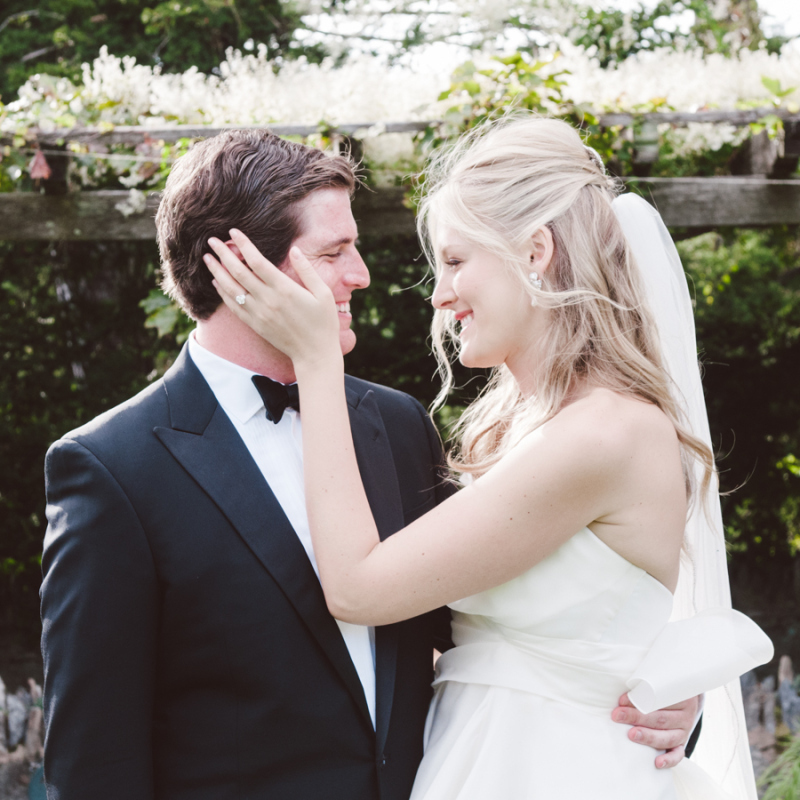 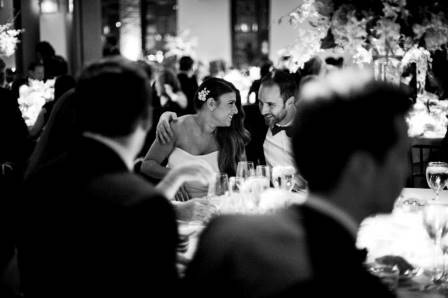 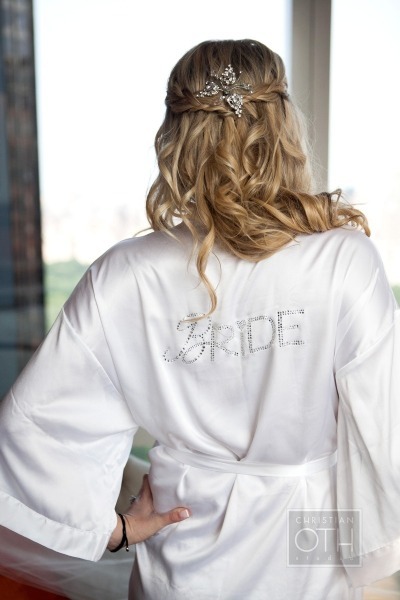 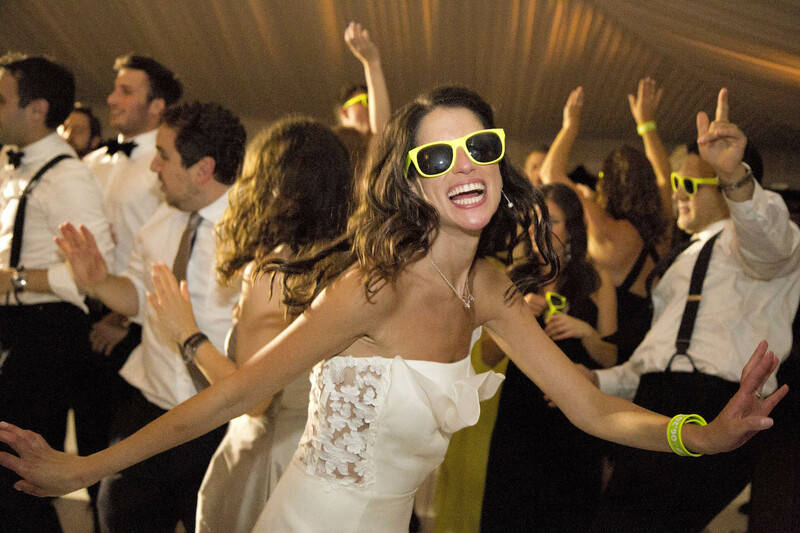 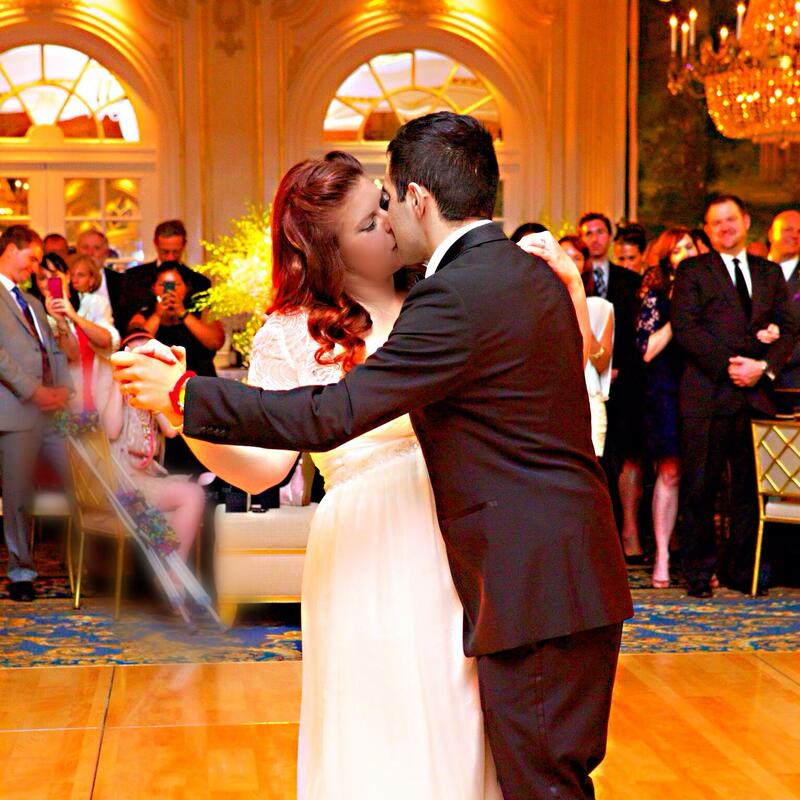 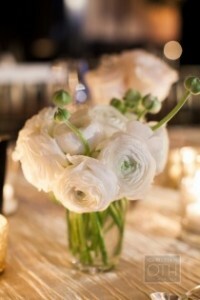 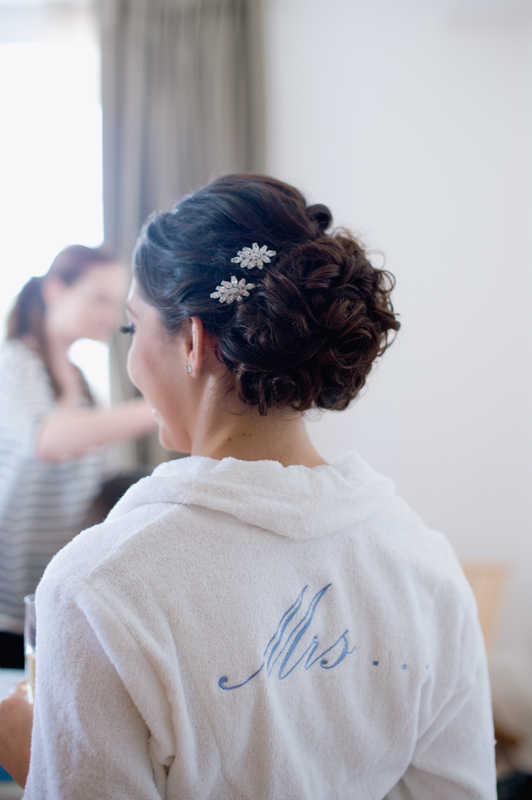 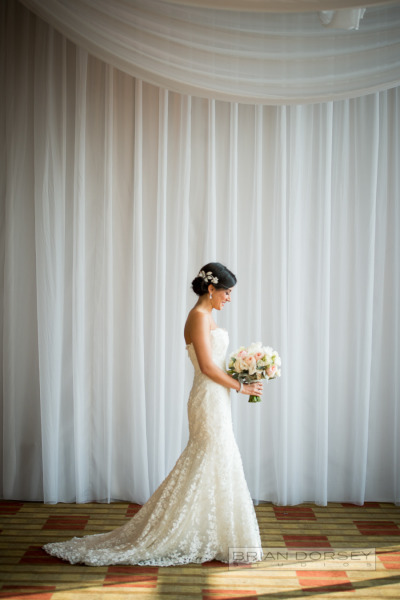 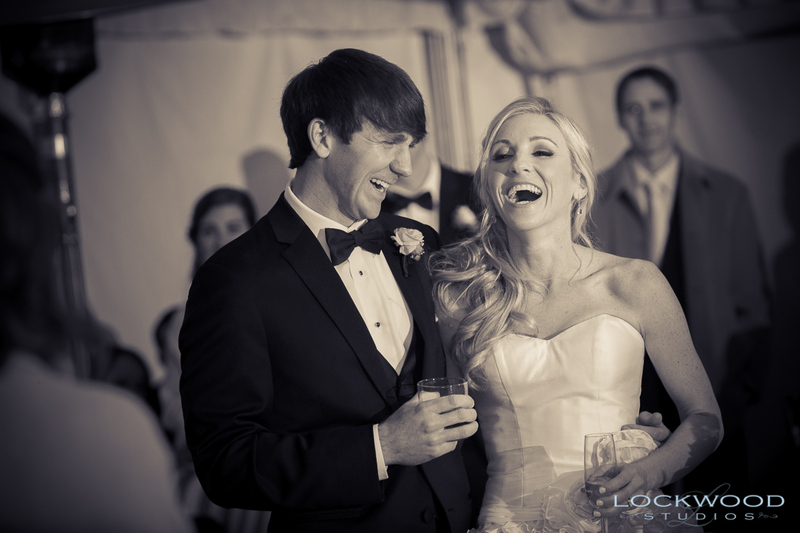 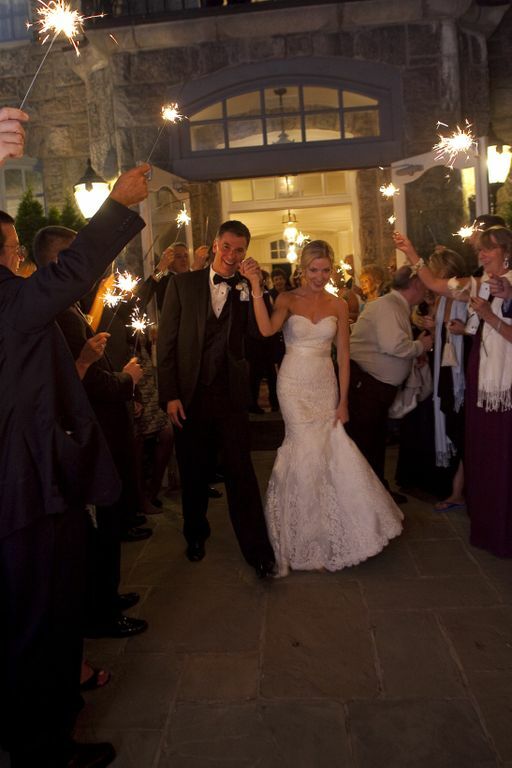 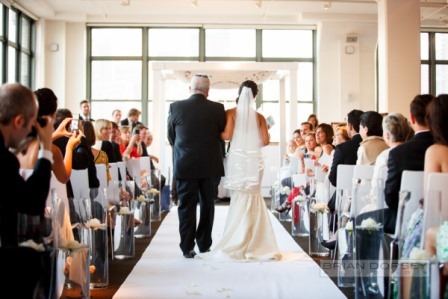 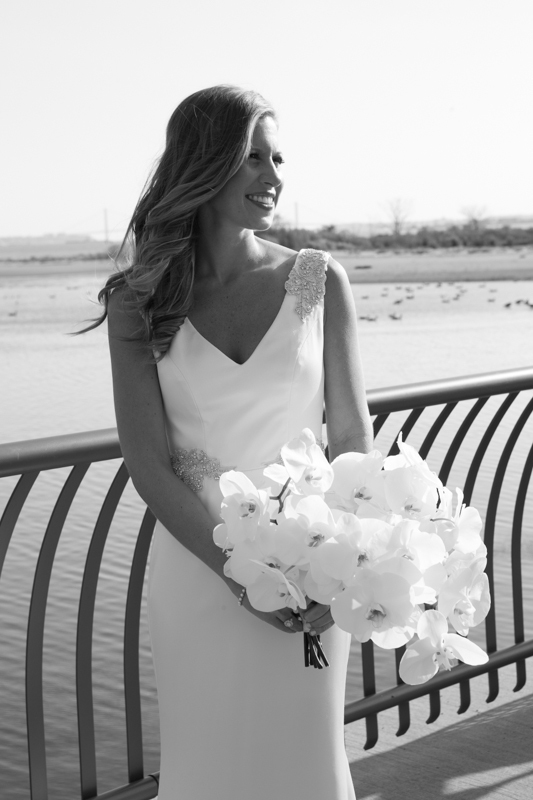 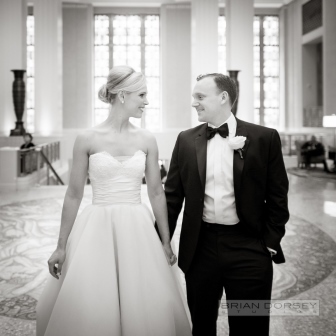 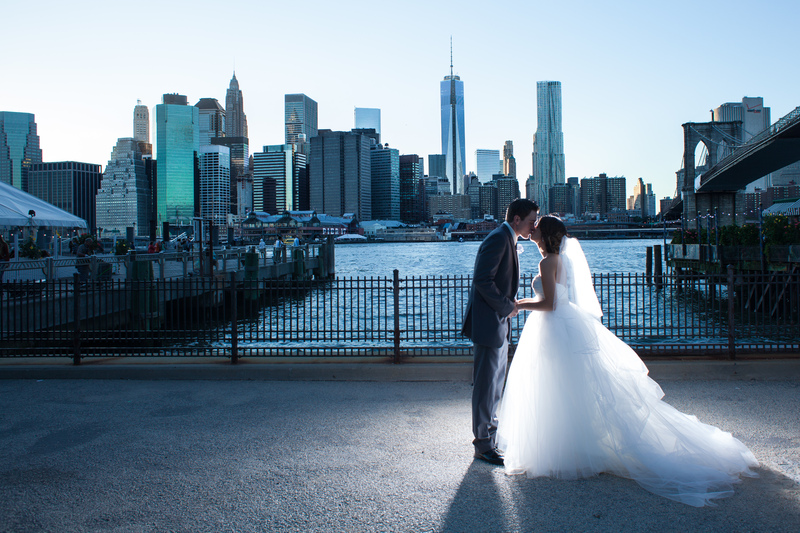 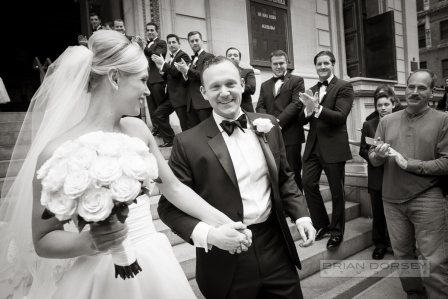 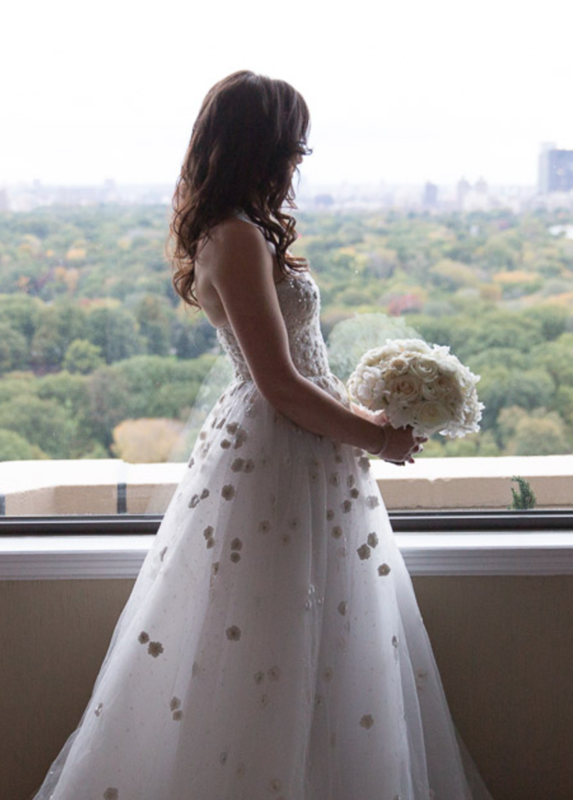 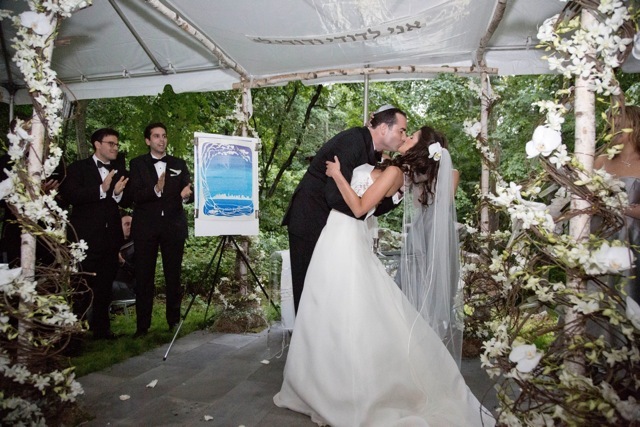 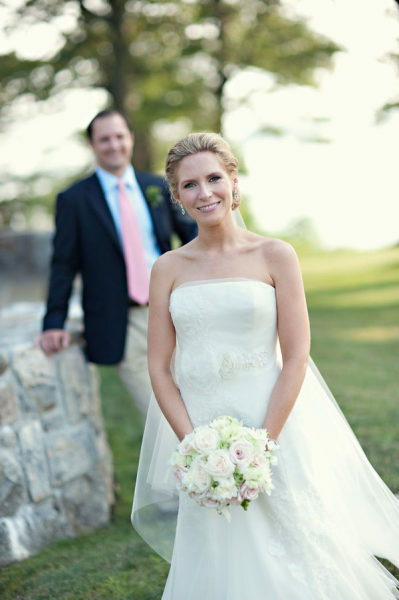 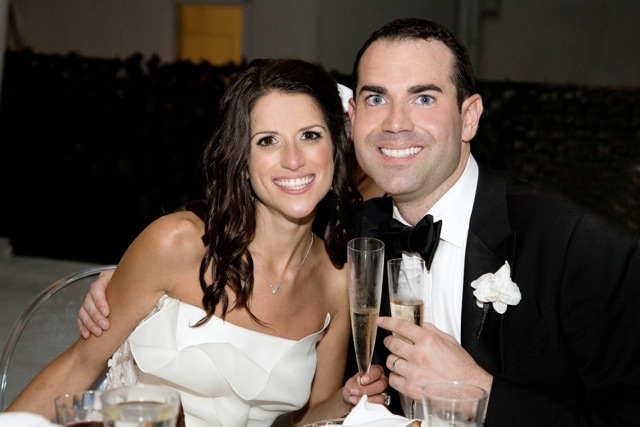 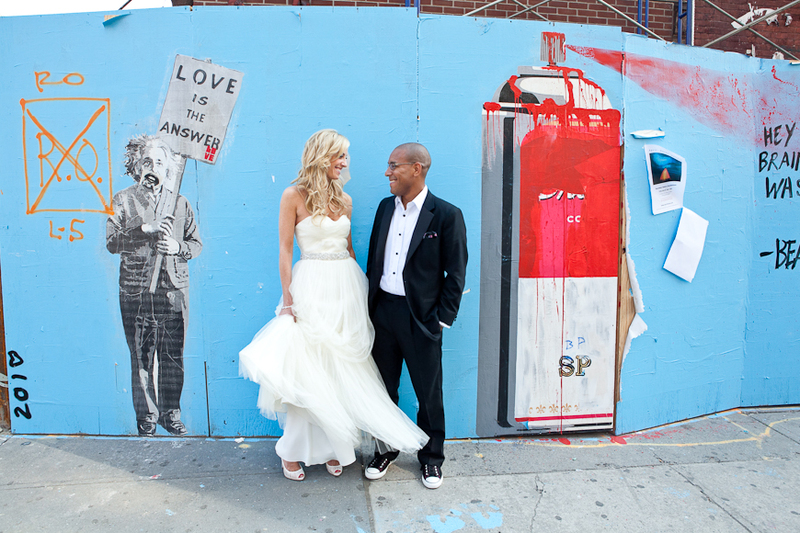 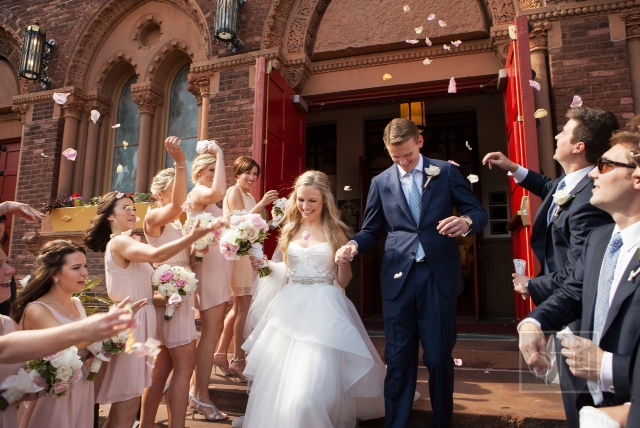 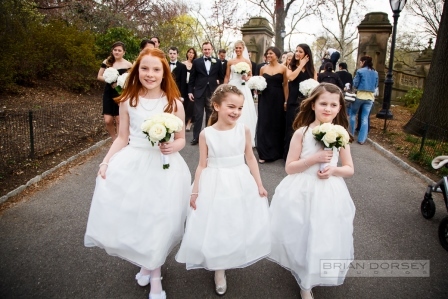 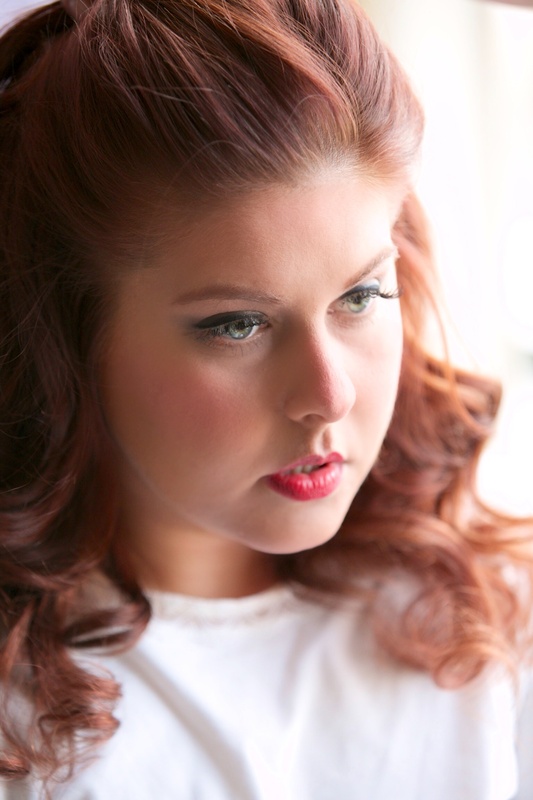 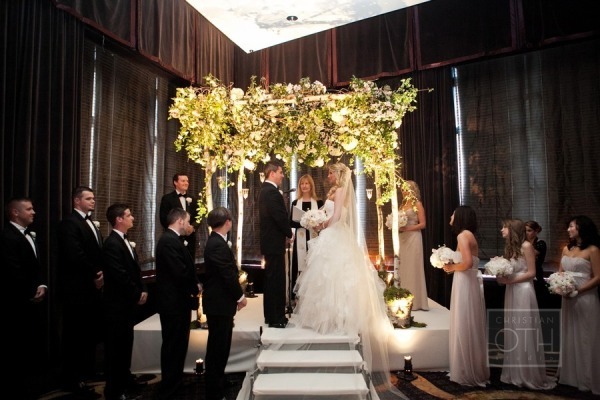 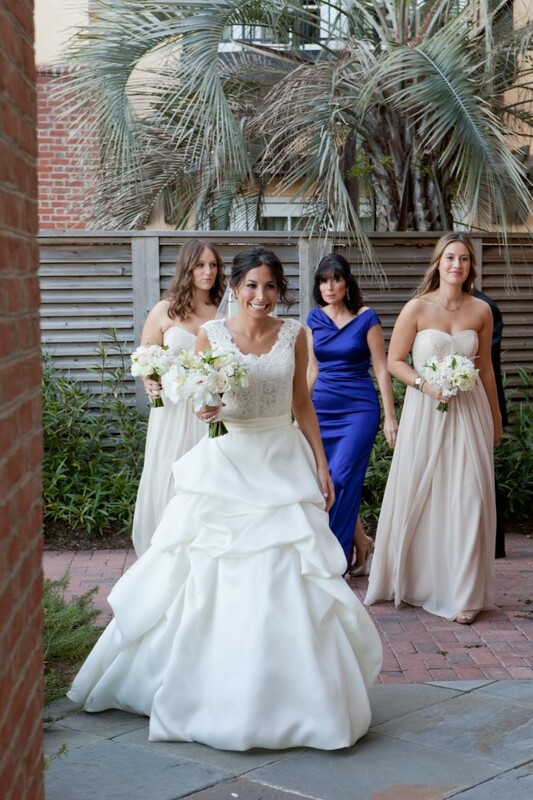 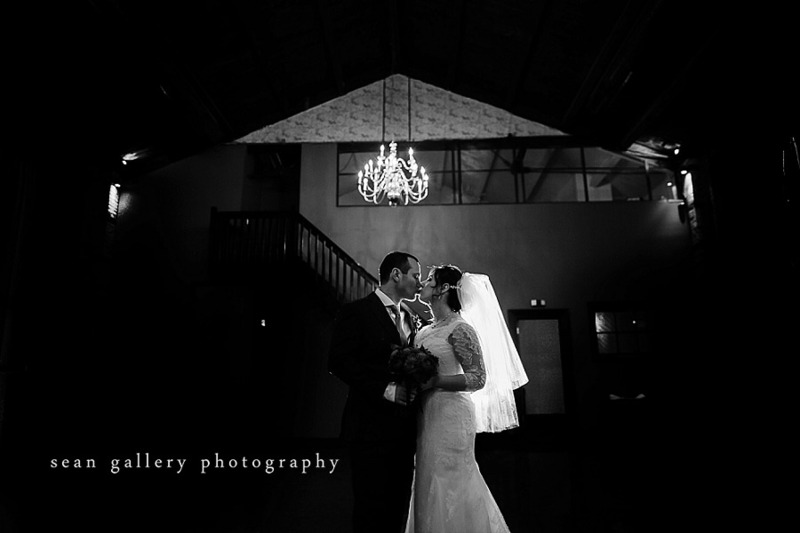 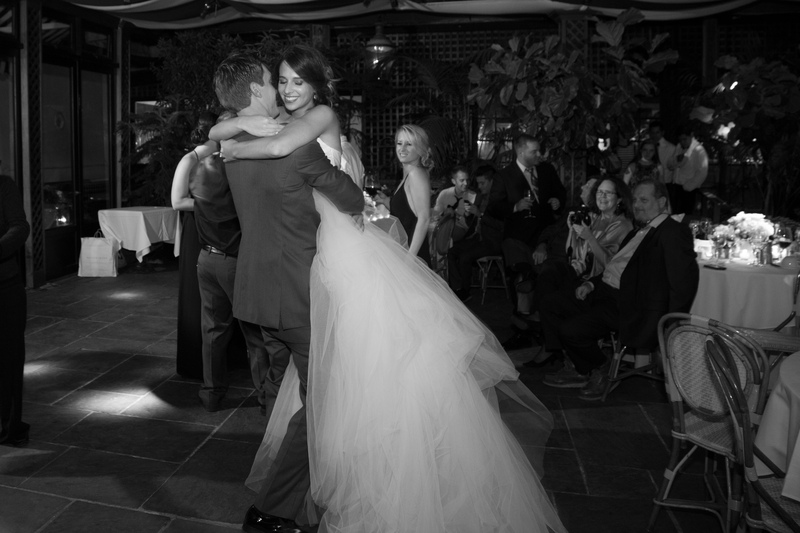 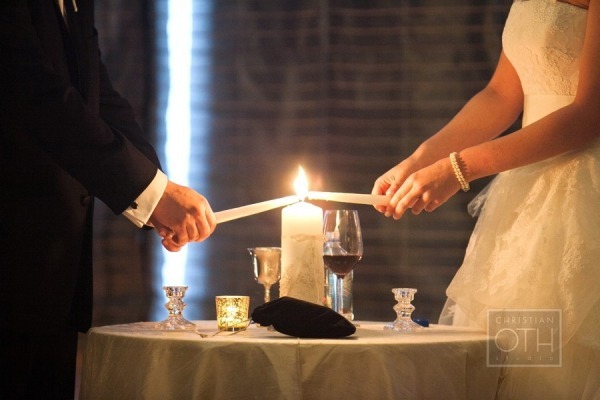 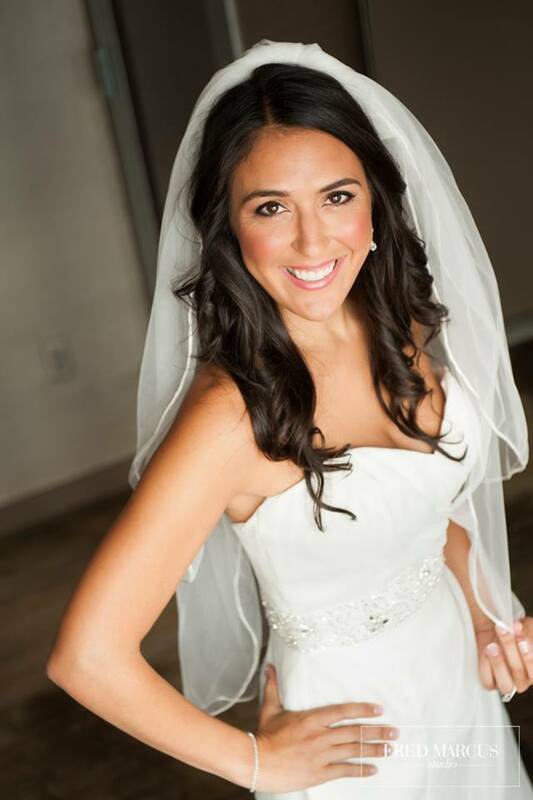 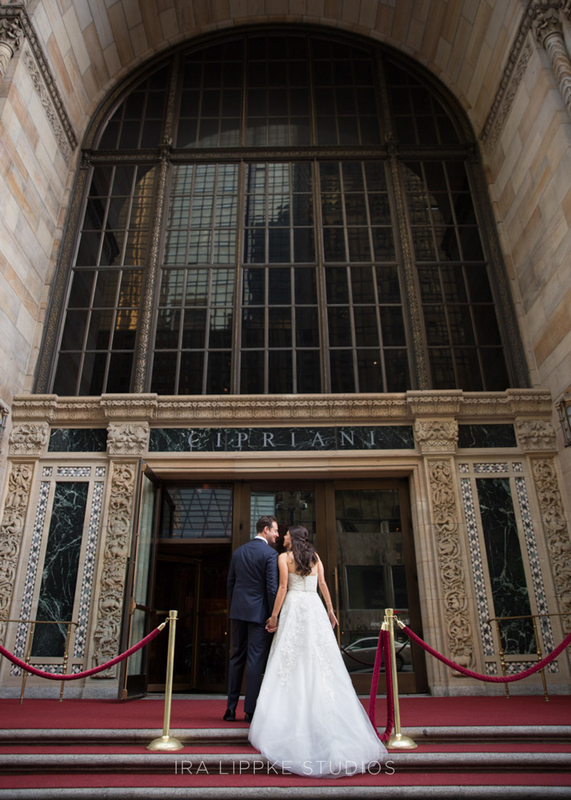 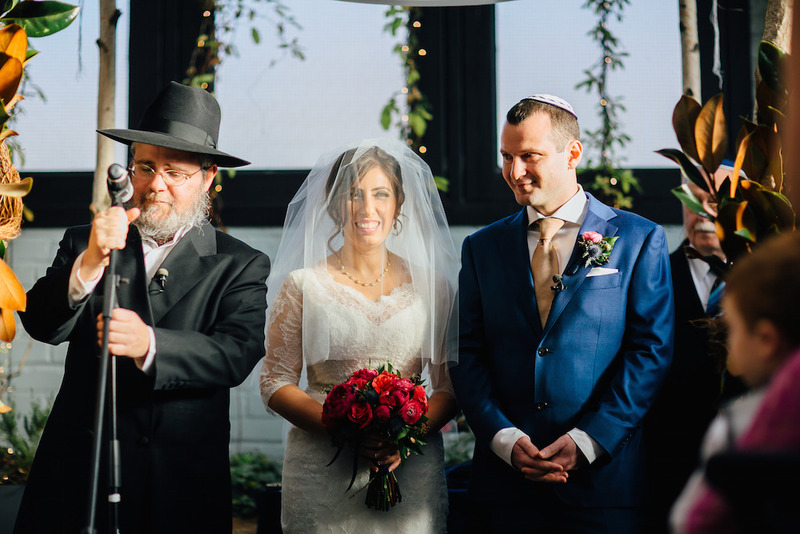 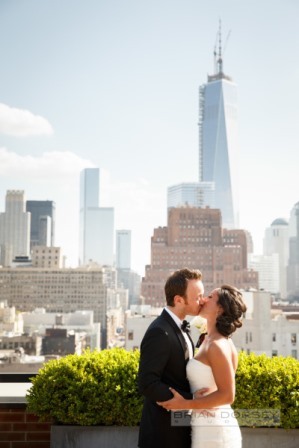 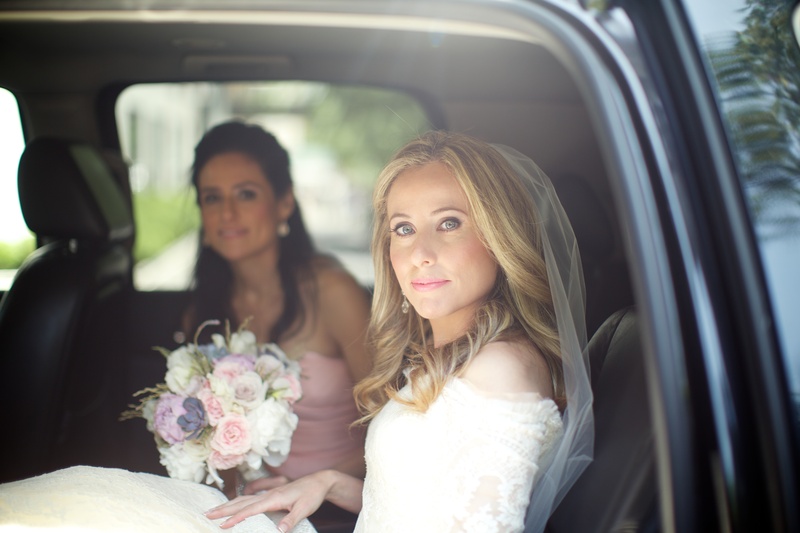 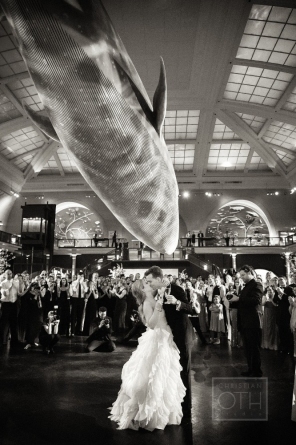 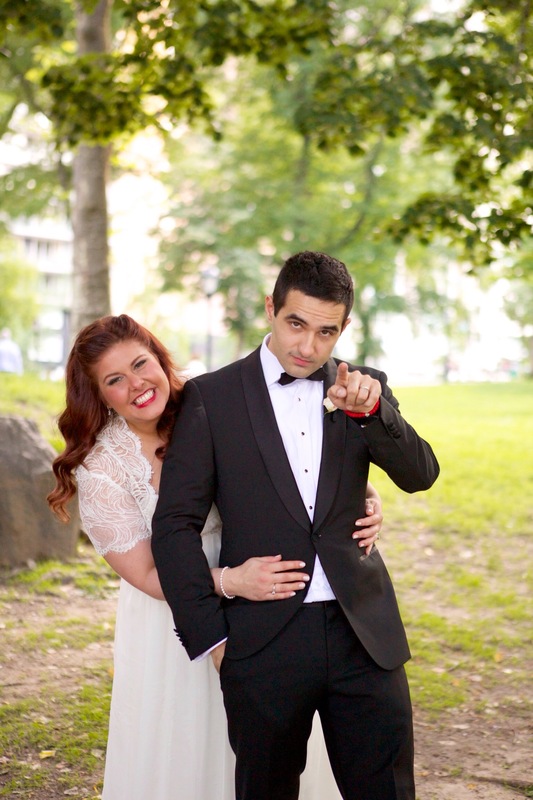 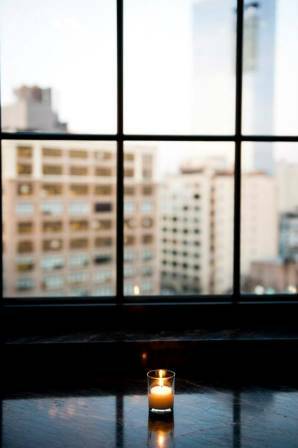 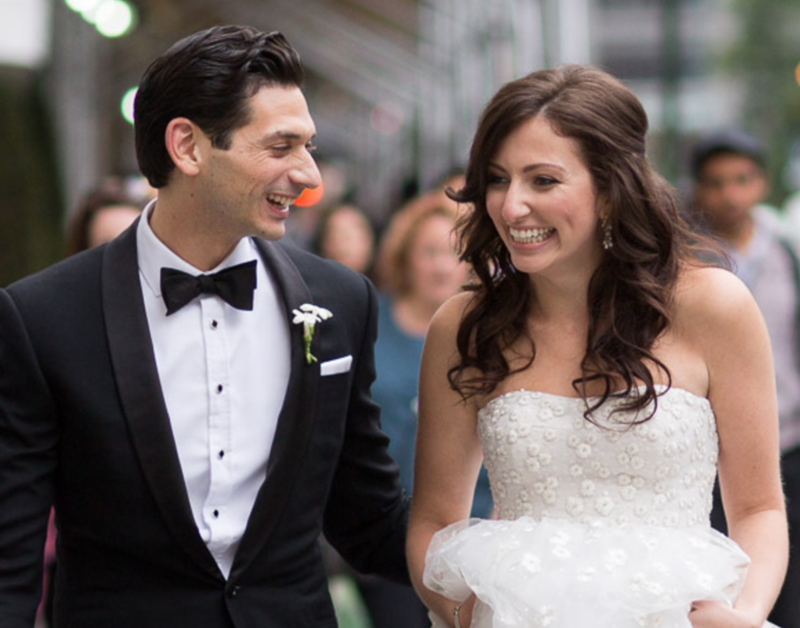 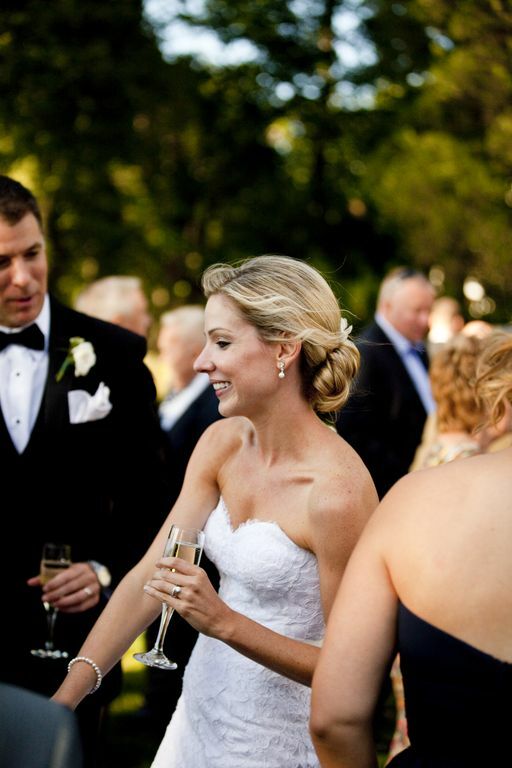 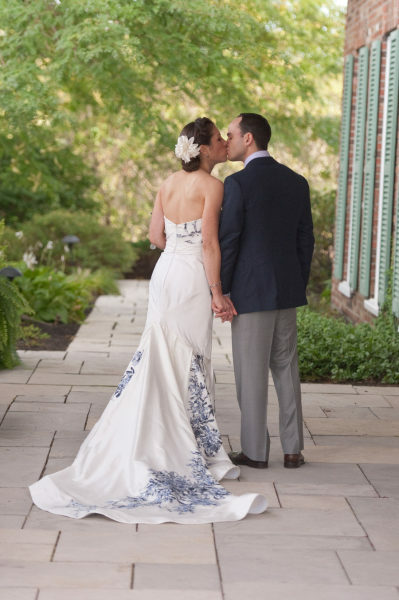 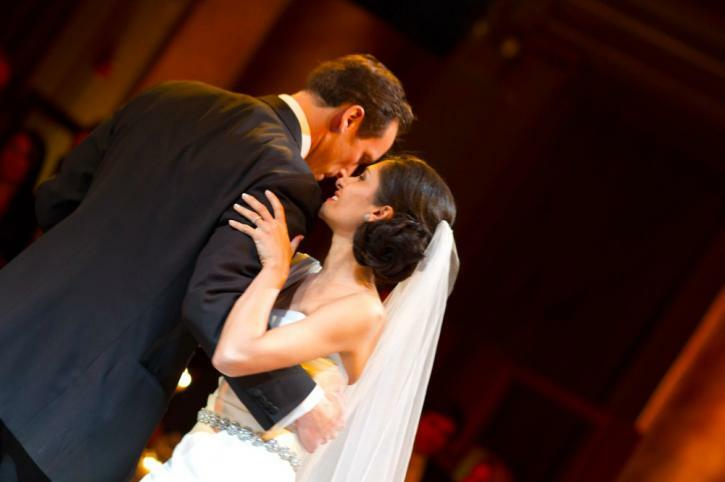 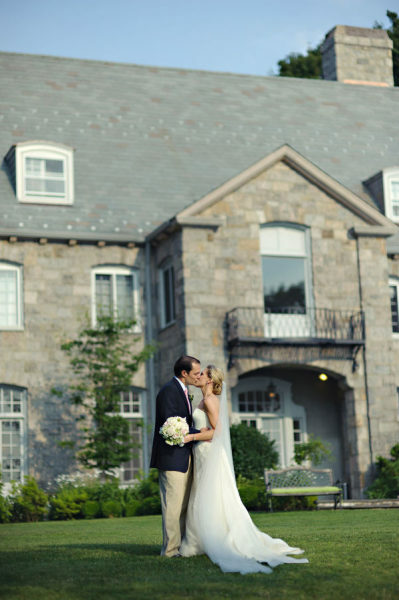 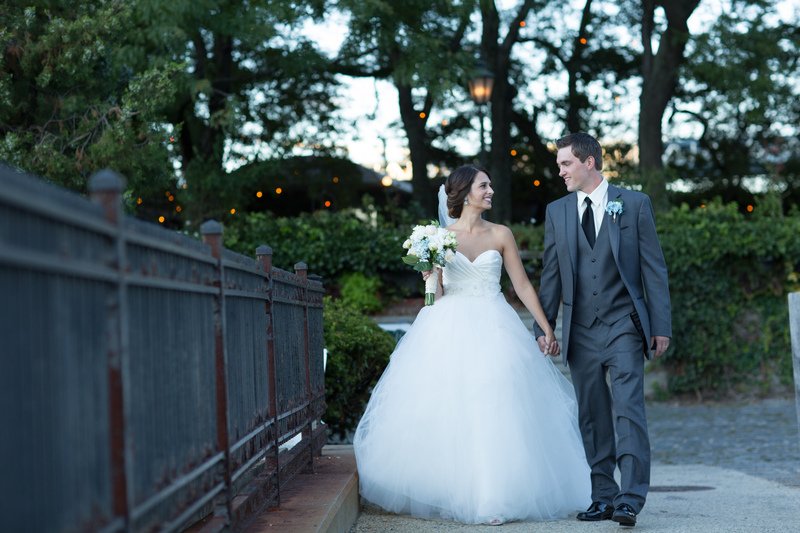 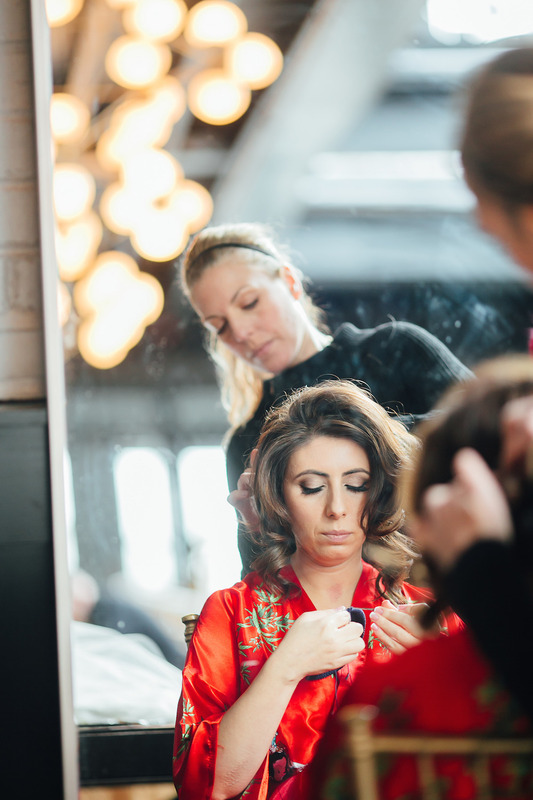 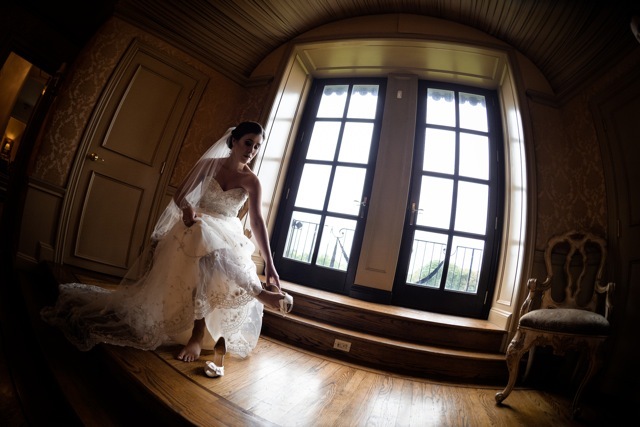 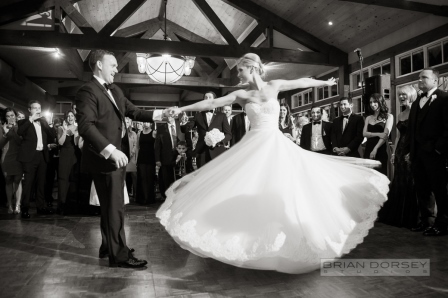 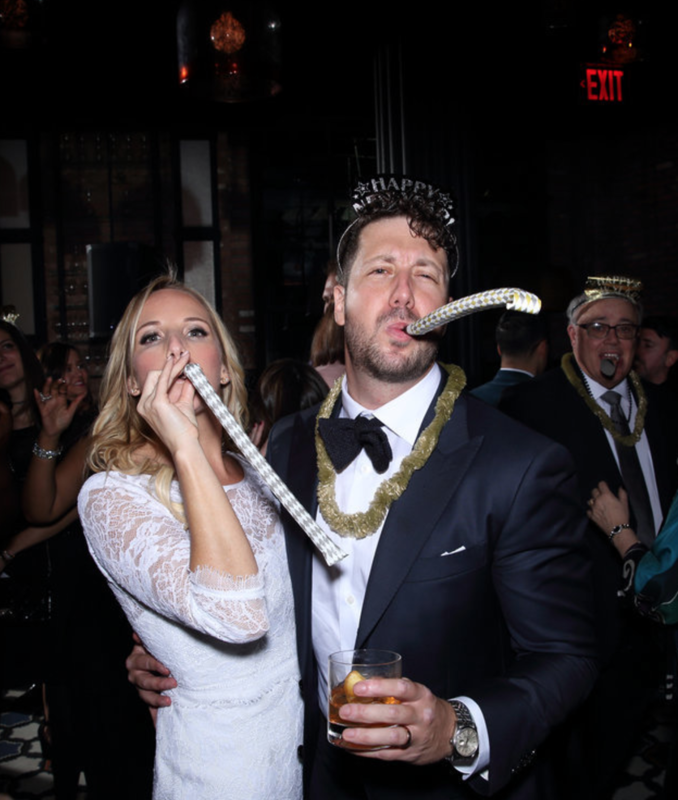 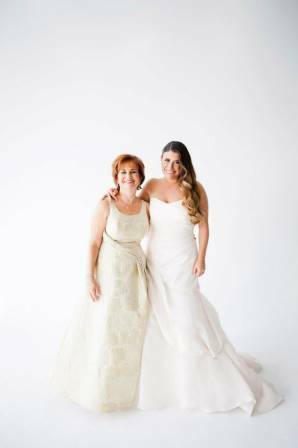 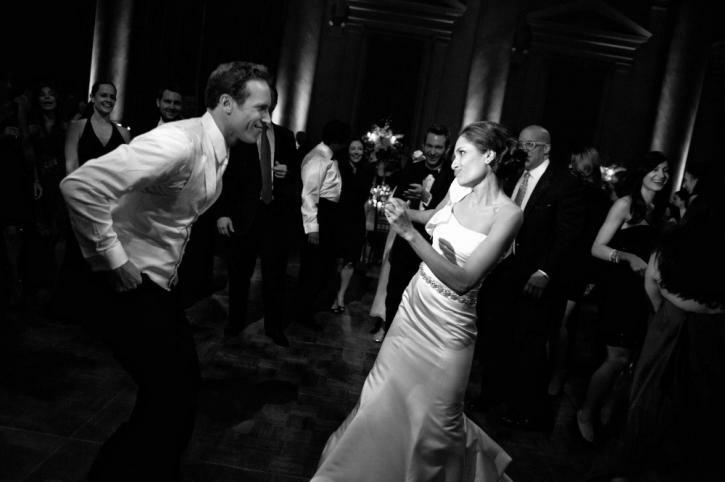 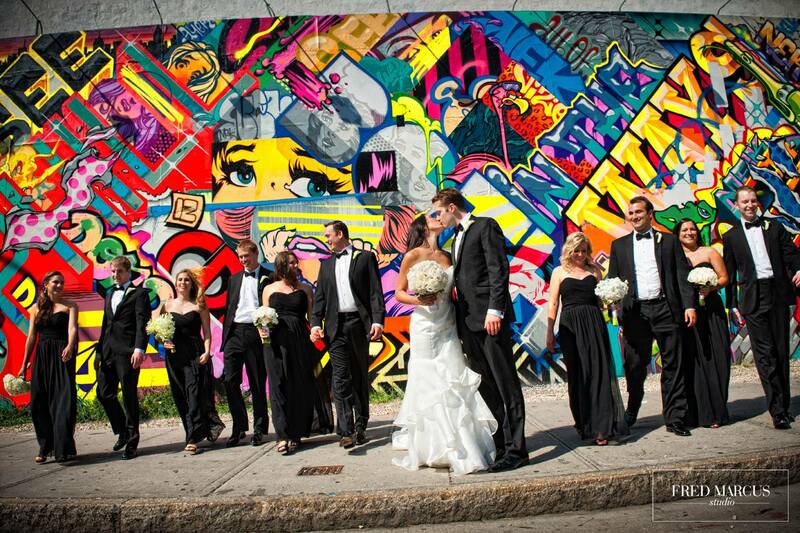 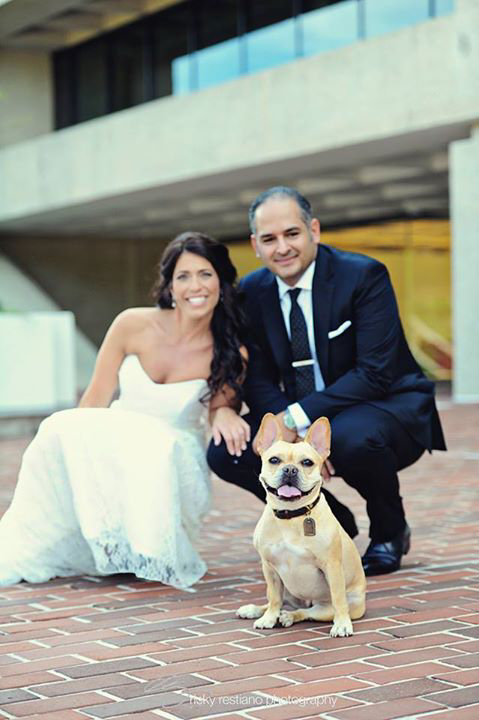 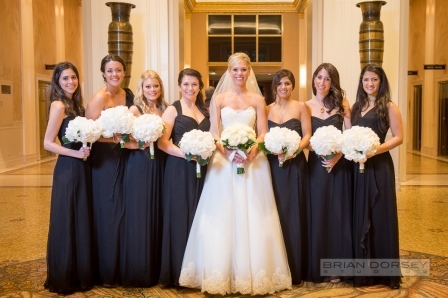 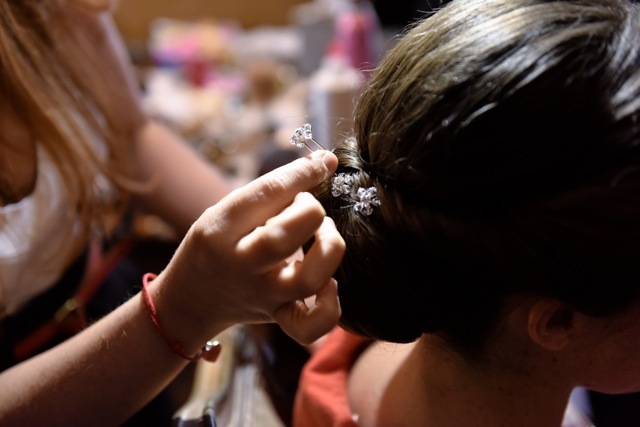 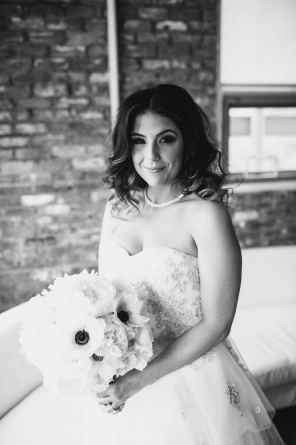 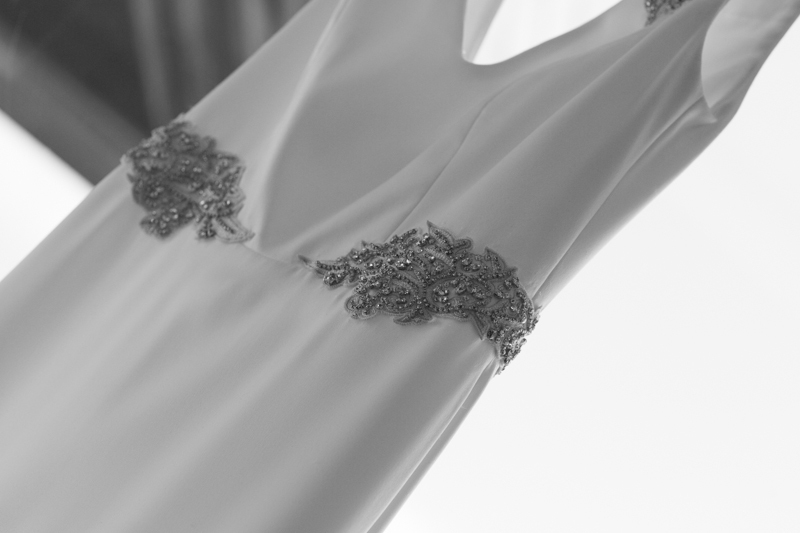 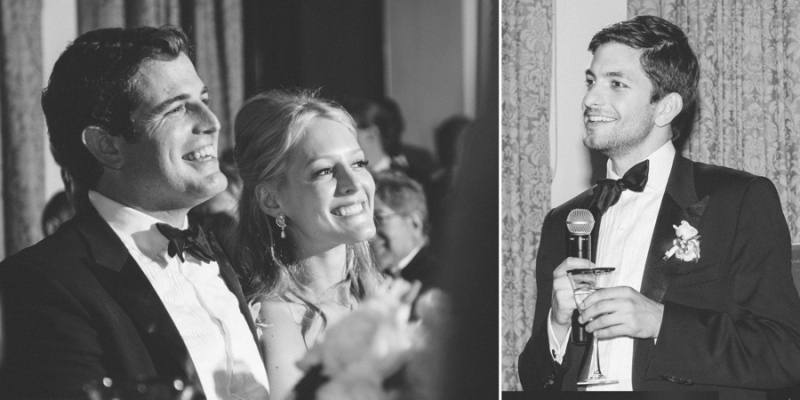 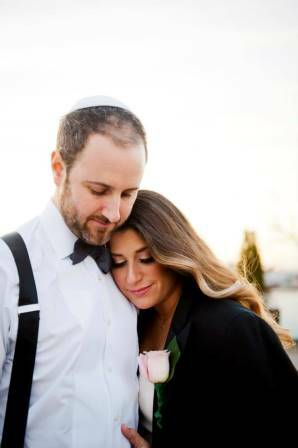 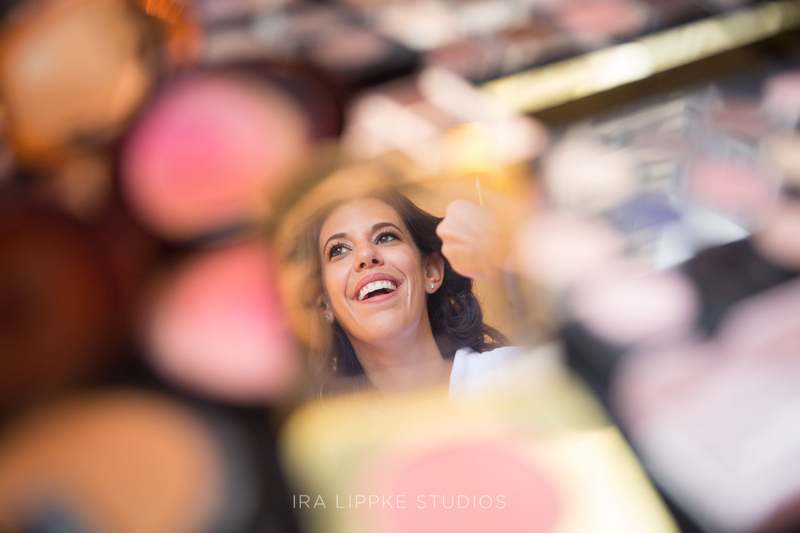 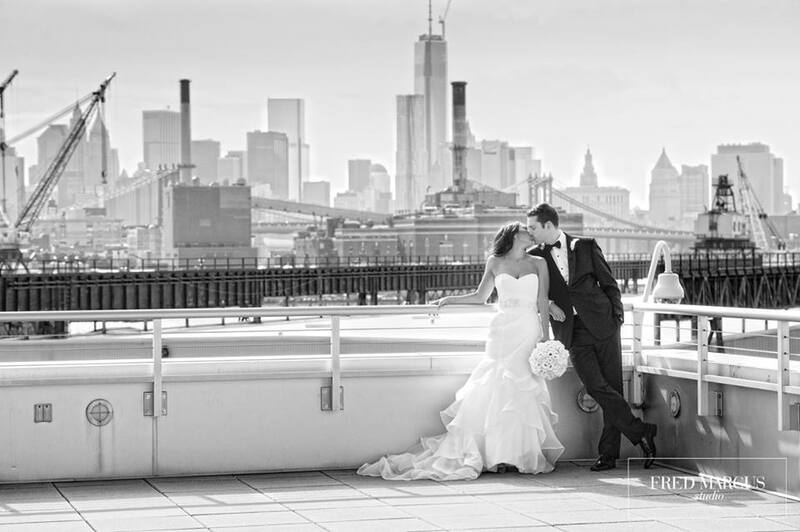 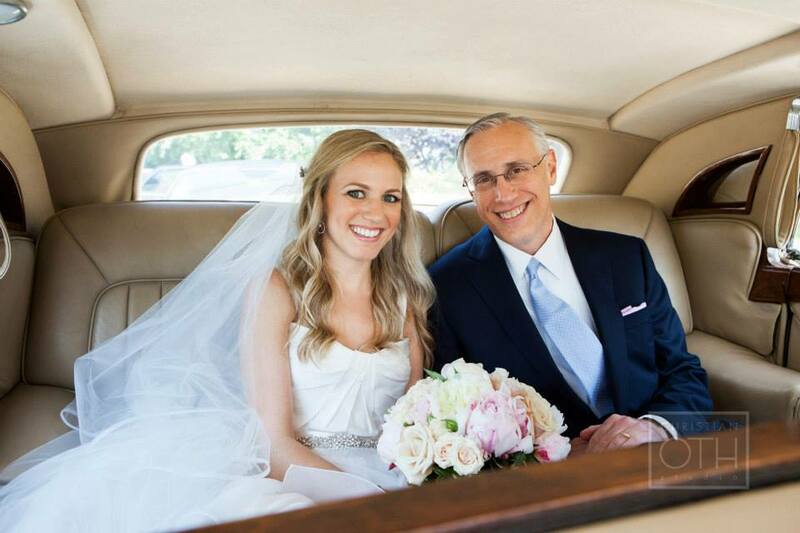 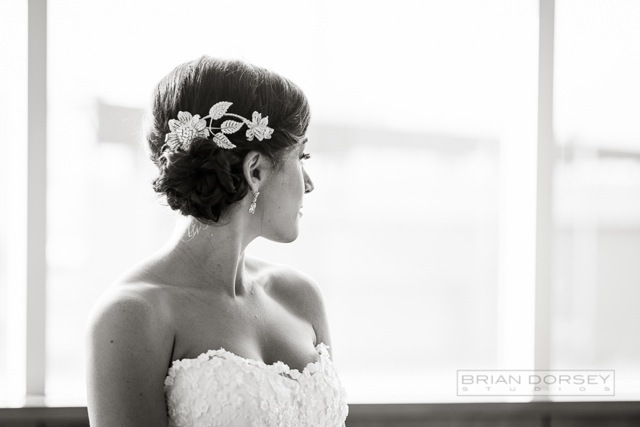 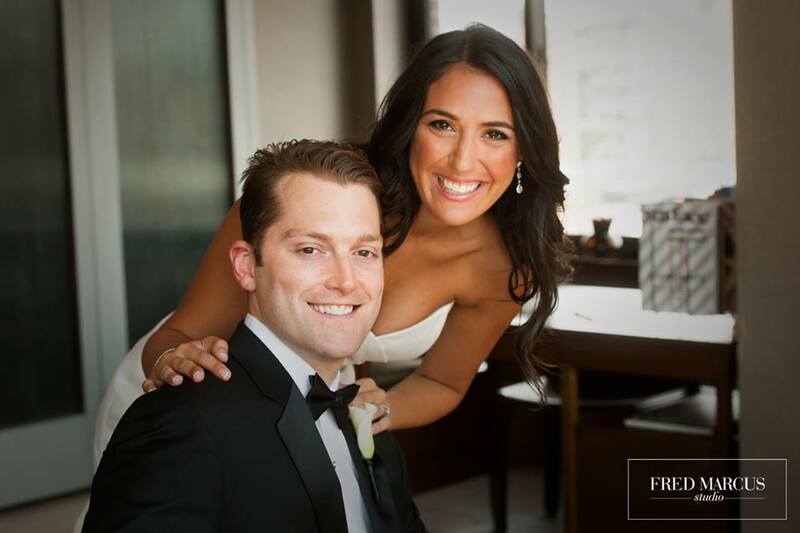 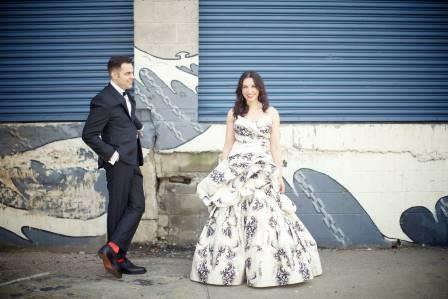 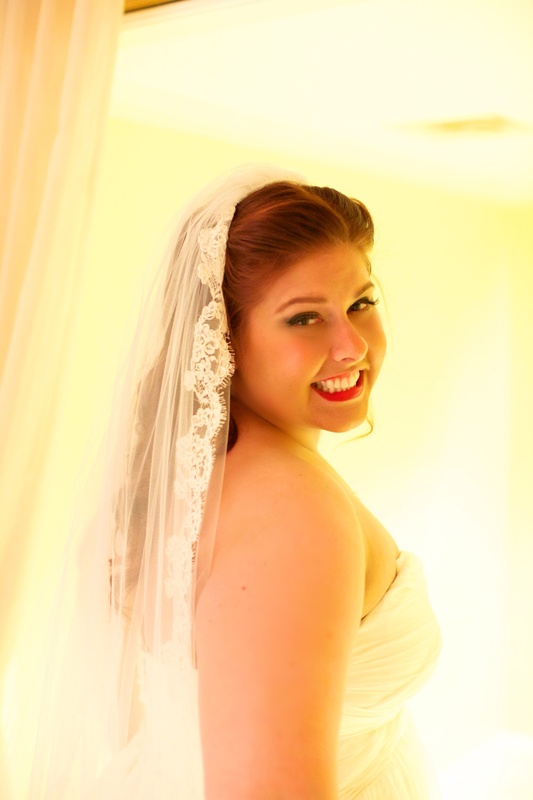 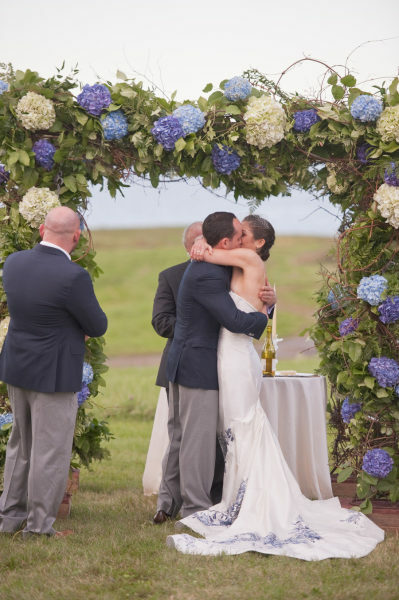 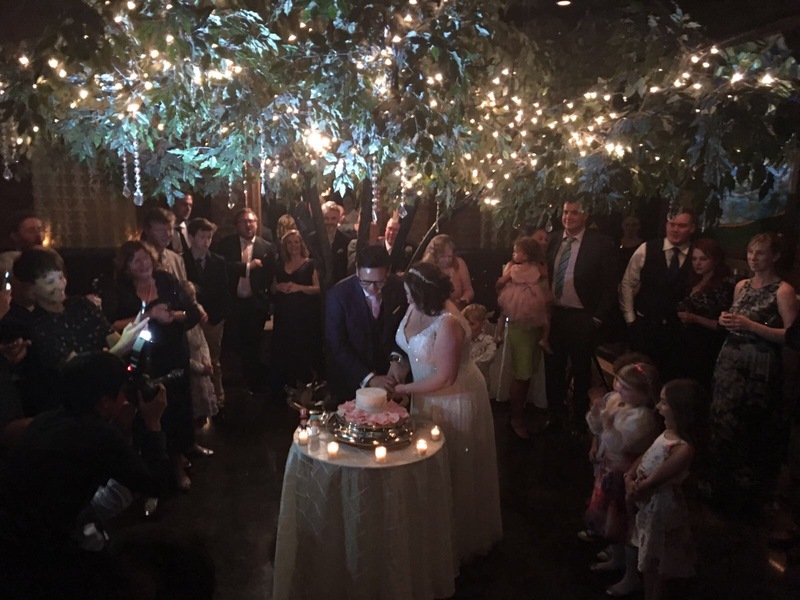 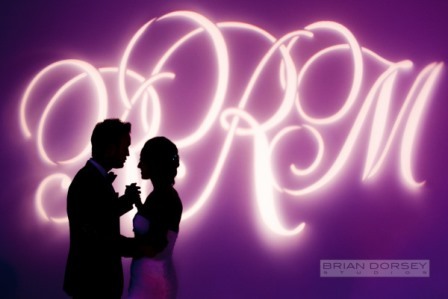 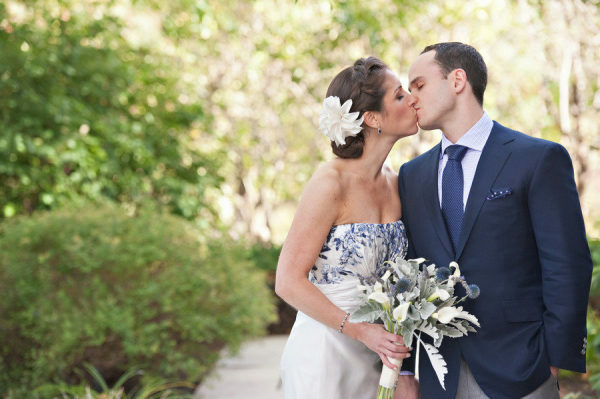 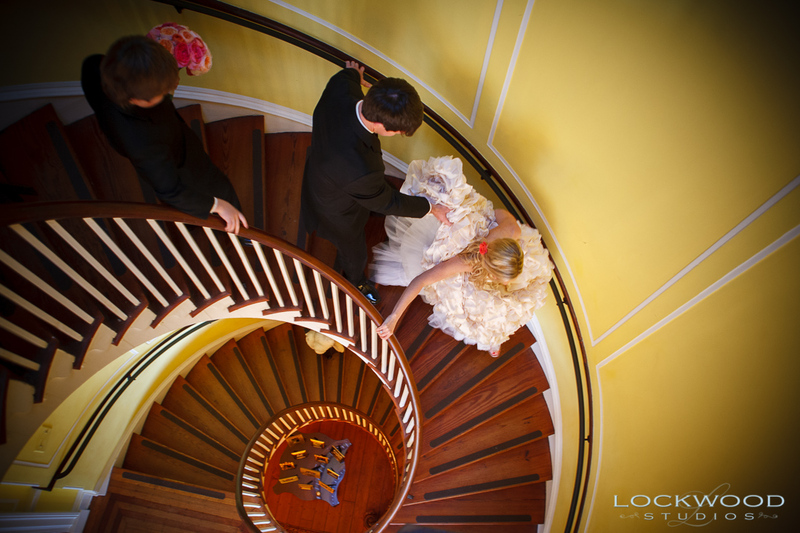 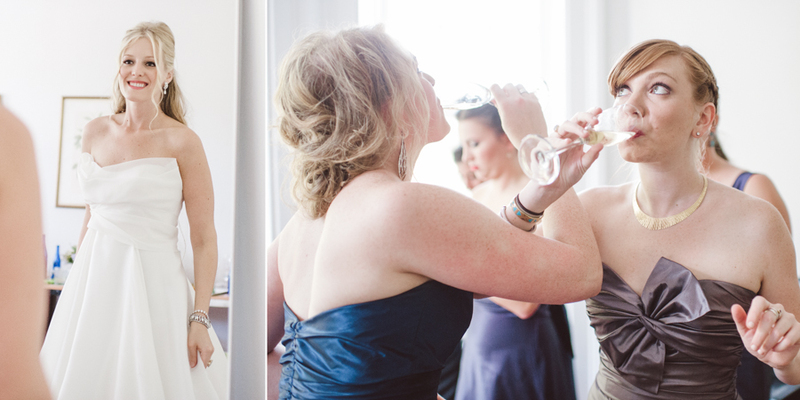 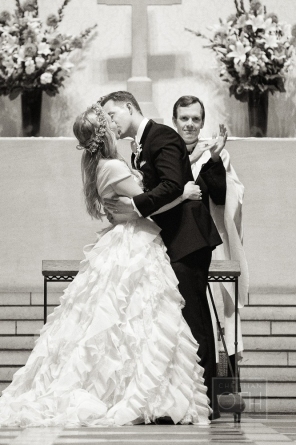 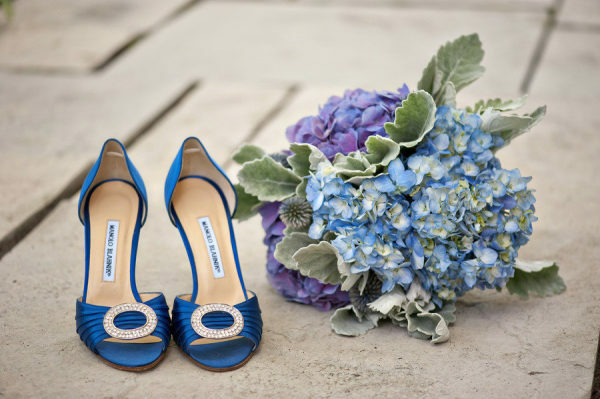 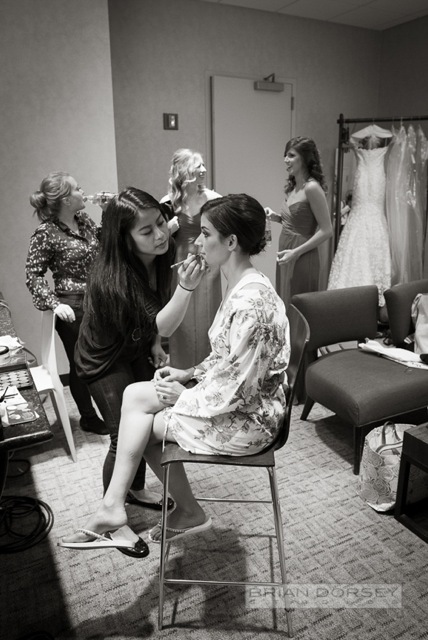 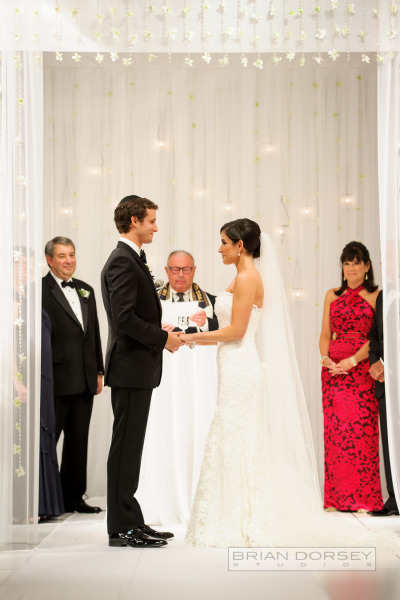 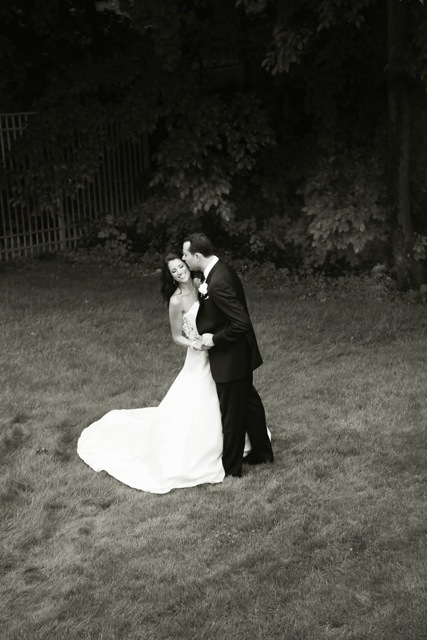 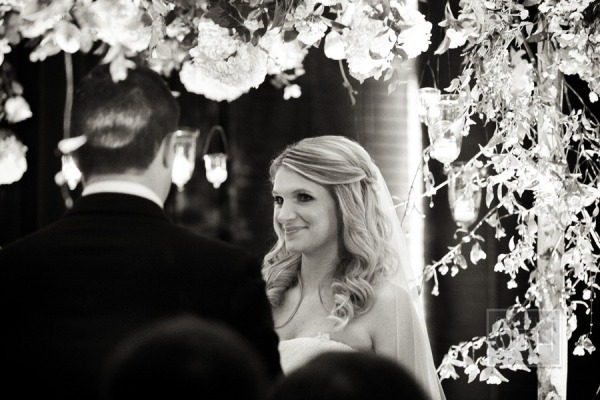 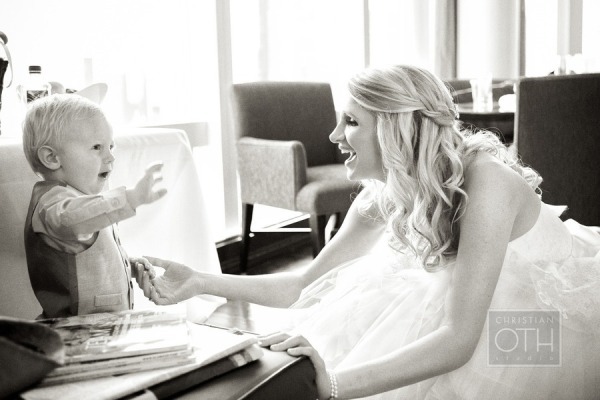 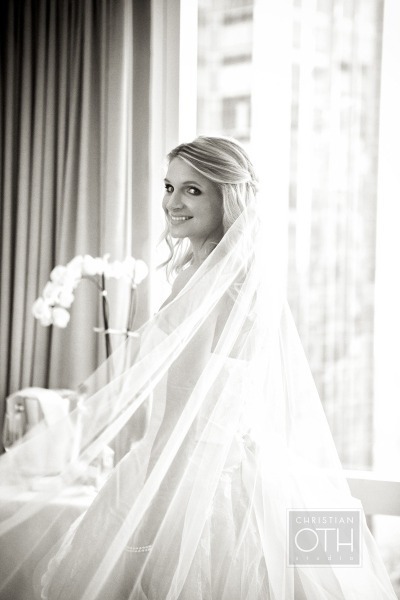 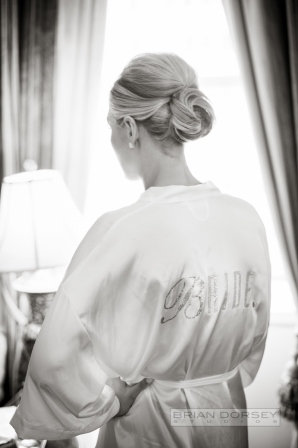 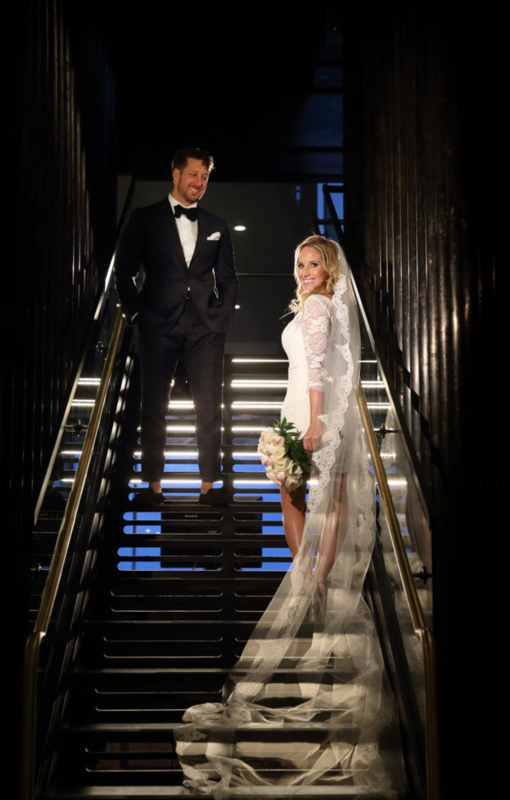 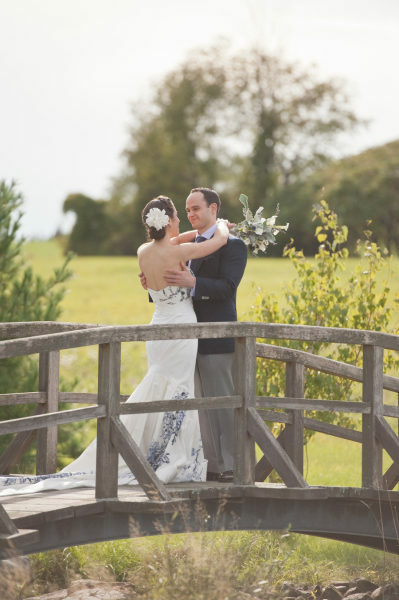 While you’re at it, check out another of our brides on SMP, Rachel, who wed at Tribeca 360. 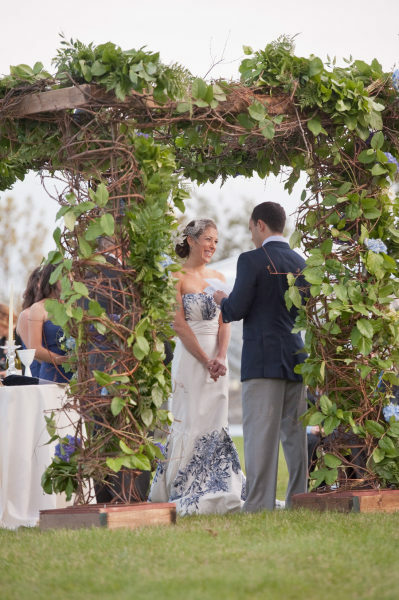 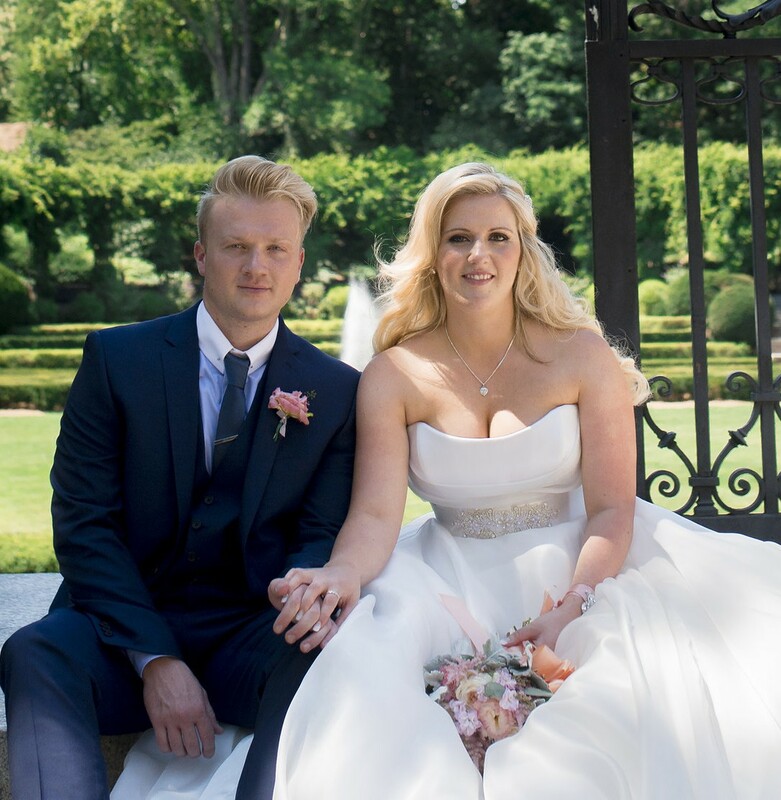 And our bride Natalie, who was stunning in a pink wedding gown and appears in another indispensable wedding site that you need to bookmark, CeciStyle Magazine. 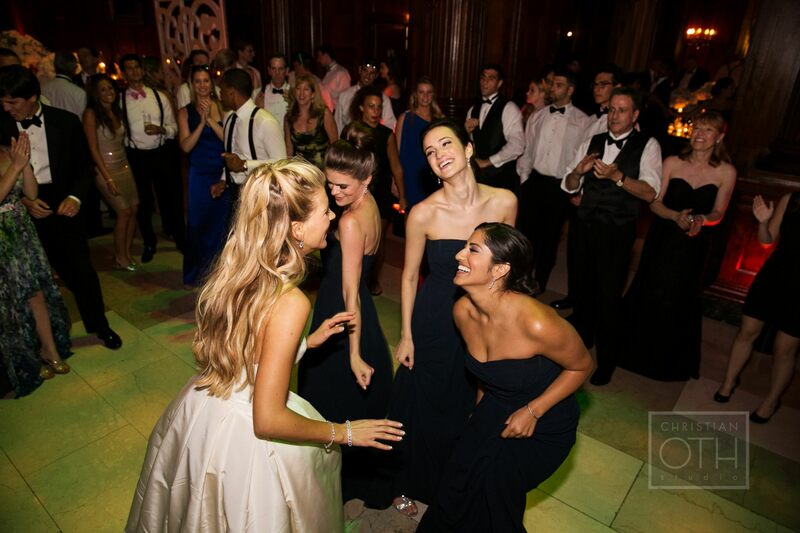 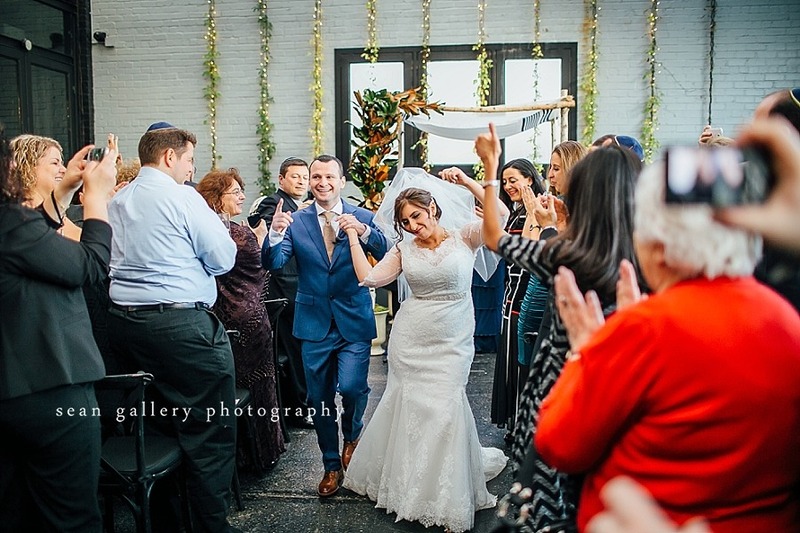 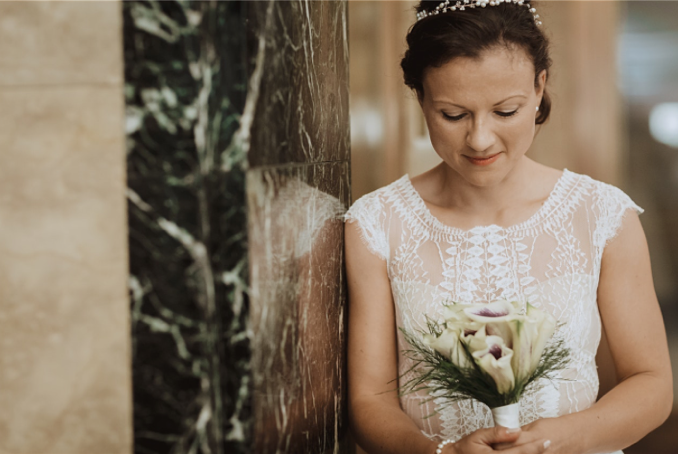 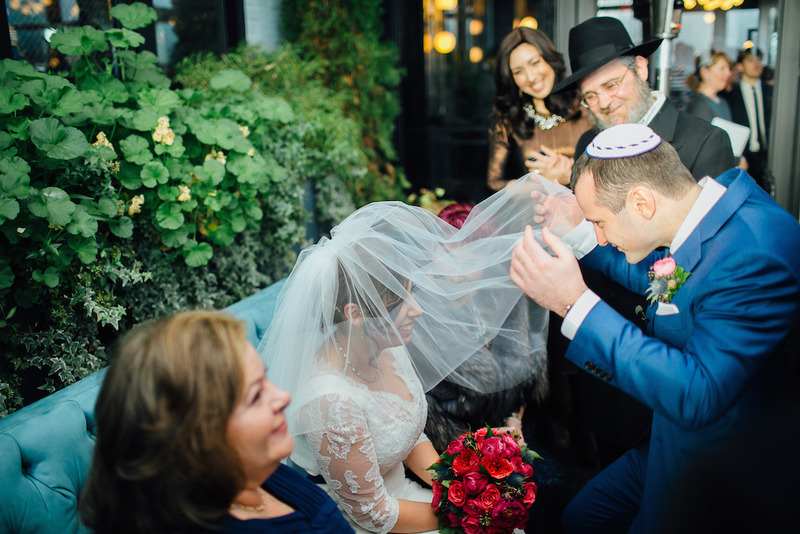 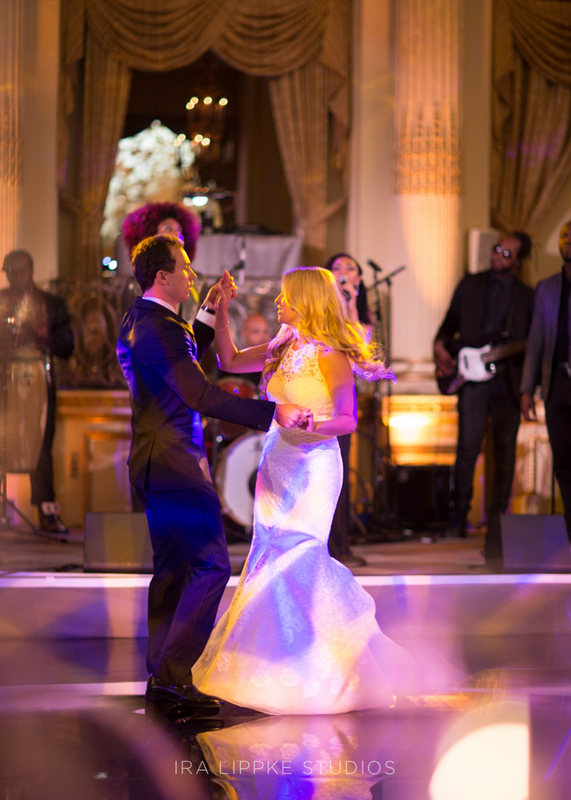 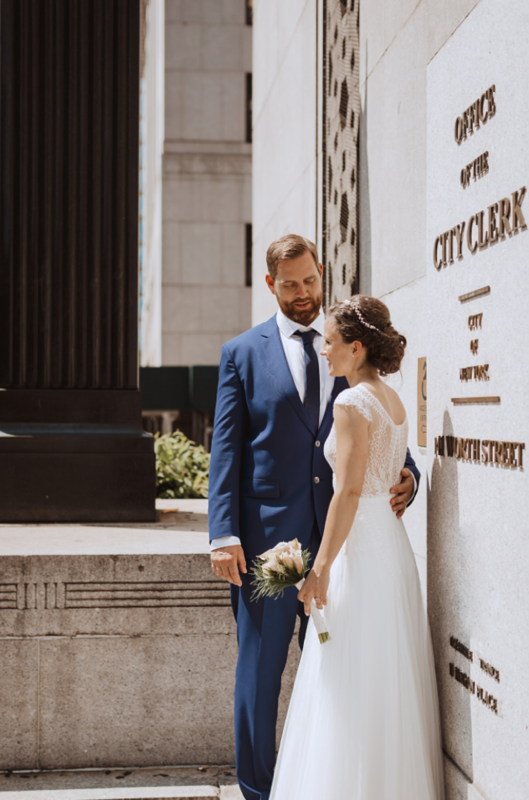 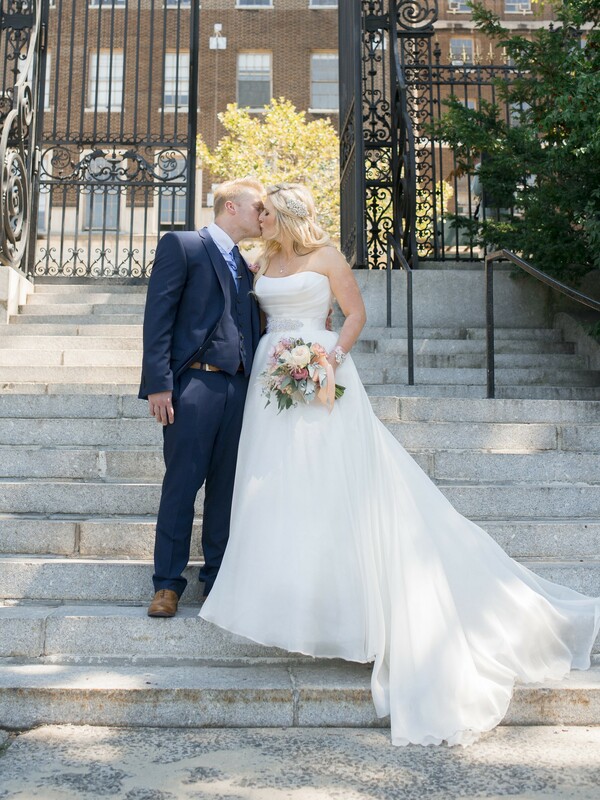 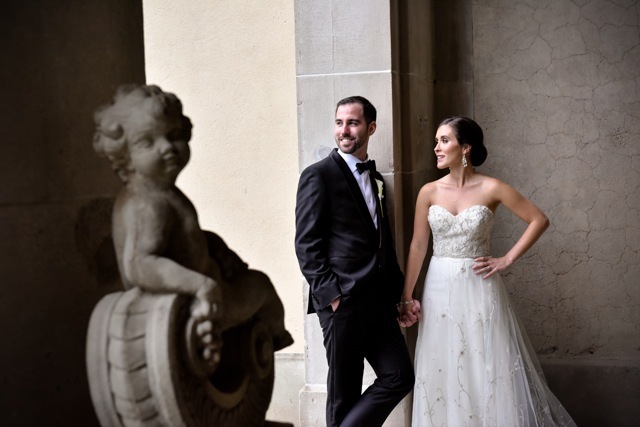 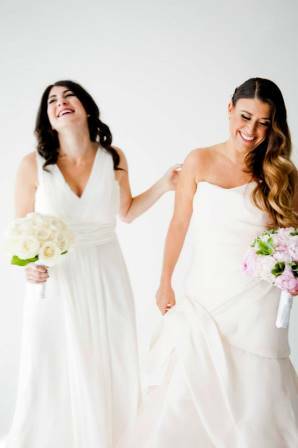 All you brides looking for some chic bridal style inspiration, here are some gorgeous shots from the wedding of our bride Nicole to Mike at the lavish Capitale, on the Bowery. 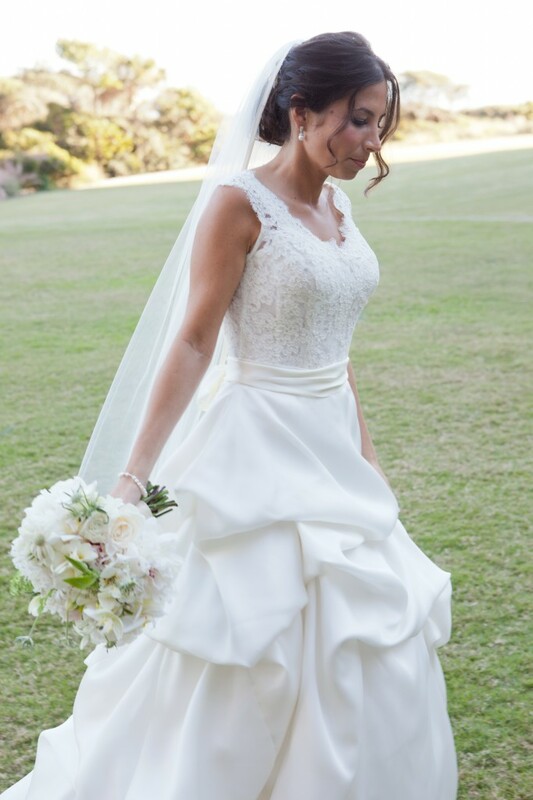 Nicole’s stunning gown was by Augusta Jones. 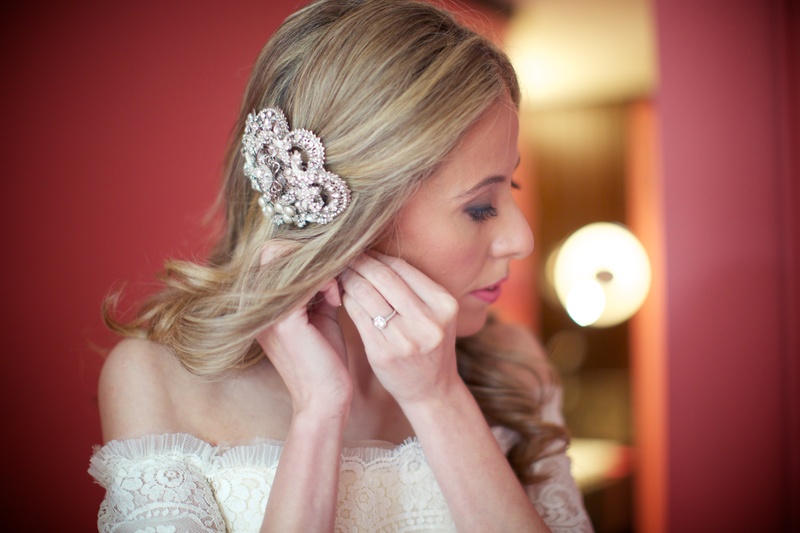 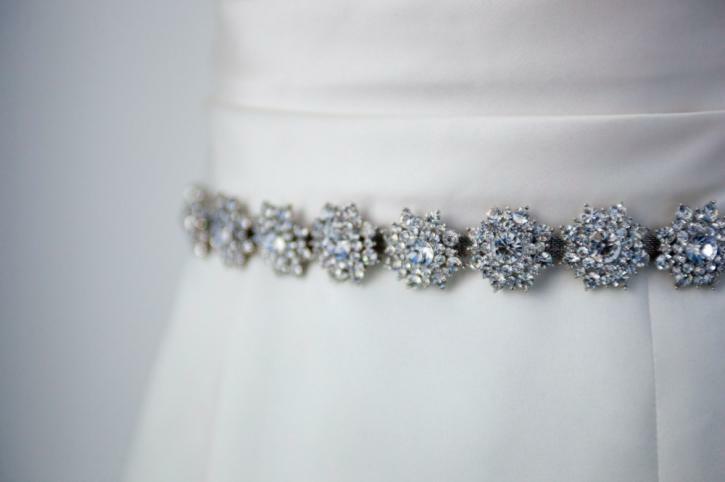 It had amazing jeweled details, which we accented with a jeweled hair accessory. 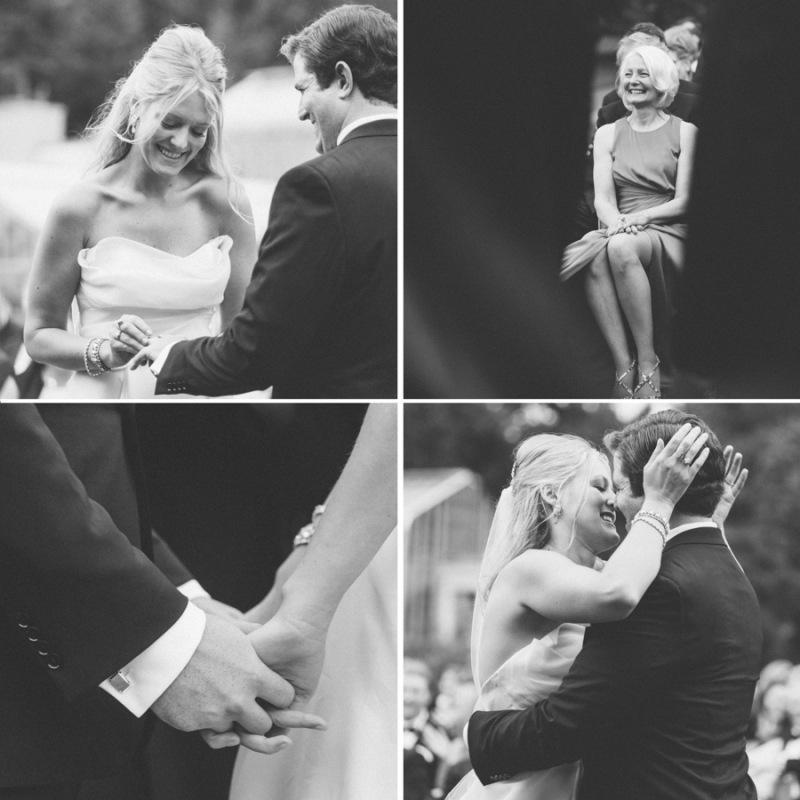 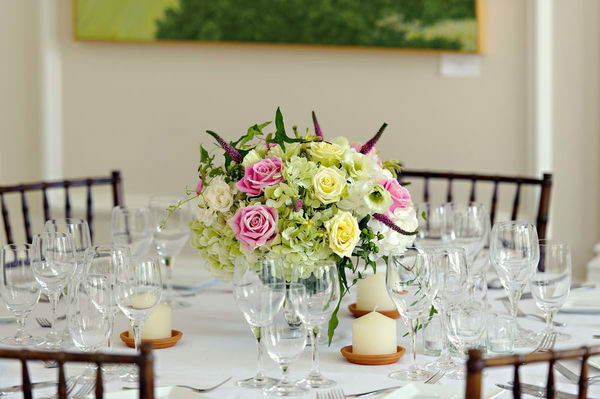 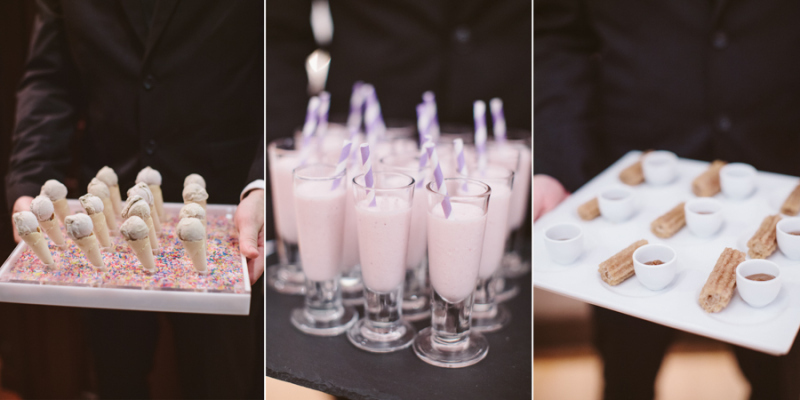 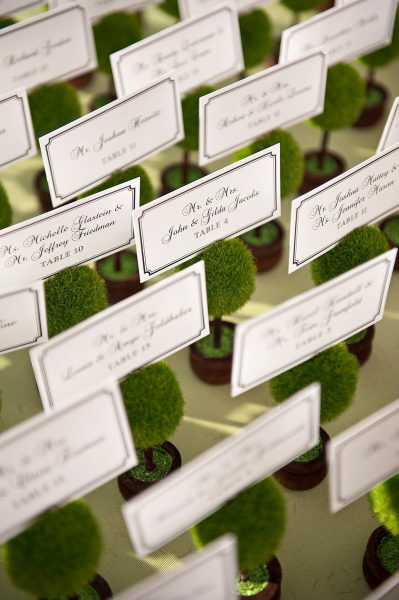 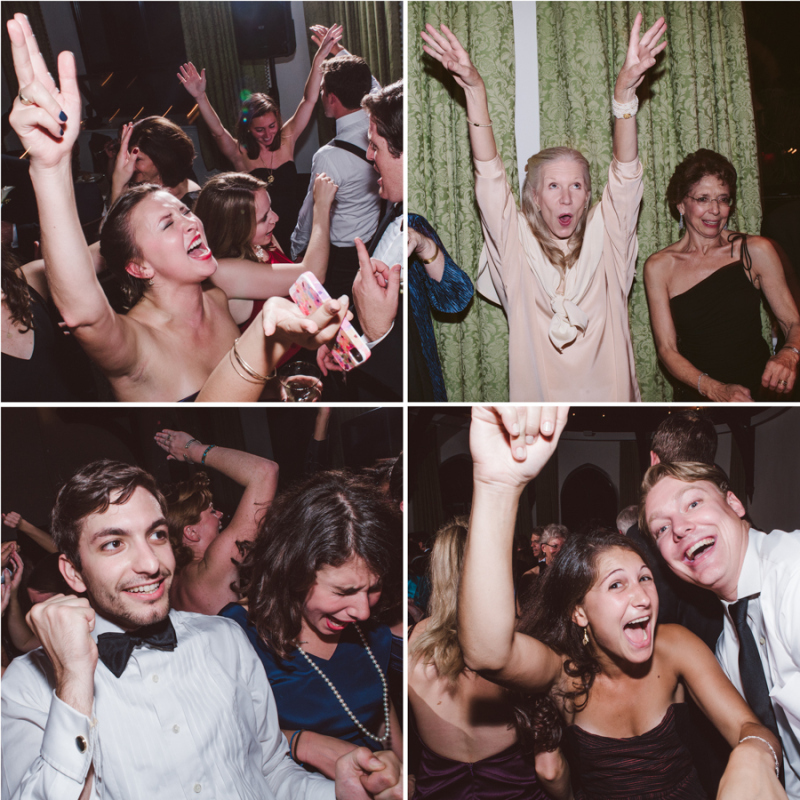 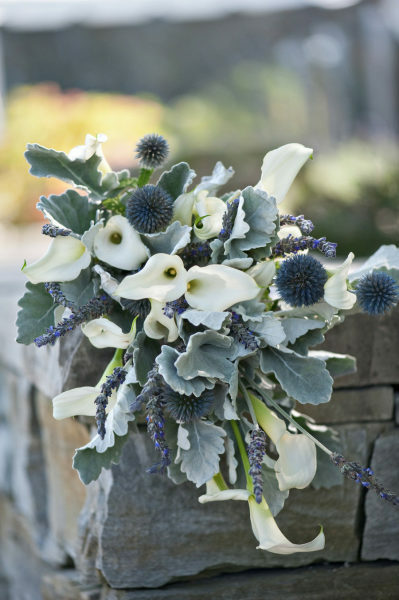 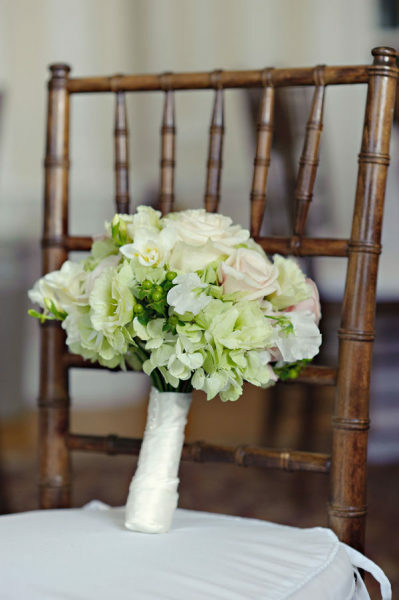 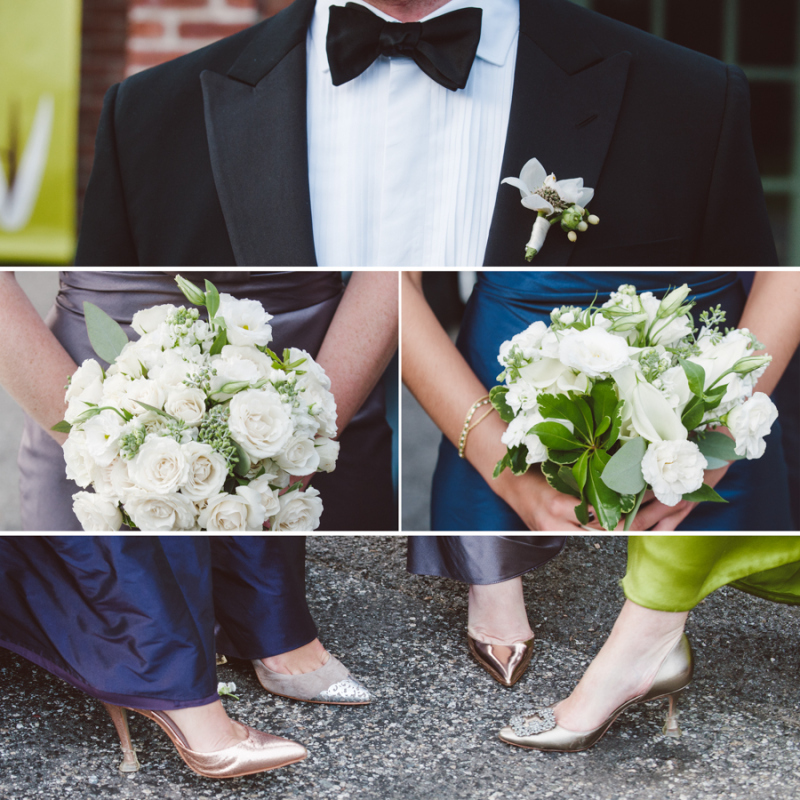 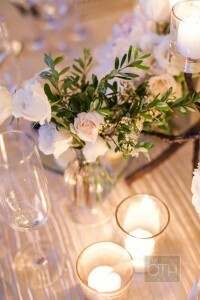 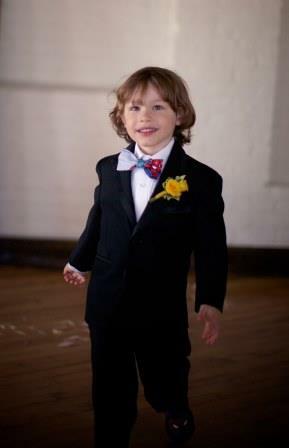 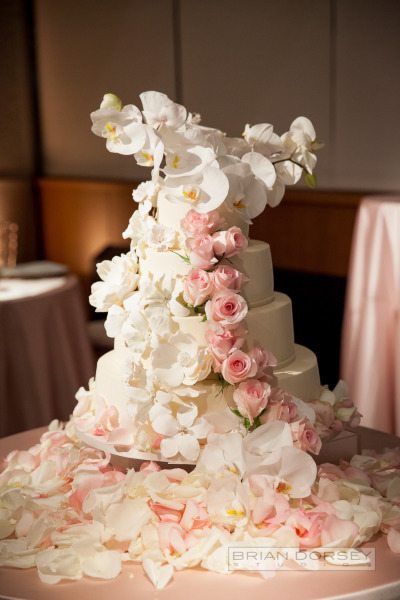 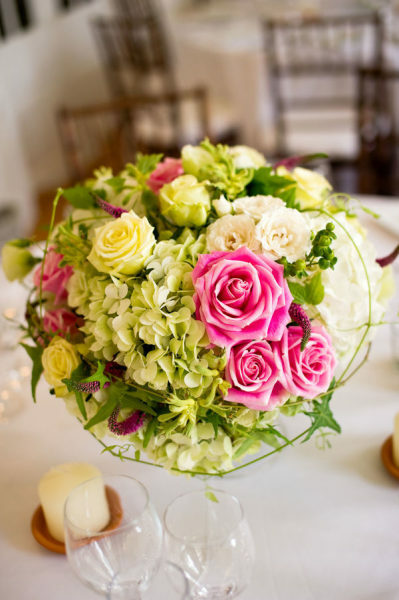 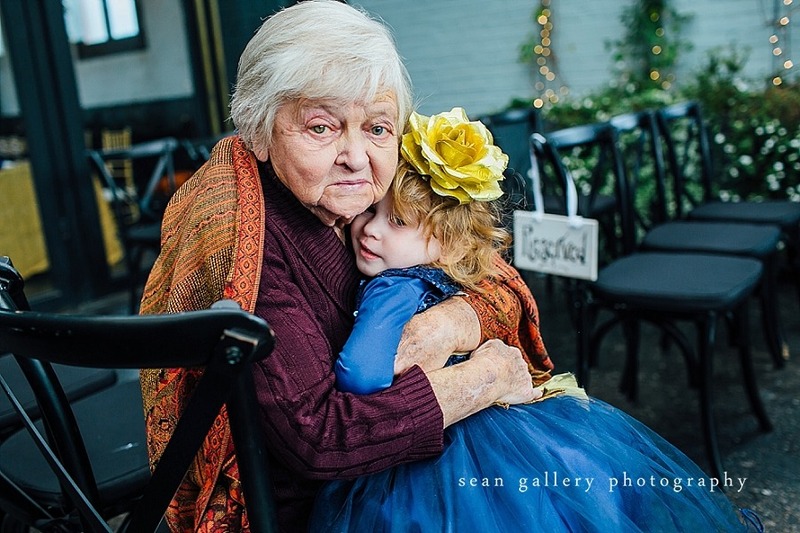 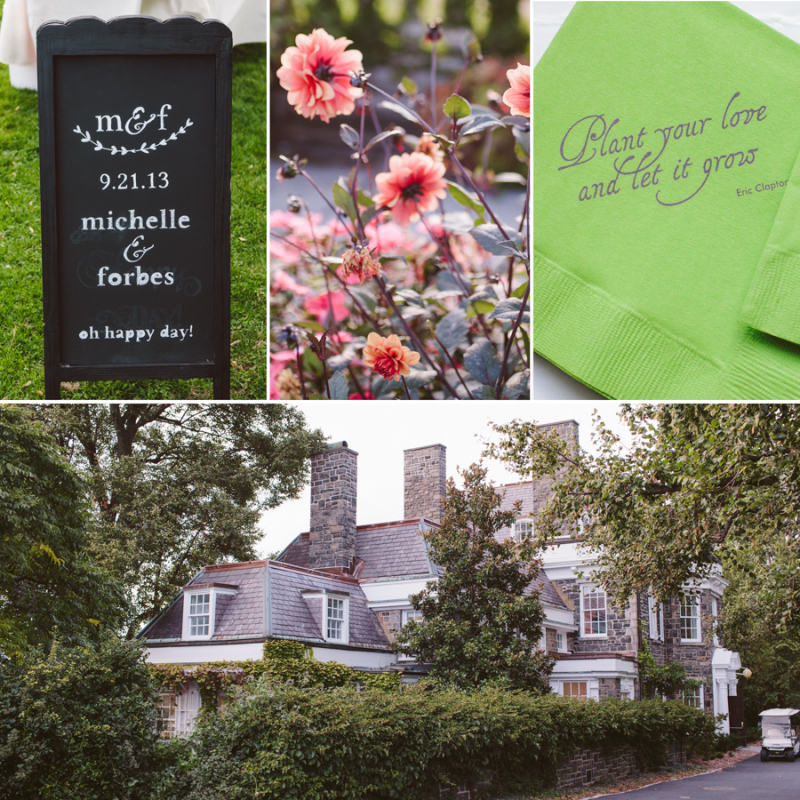 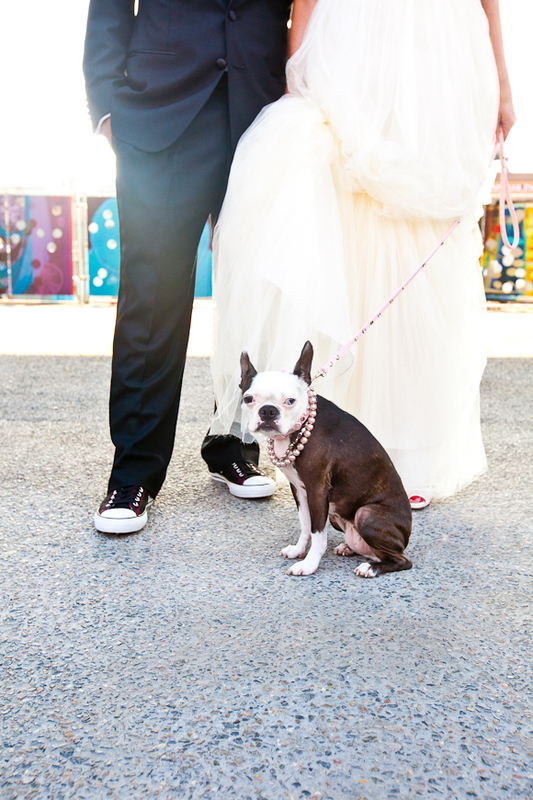 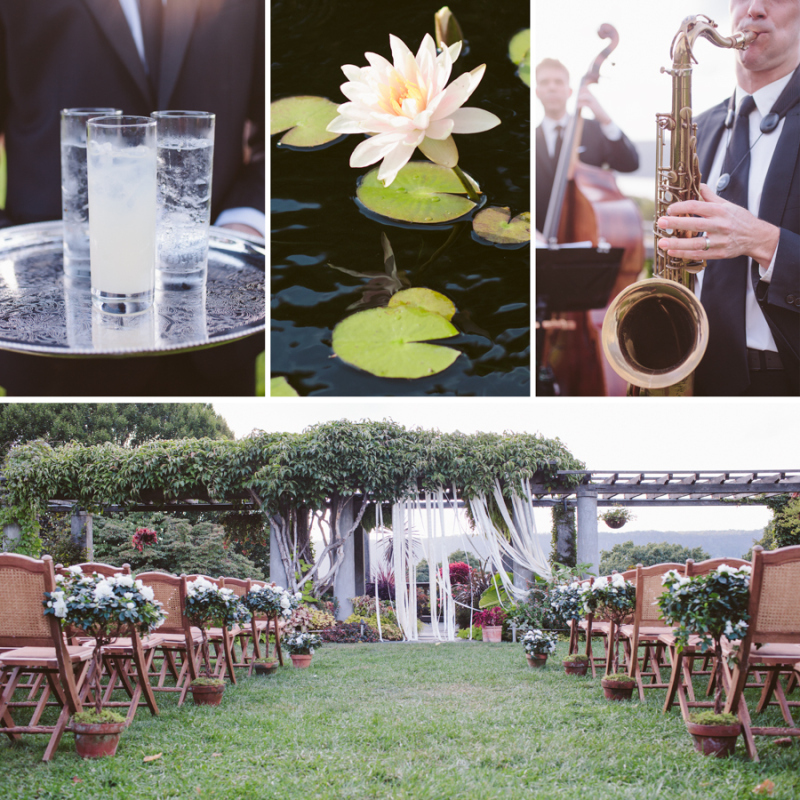 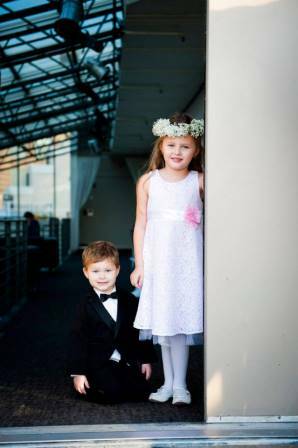 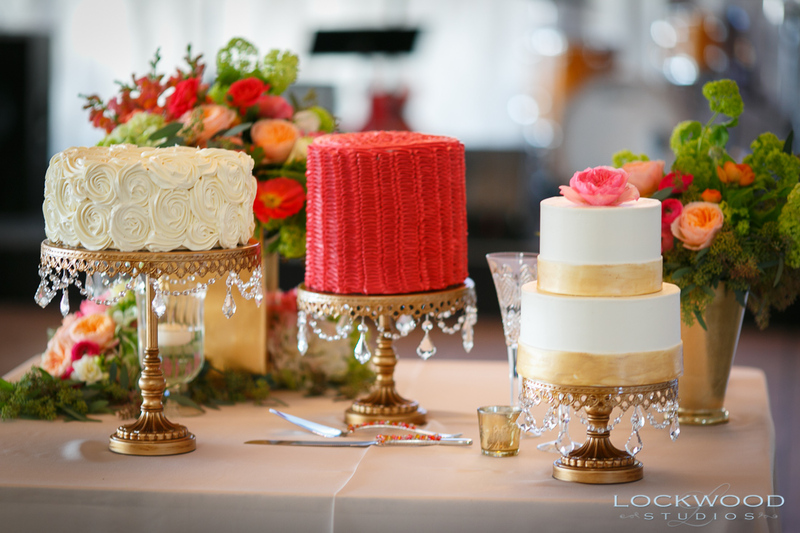 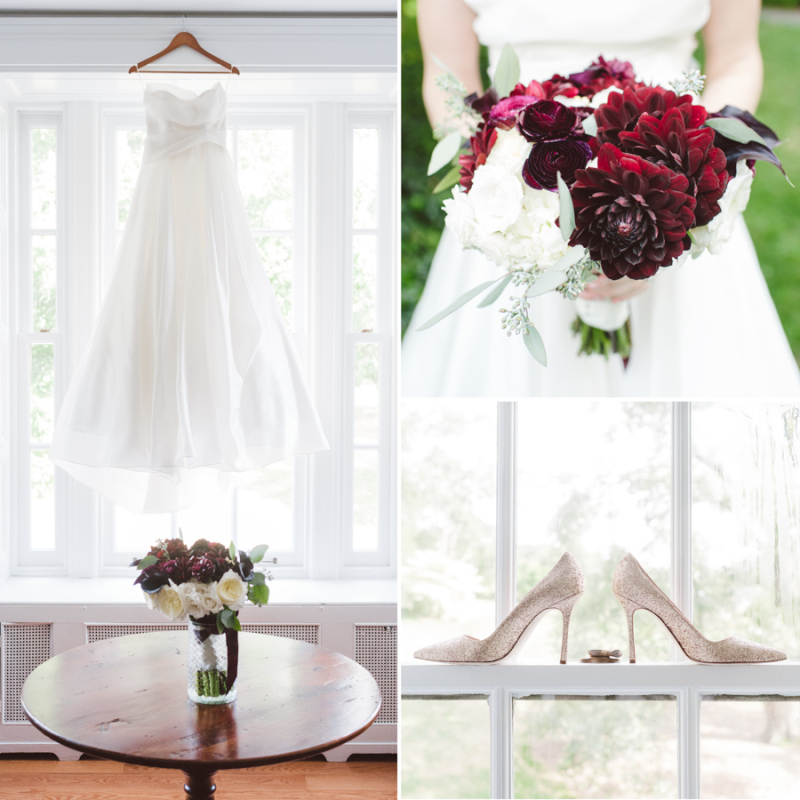 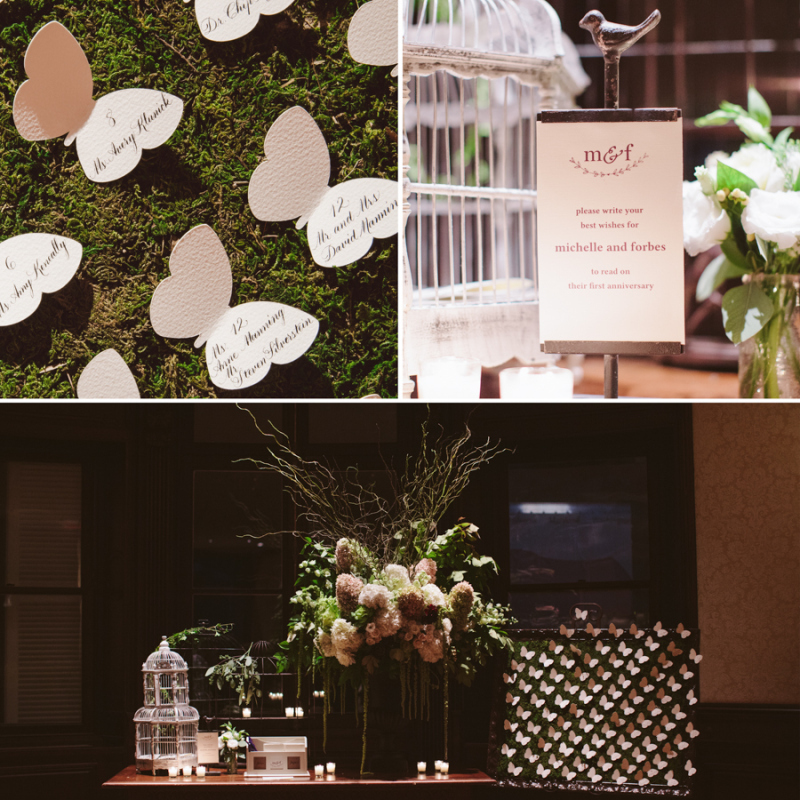 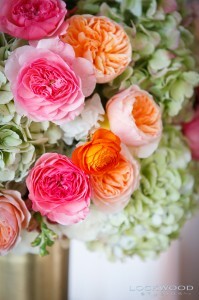 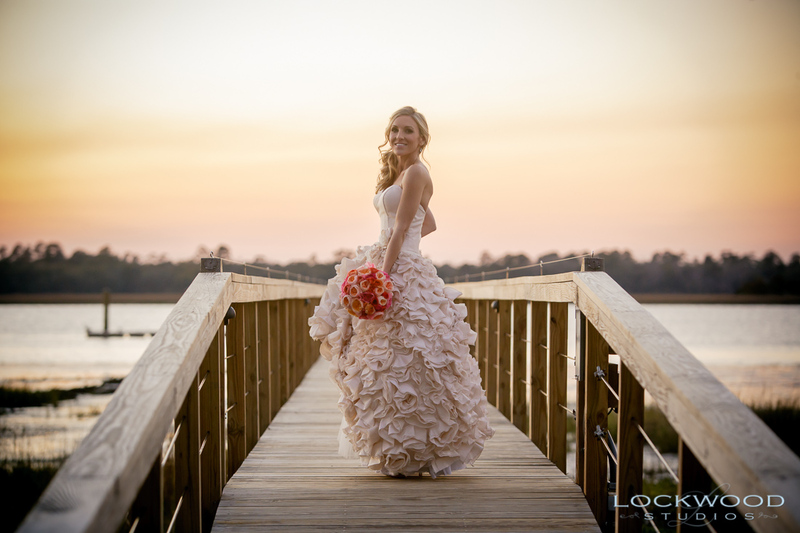 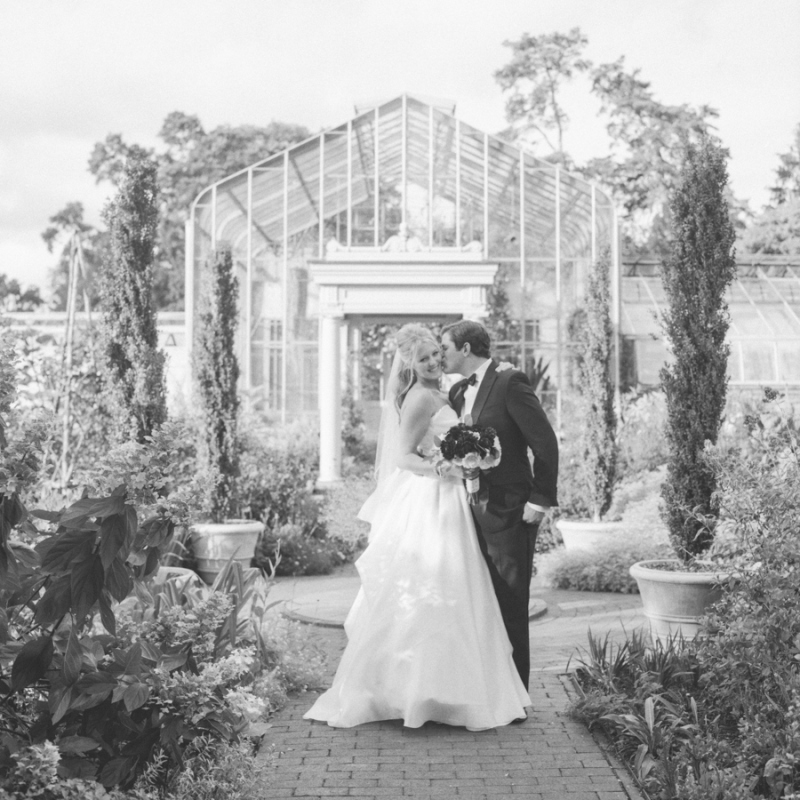 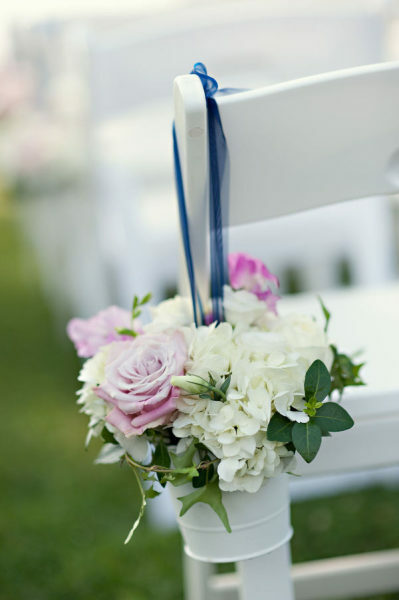 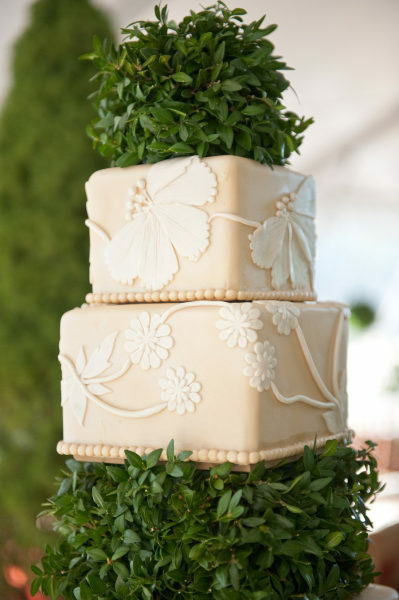 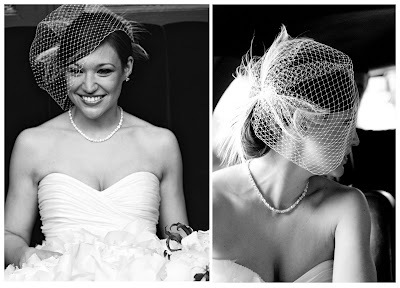 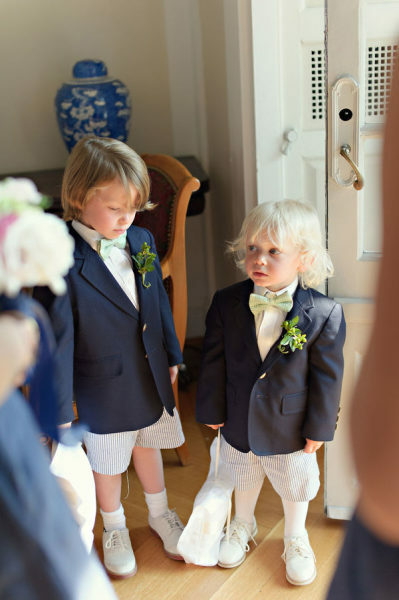 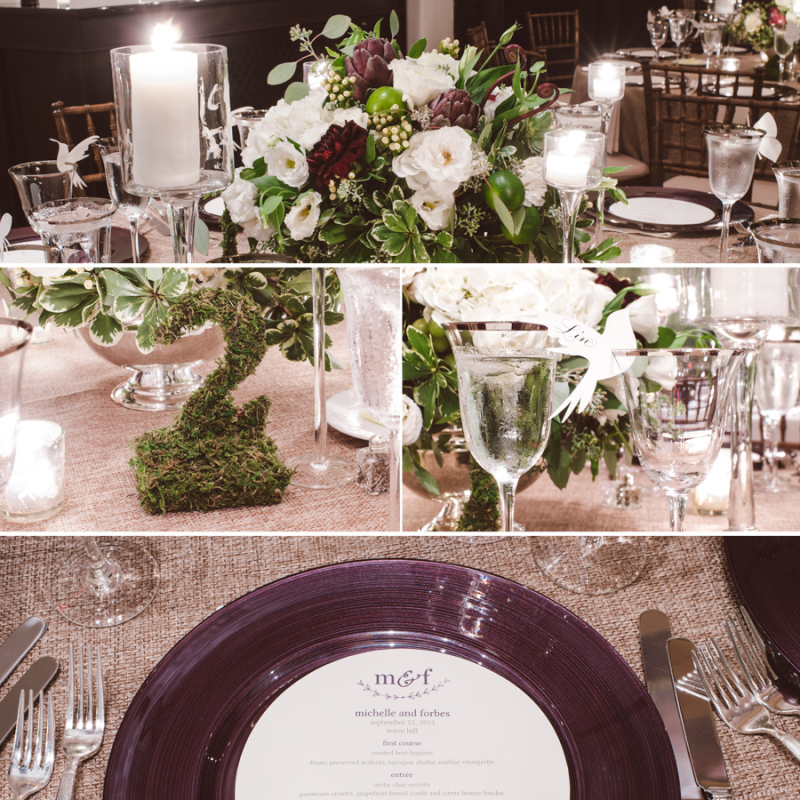 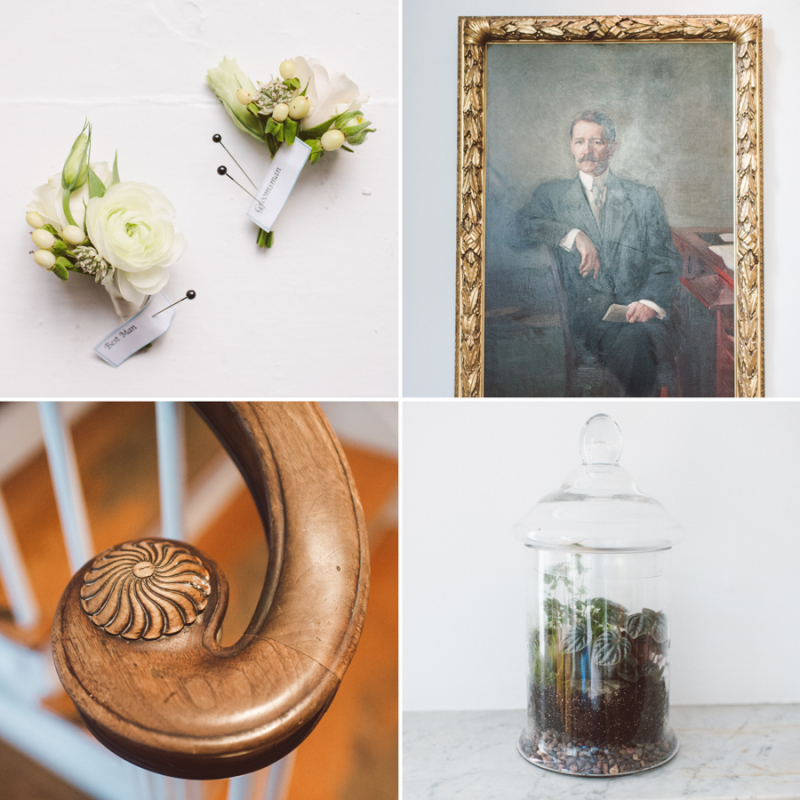 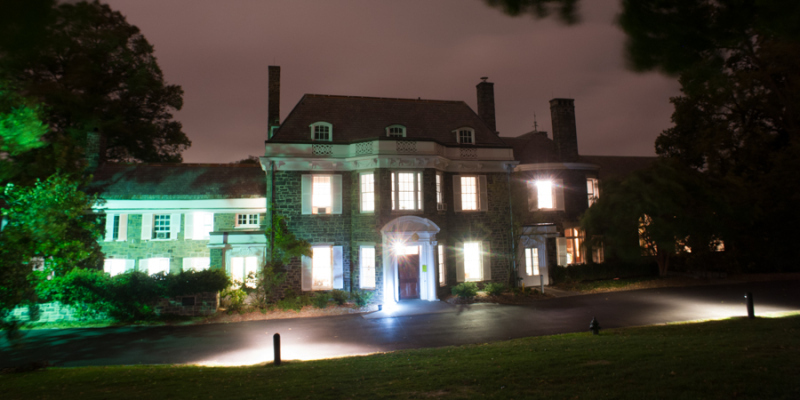 Casey Fatchett Photography took these shots — to see more, go to Carats & Cake.